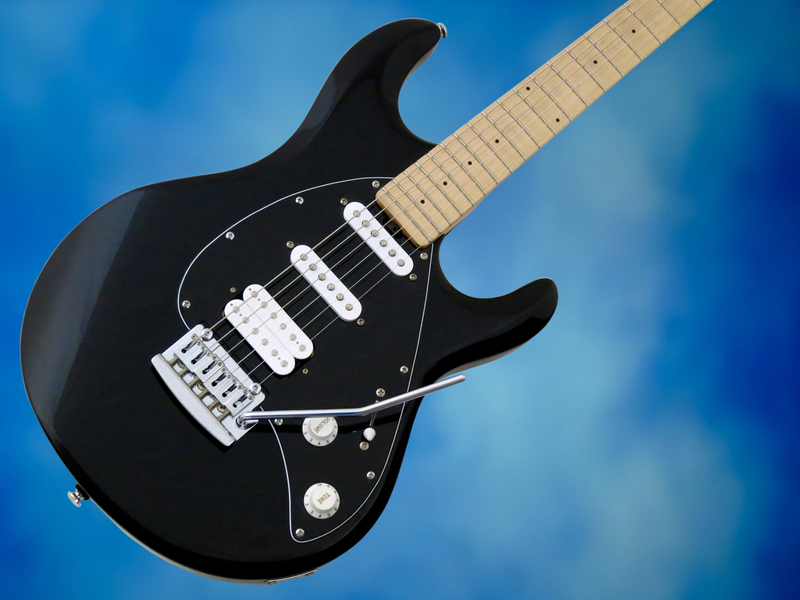 Thirty years ago a young, bespectacled man introduced the guitar-playing world to the first guitar model from his new company at the NAMM Show. 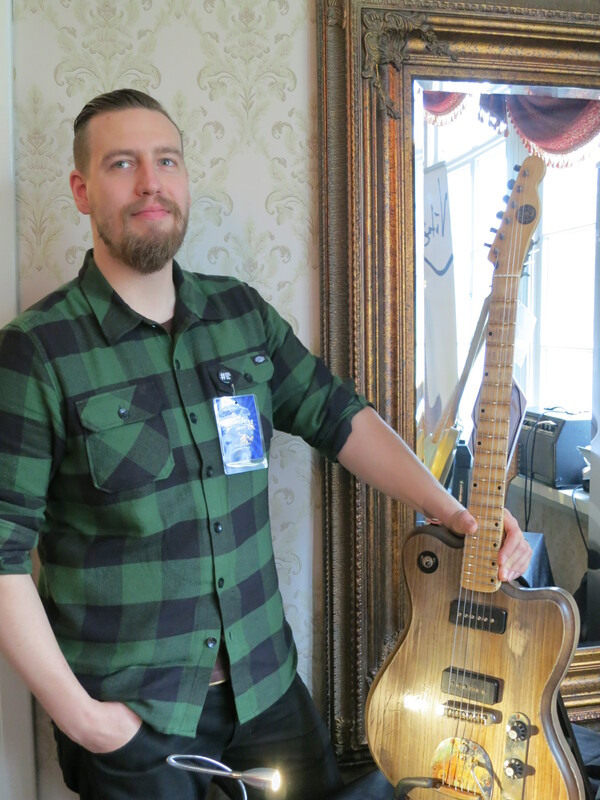 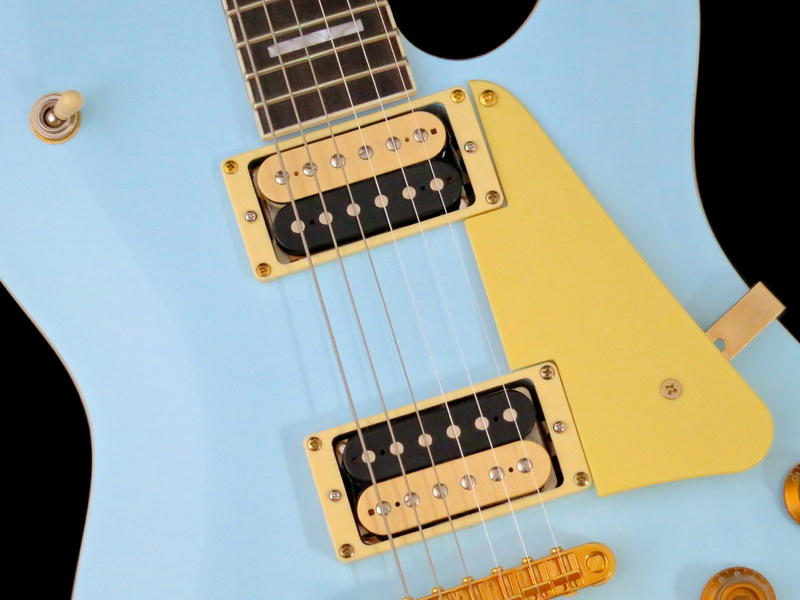 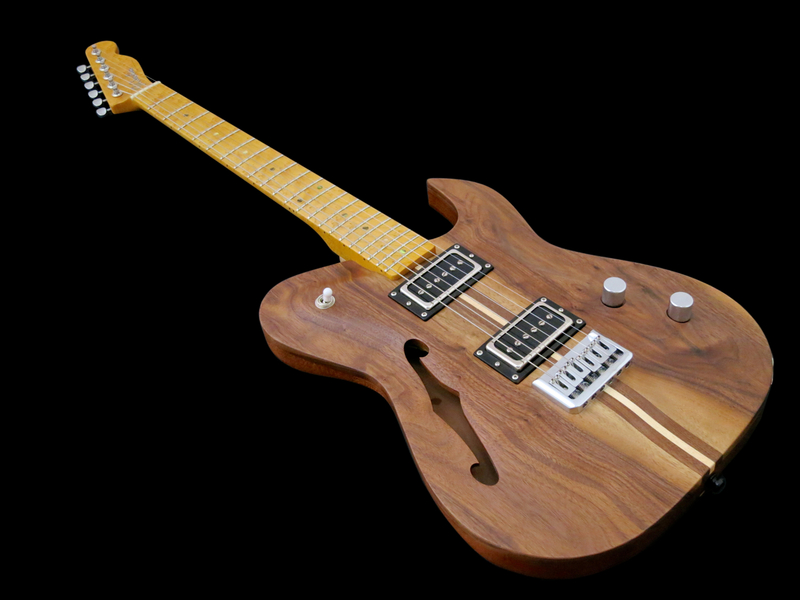 The company from Maryland was only a small start-up, but their beautiful new electric guitar already started to attract a good deal of attention. 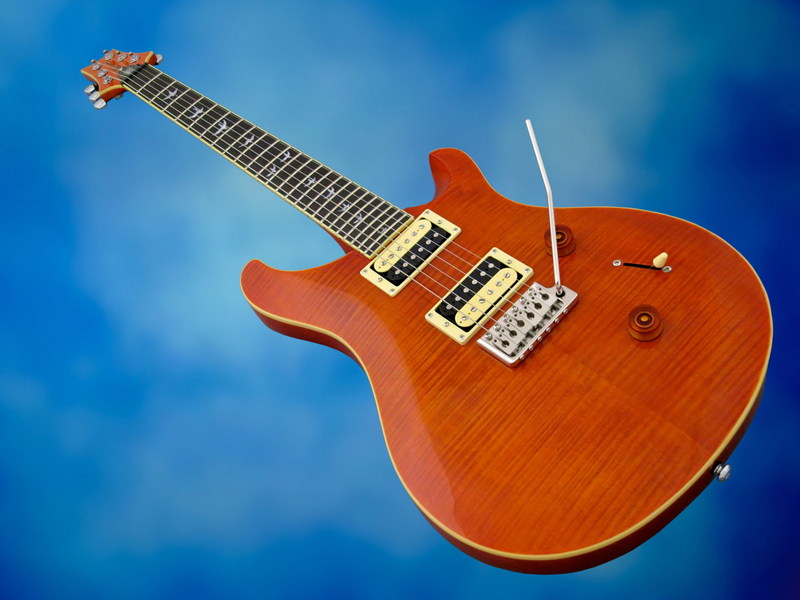 This young man was none other than Paul Reed Smith, the company PRS Guitars, and their first model the now-legendary Custom 24. 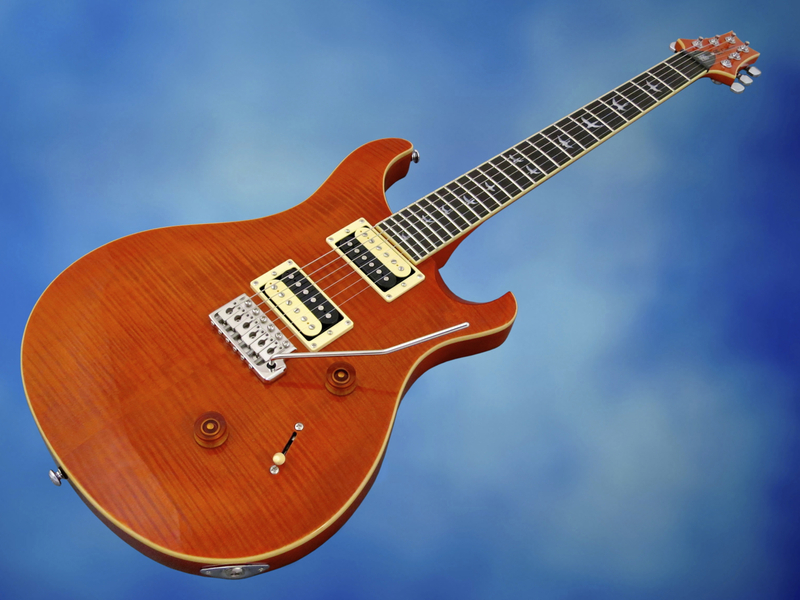 Before founding PRS Guitars, Smith had already managed to sell several of his handmade guitars to well-known guitarists, such as Howard Leese and Carlos Santana. 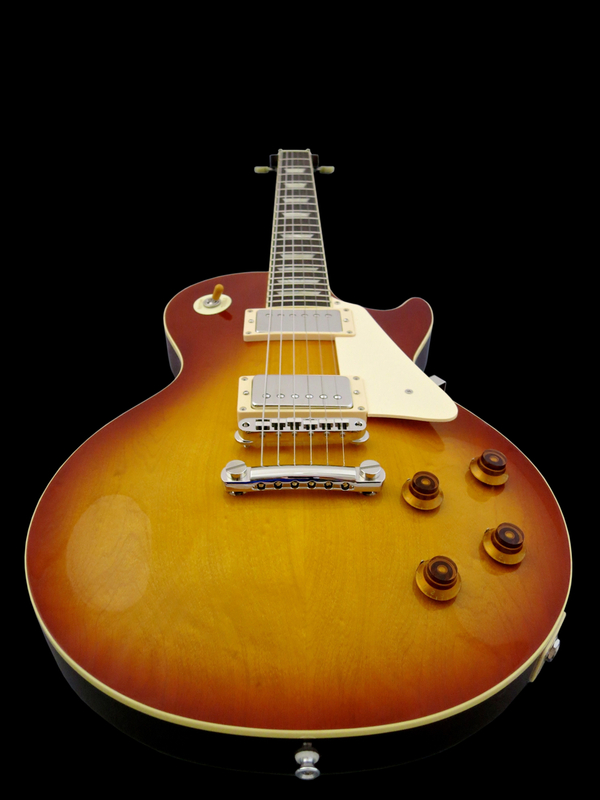 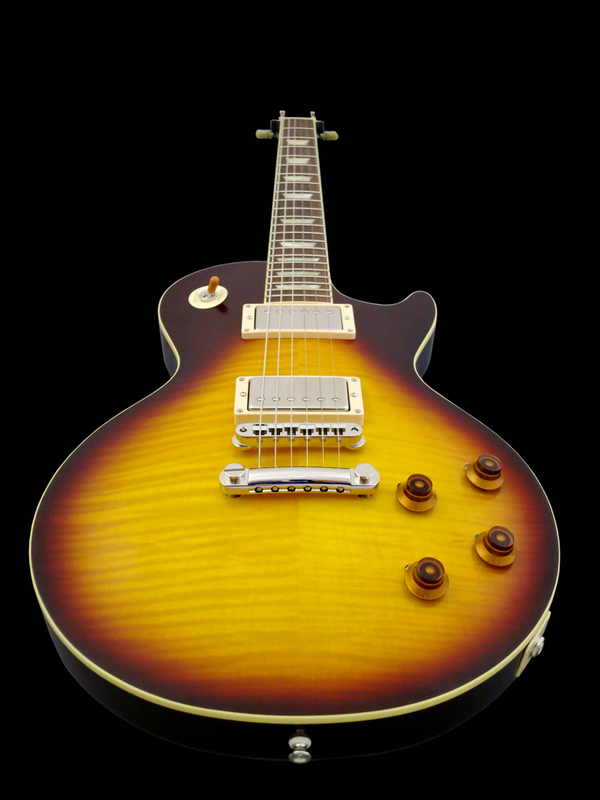 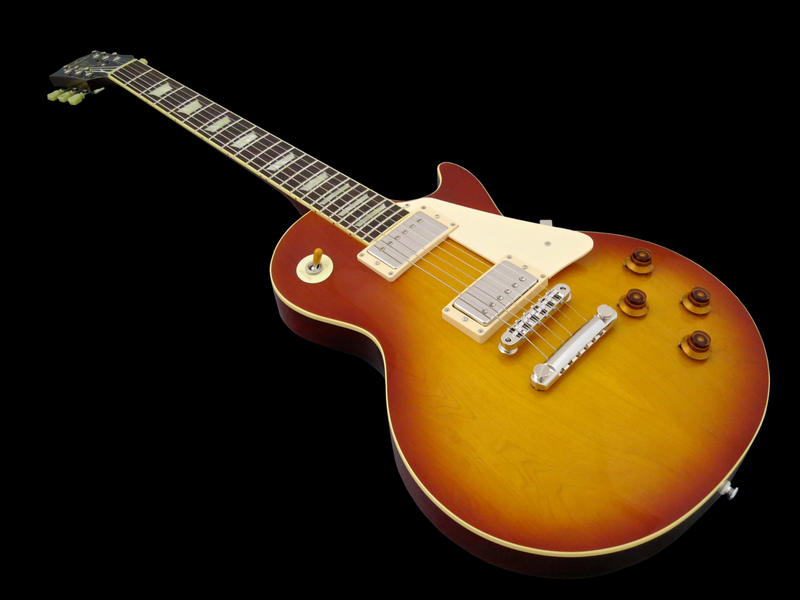 Smith’s early guitars were clearly grounded in Gibson-tradition, successfully blending classic Les Paul Standard visuals with the more practical double-cut design of late 1950s Les Paul Specials. 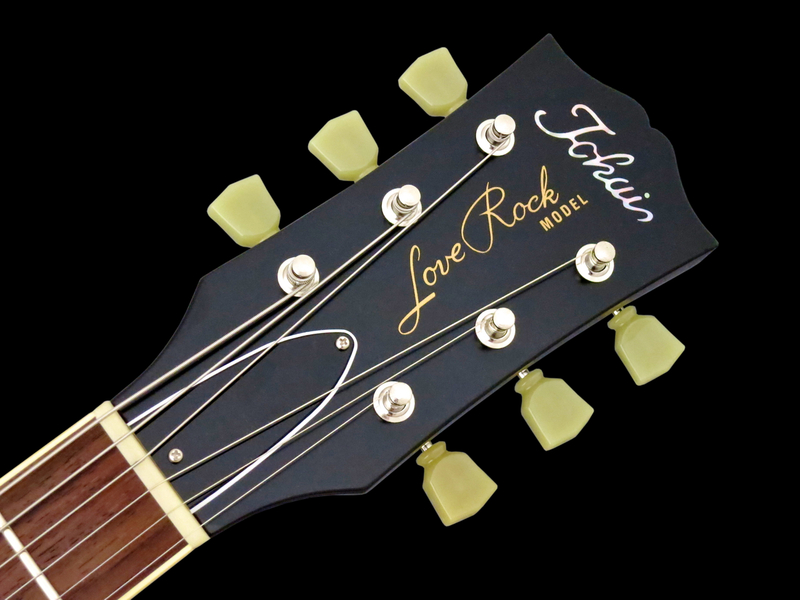 Carlos Santana’s signature PRS is based on these early (pre-PRS) guitars. 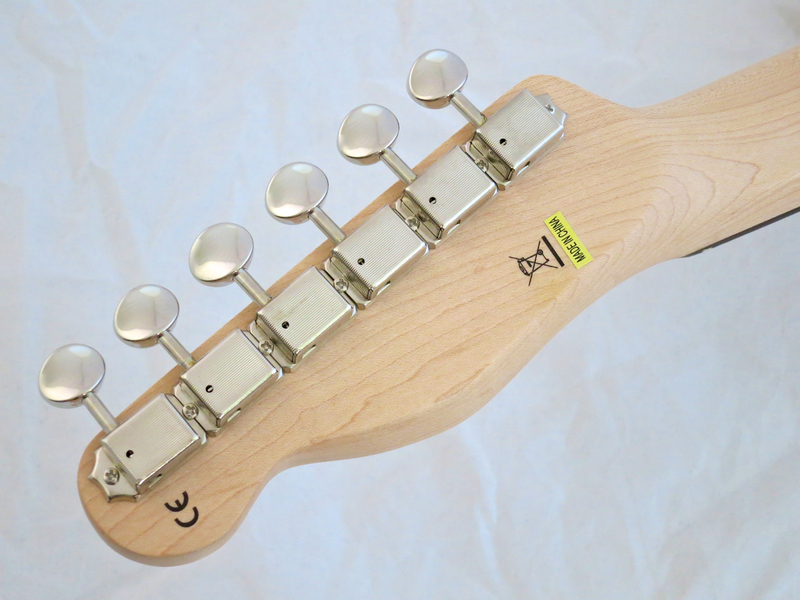 Nonetheless, Paul Reed Smith wasn’t content with high-class “copying”. 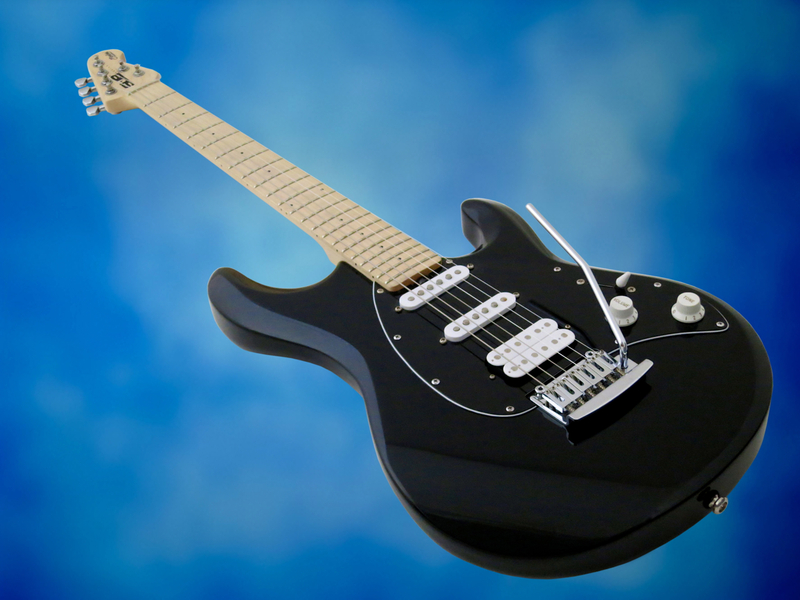 He wanted to come up with the ultimate electric guitar, both in terms of playability and sounds. 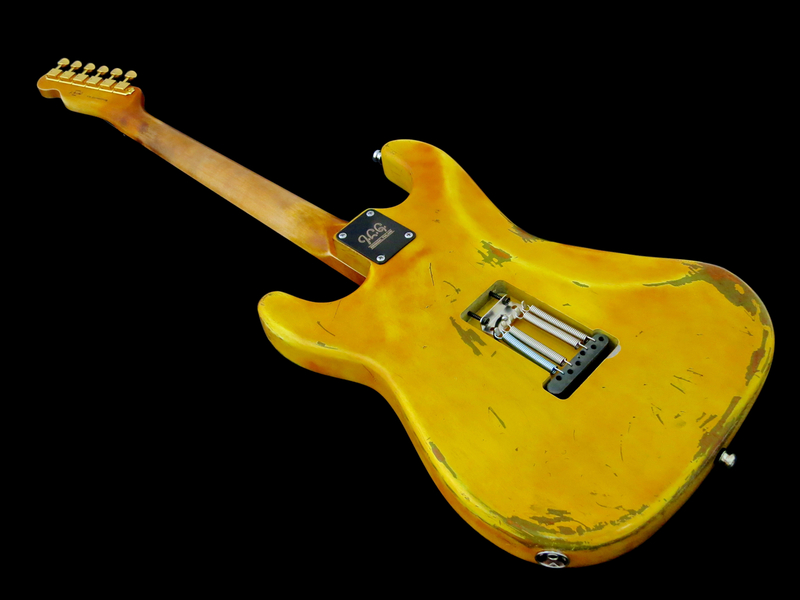 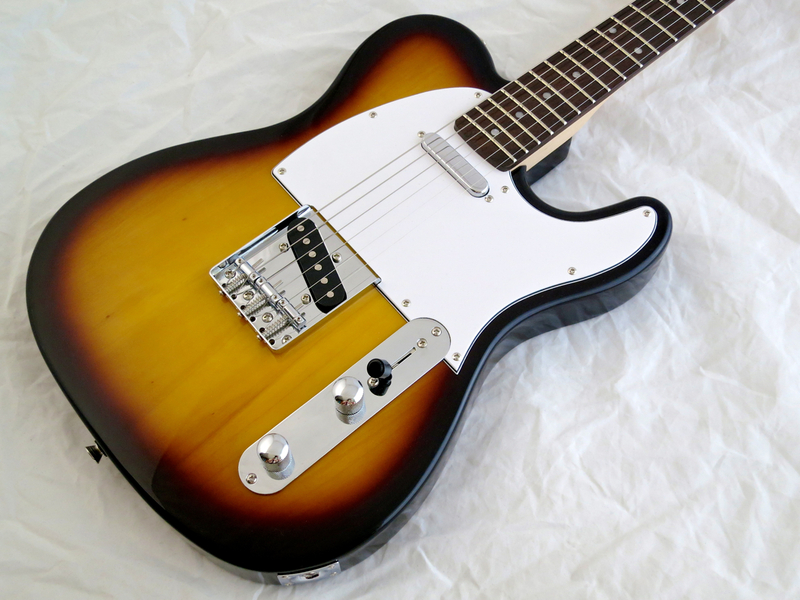 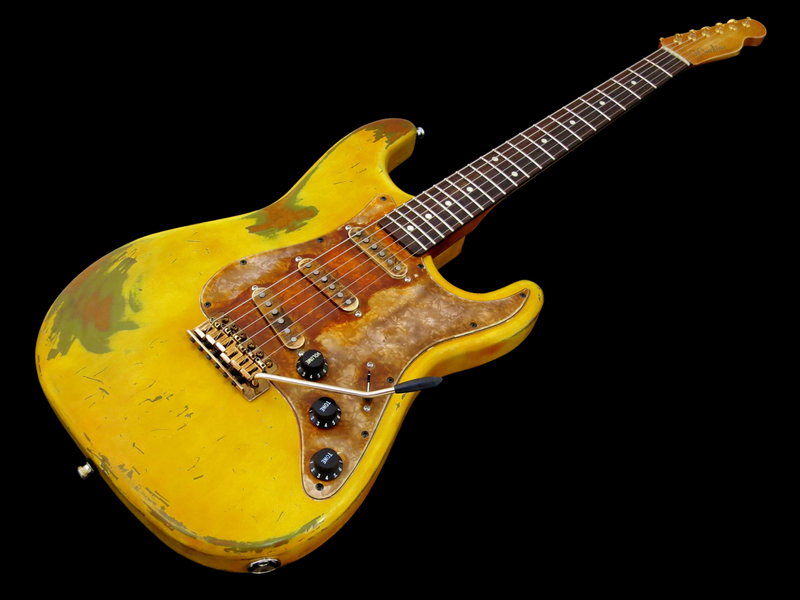 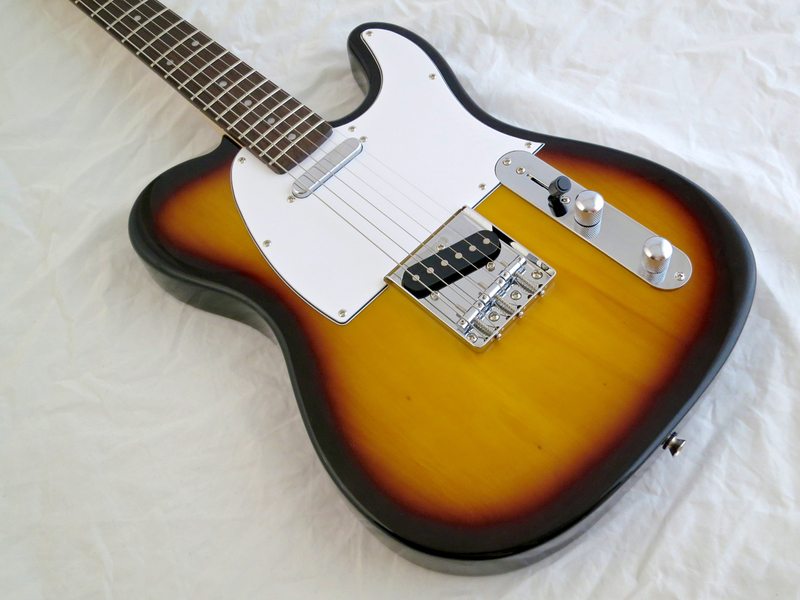 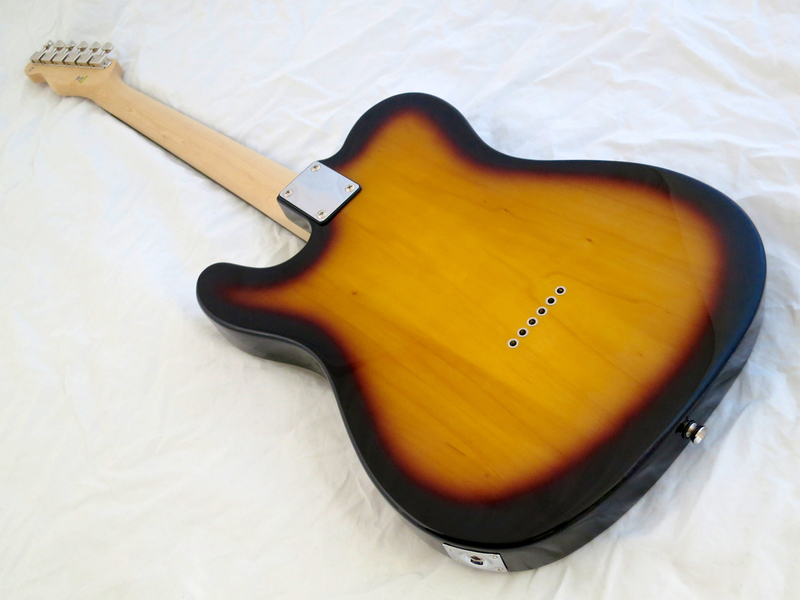 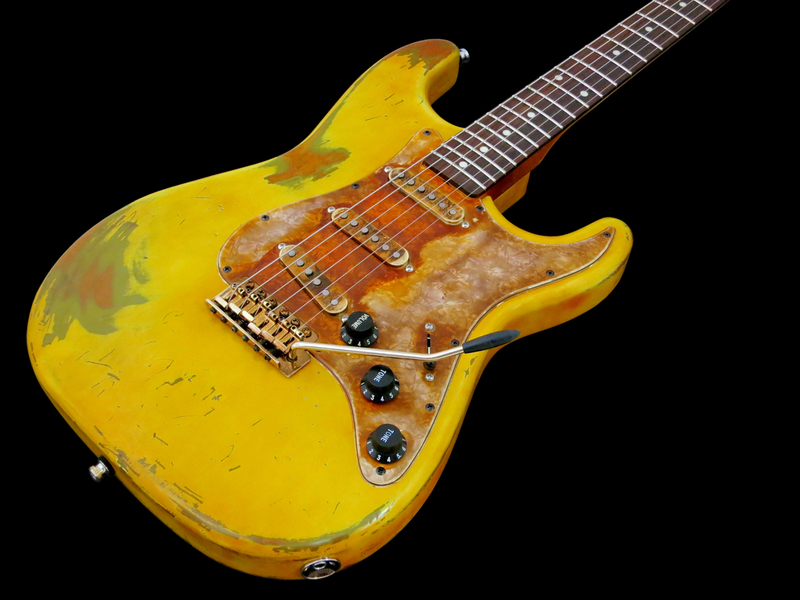 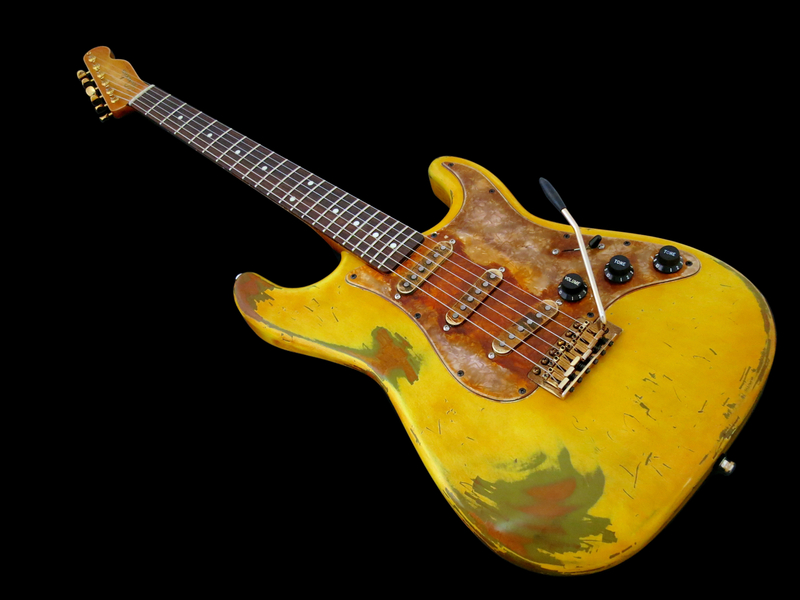 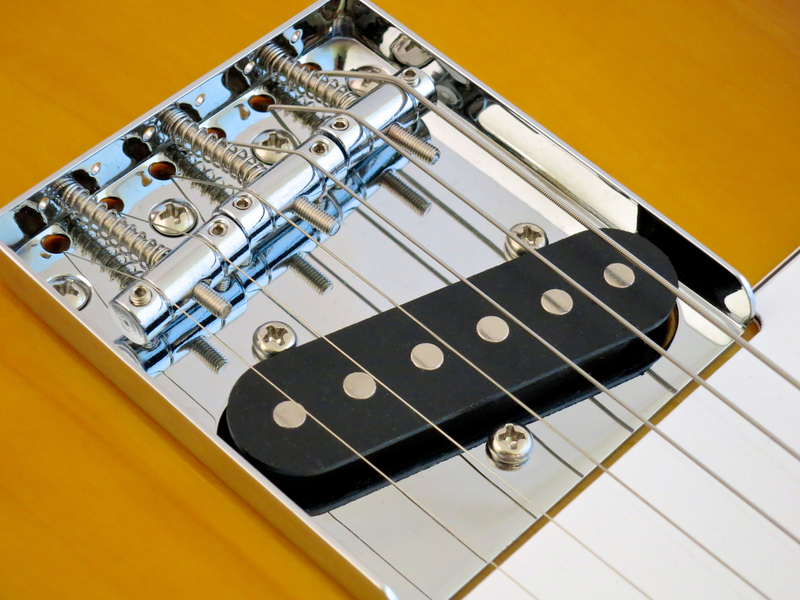 What he came up with was a guitar that successfully bridges the gap between Fender and Gibson electrics, without copying any of their classic models. 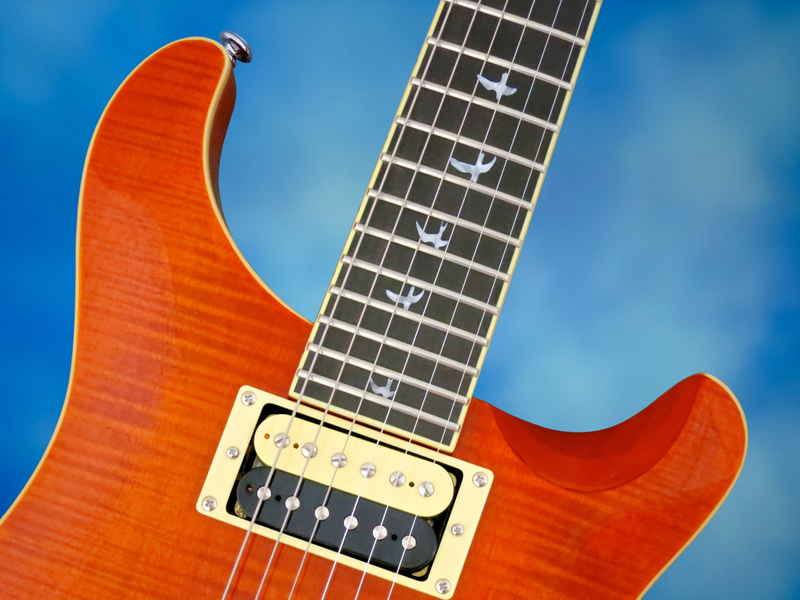 The first step on Paul Reed Smith’s ongoing quest for excellence was the PRS Custom 24, introduced at NAMM in 1985. 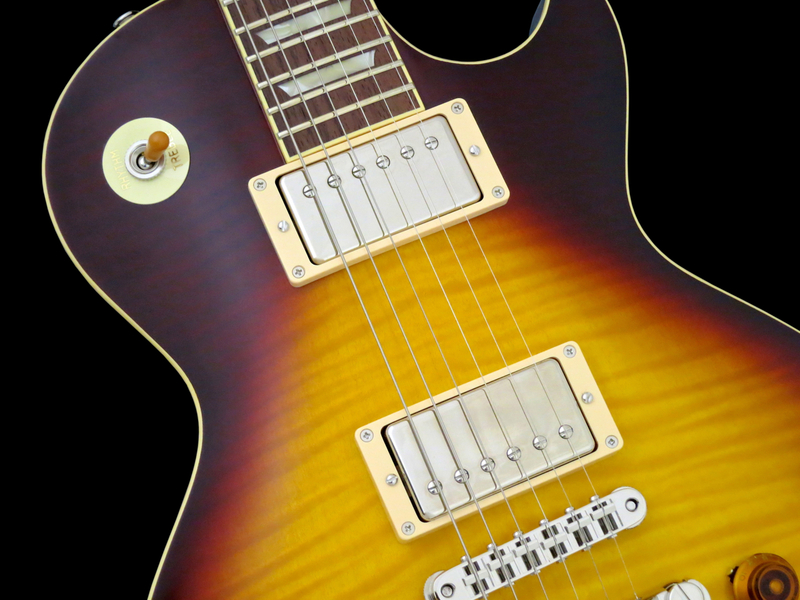 This guitar set PRS’ wheels a-rollin’, and the company has come a long way from its humble beginnings. 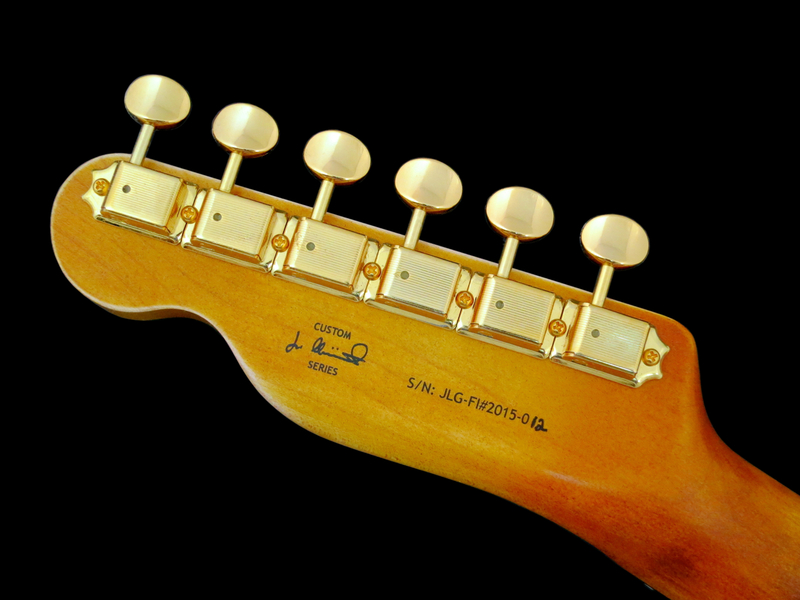 These days people talk about the “Big Three” manufacturers of electric guitars – meaning Fender, Gibson and PRS. 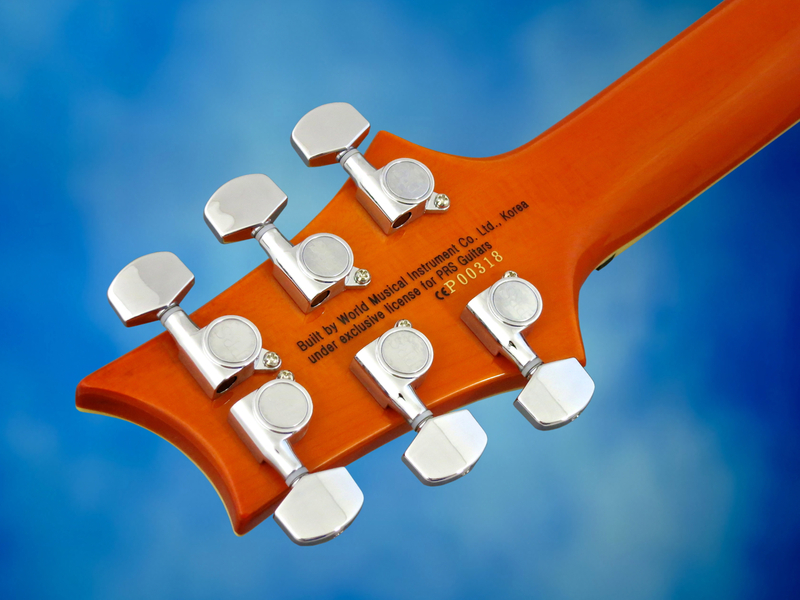 To celebrate their anniversary PRS have released four limited edition models. 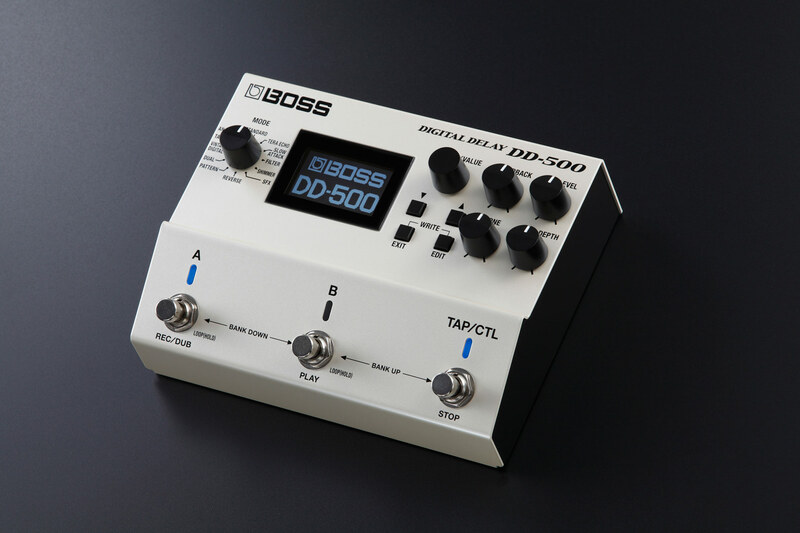 Kitarablogi.com managed to get hold of the Made-in-Korea SE Custom 24 30th Anniversary for this review. 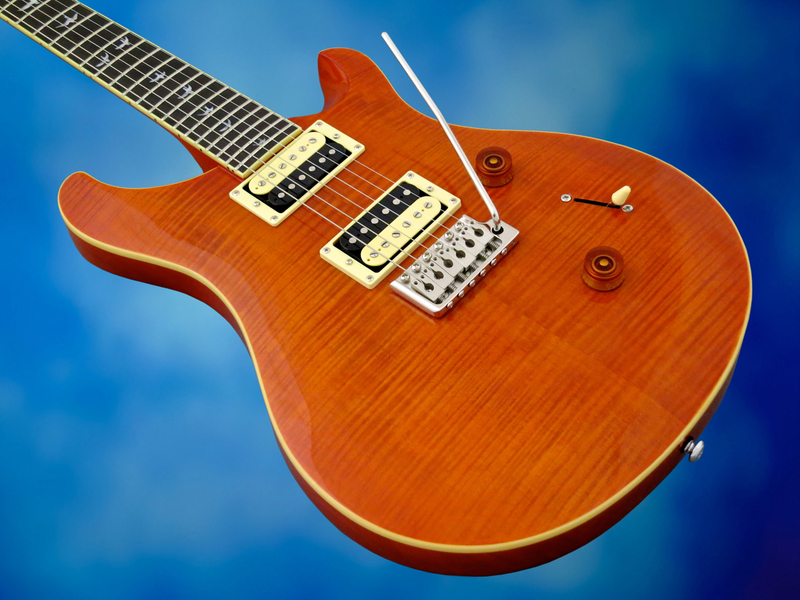 The PRS SE 30th Anniversary Custom 24 (current price in Finland approx. 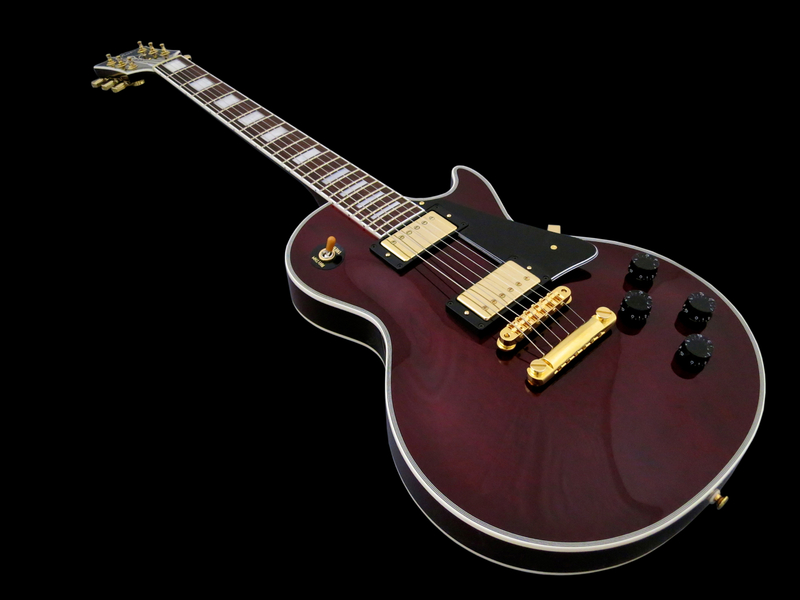 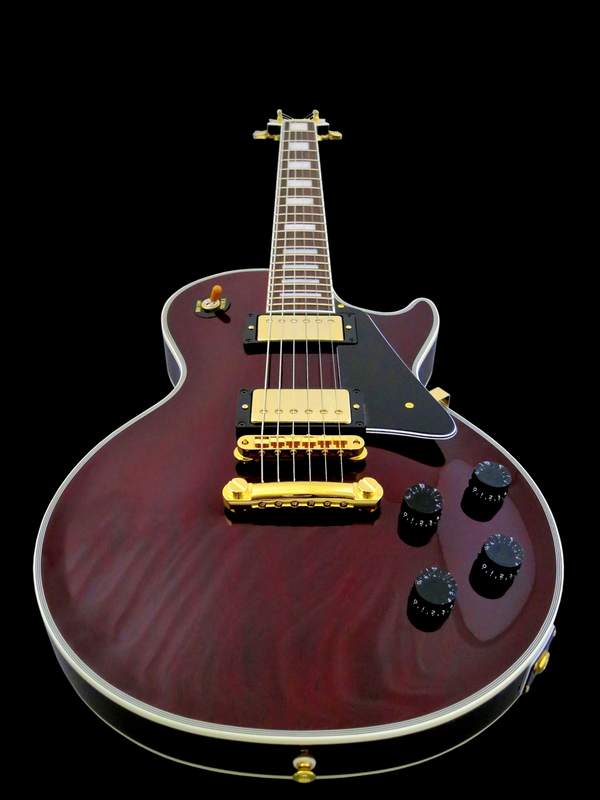 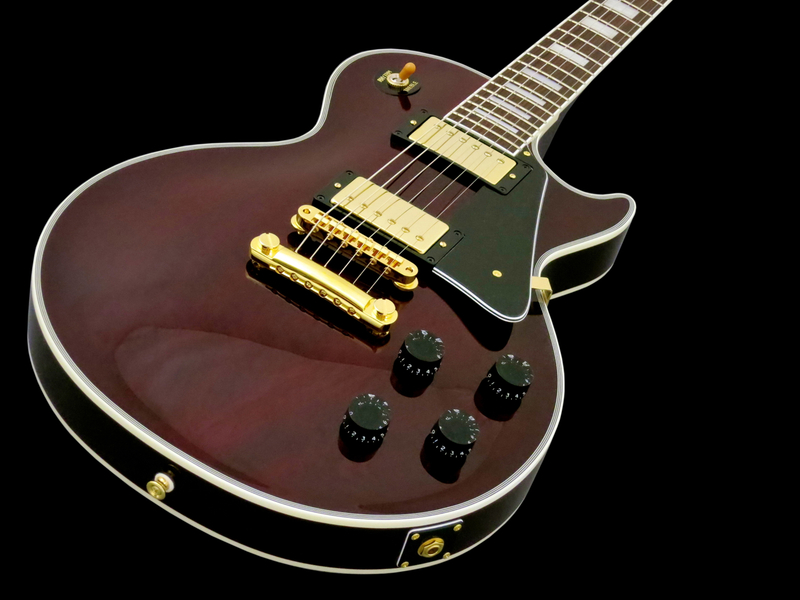 1,000 €) is the most-affordable of the anniversary models, but it still is a great-looking guitar. 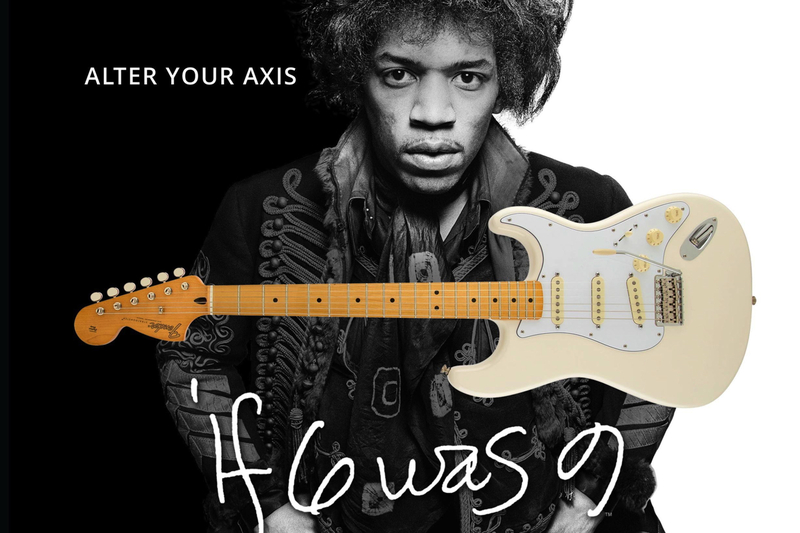 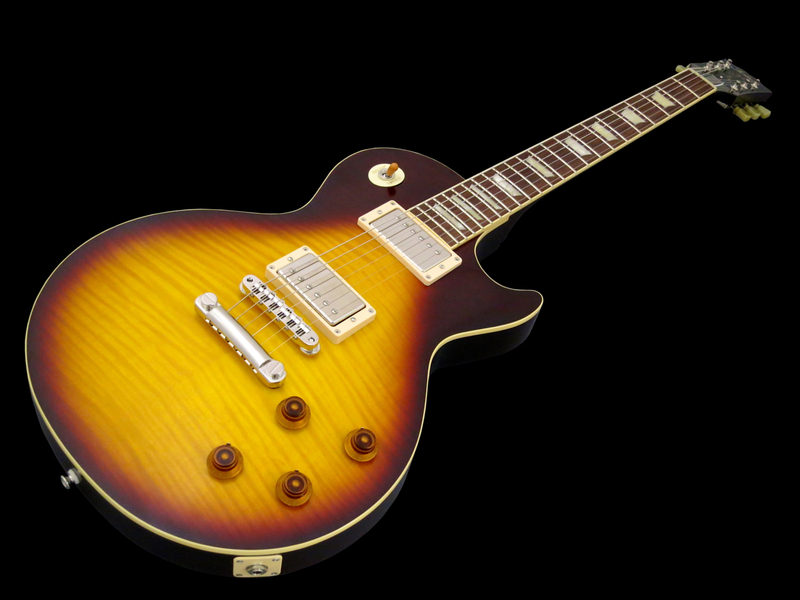 It has PRS Guitars’ typical scale length of 25-inches (63.5 cm), which is longer than Gibson’s, but shorter than Fender’s typically used scale lengths. 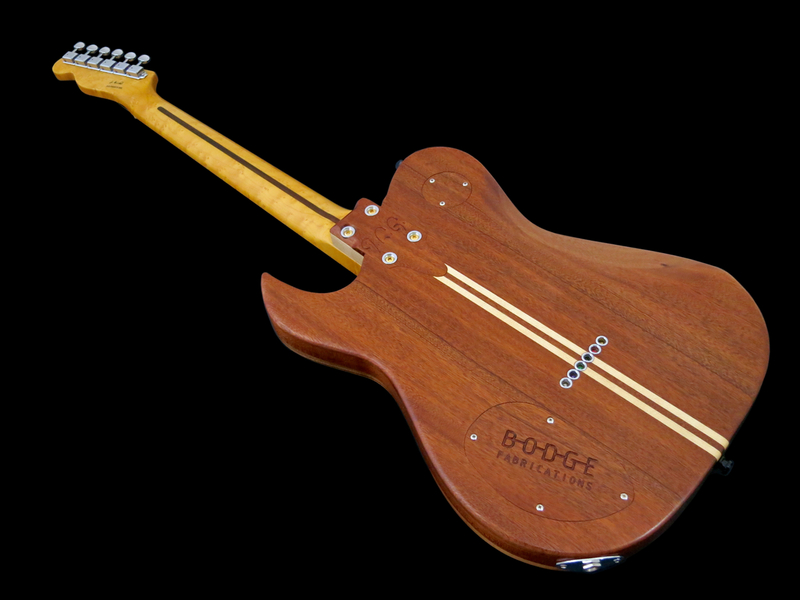 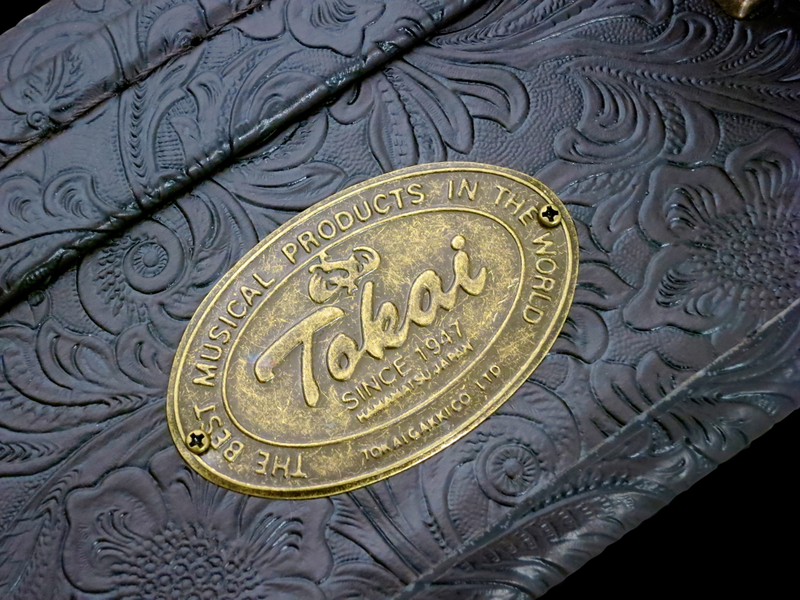 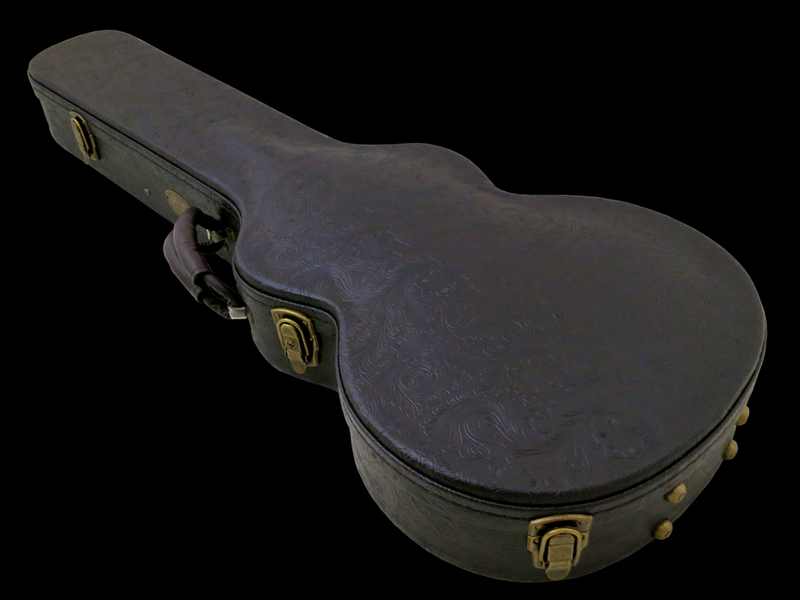 The back of the body is made from mahogany, while the curved top is crafted from maple. 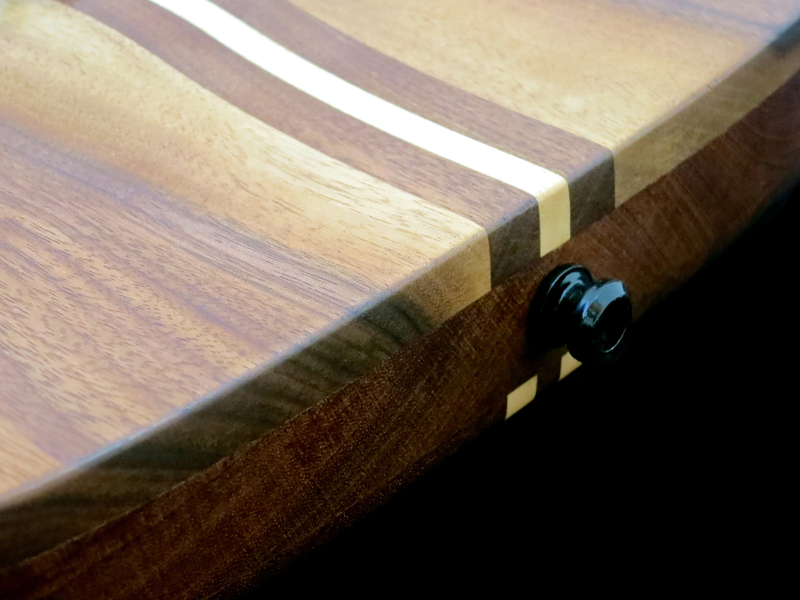 To spruce up the looks of the SE 30th Anniversary, a thin flame maple veneer is glued onto the (plain) maple top. 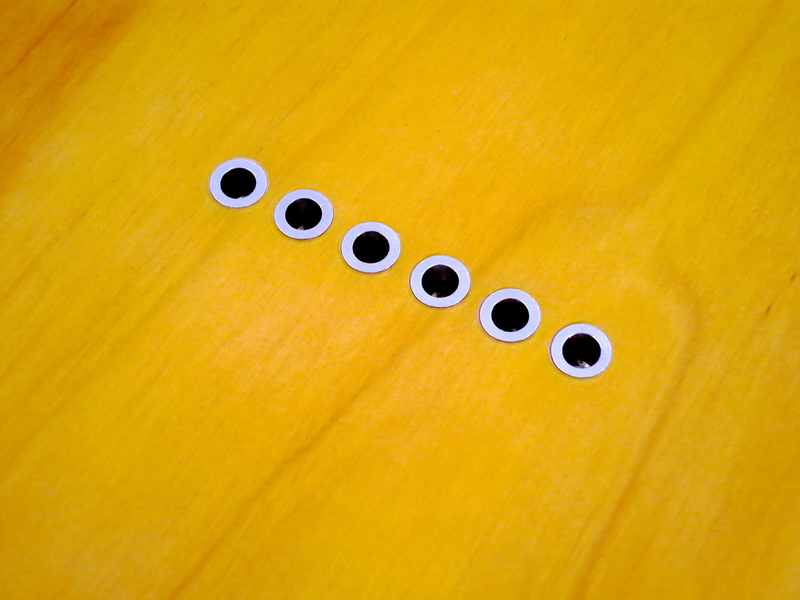 The top is bound with cream-coloured plastic. 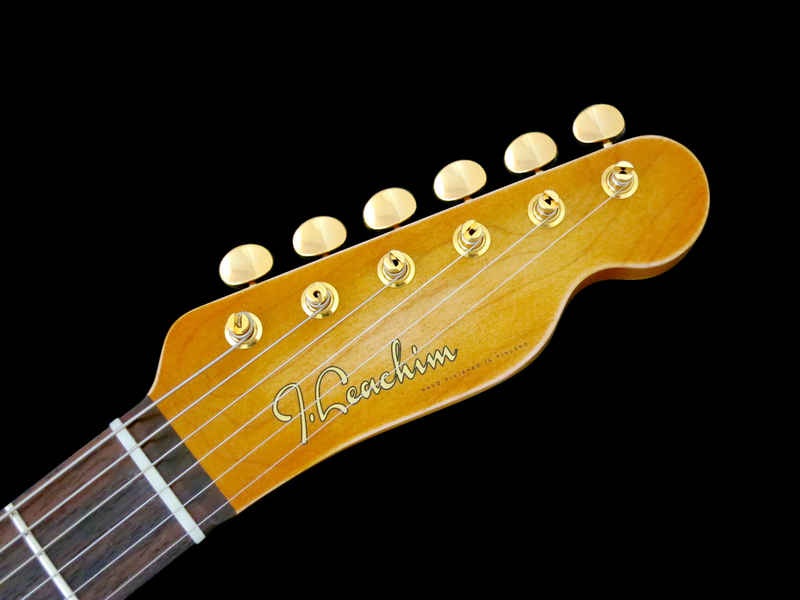 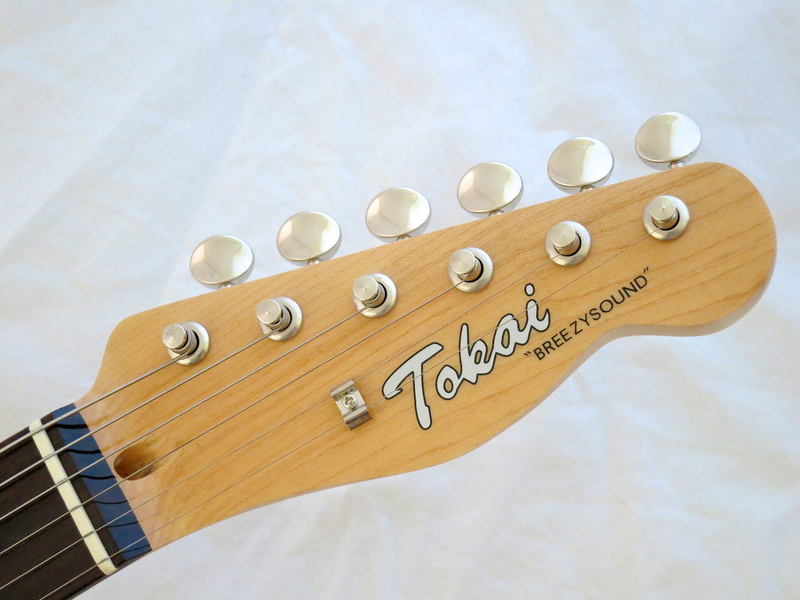 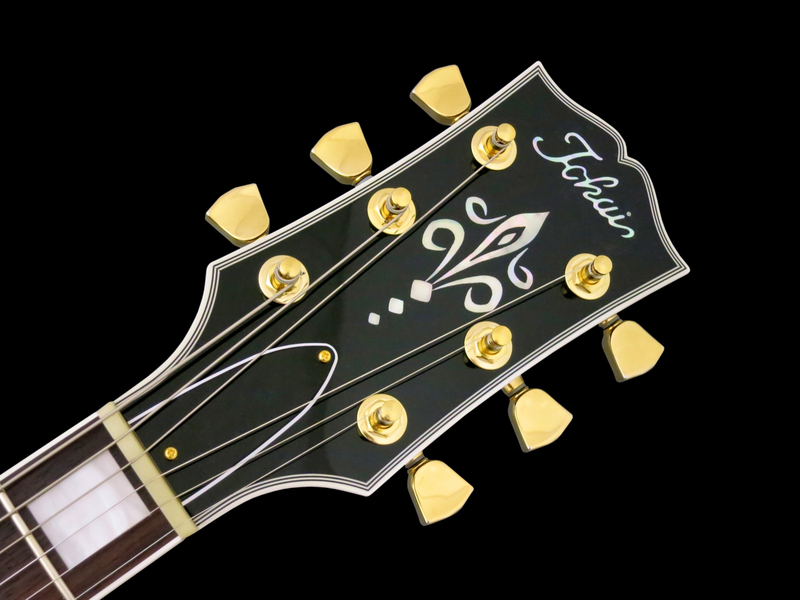 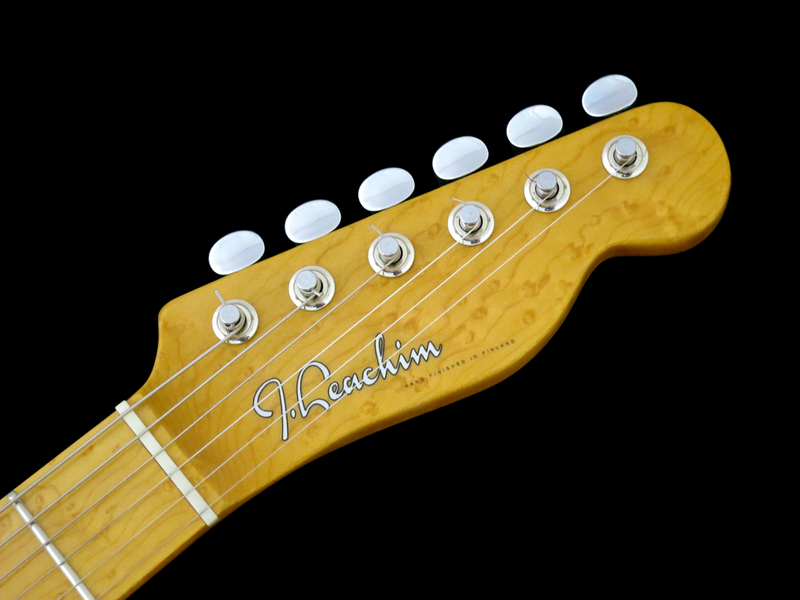 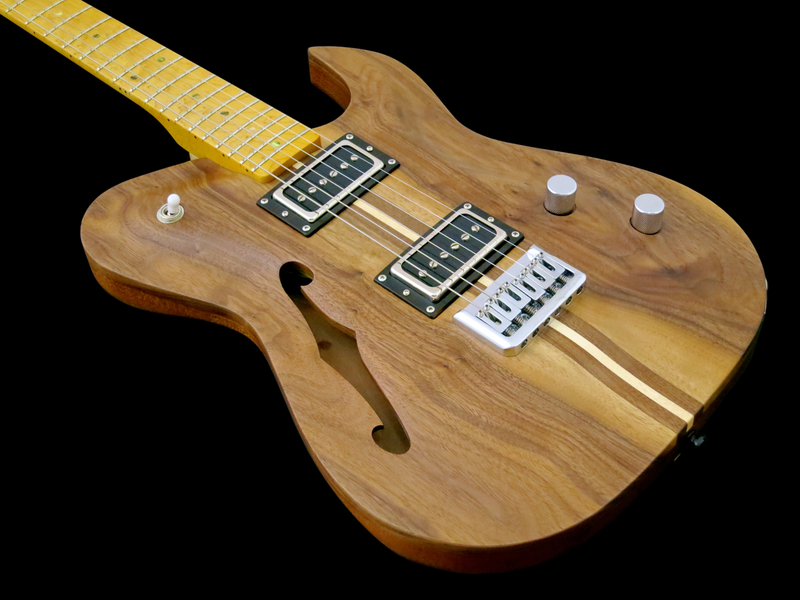 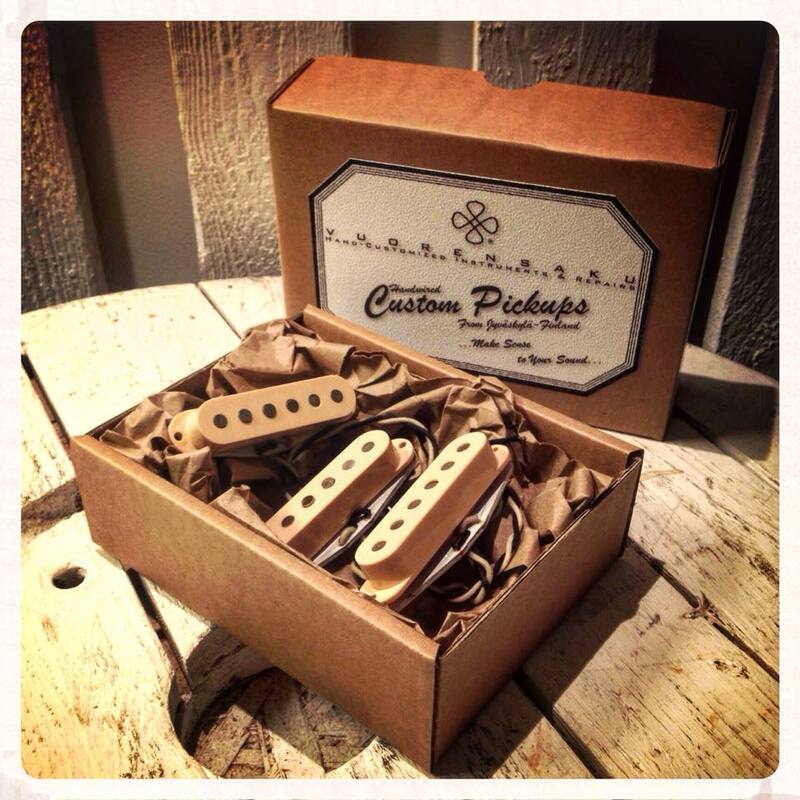 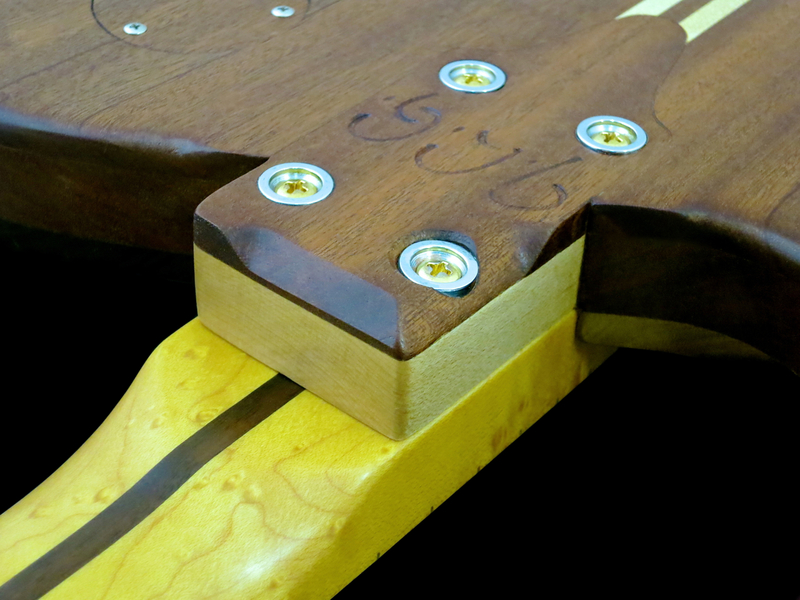 On current SE Custom 24 guitars the neck is made from maple – in contrast to the mahogany necks on US-produced Customs. 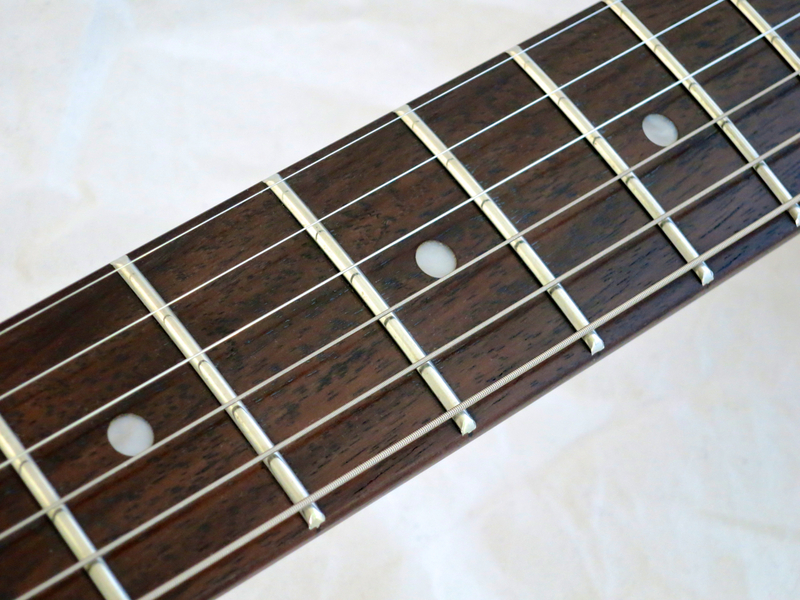 The change was made recently for both tonal and ecological reasons. 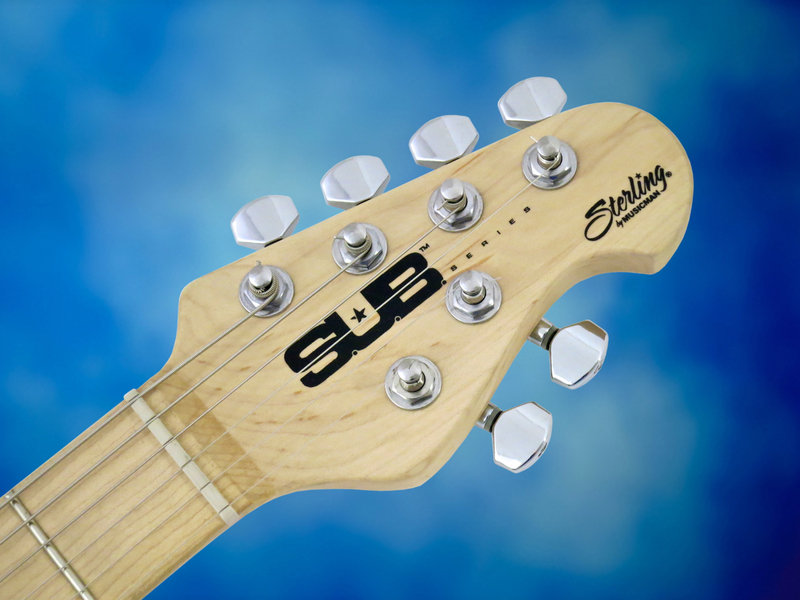 The SE’s set neck is glued together from three long strips of maple, with two small pieces added to get the headstock to its full width. 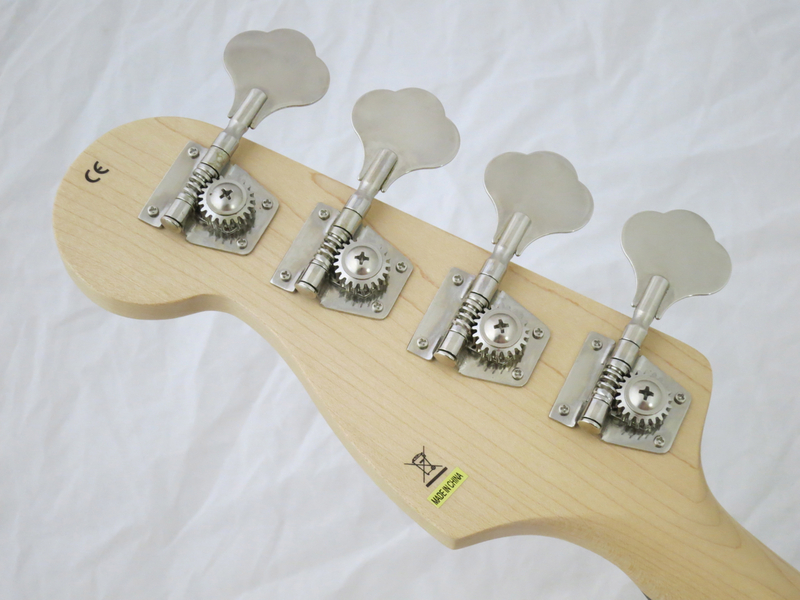 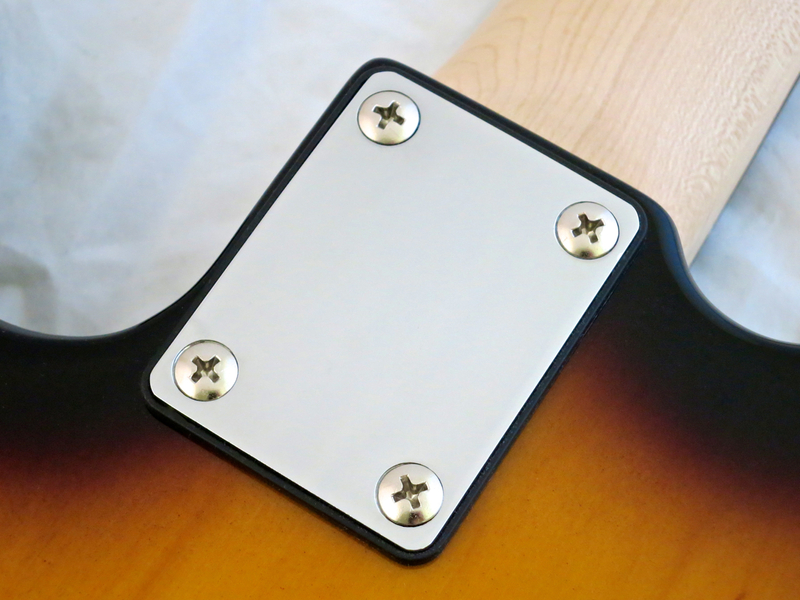 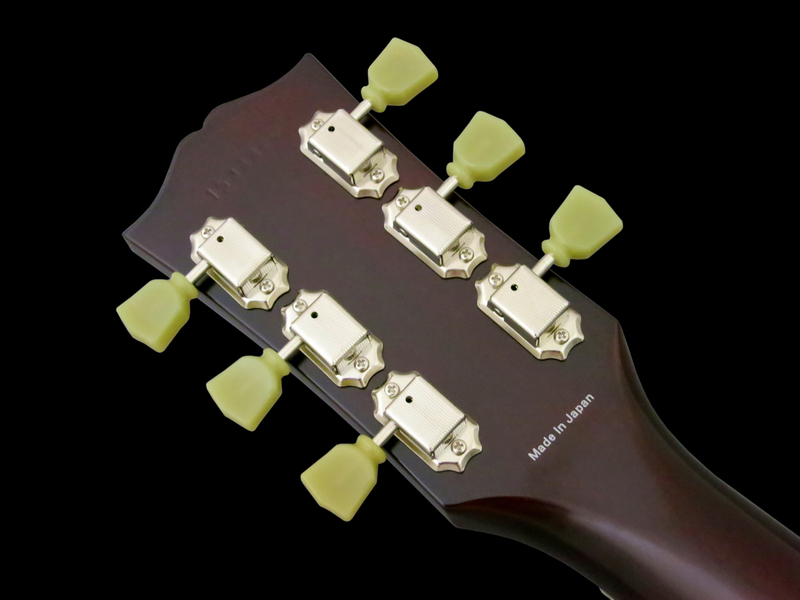 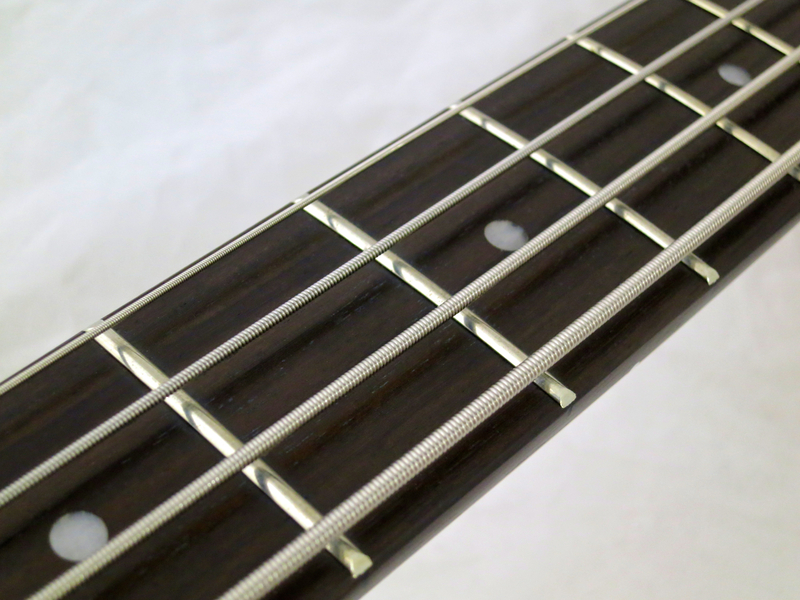 The nut is made from PRS’ special graphite-impregnated, hard plastic. 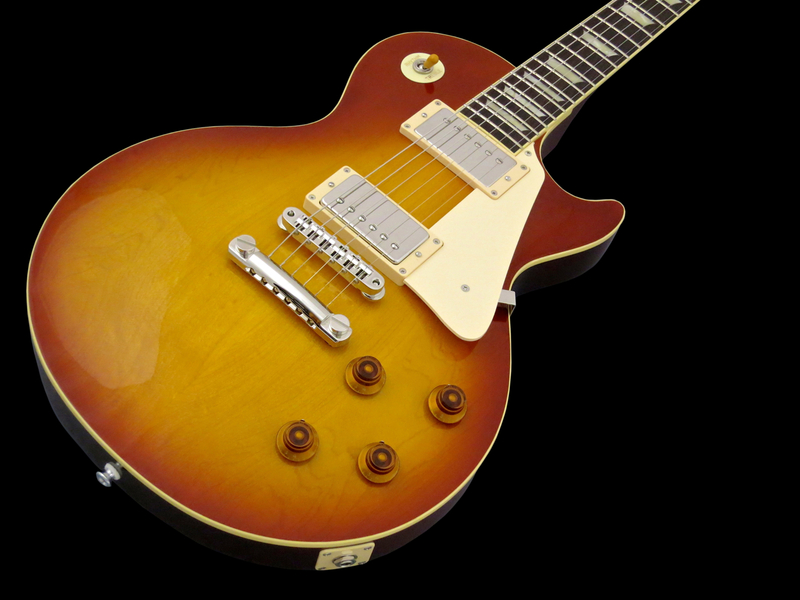 The 30th Anniversary SE Custom 24 sports a set of very decent, non-locking Schaller-copies. 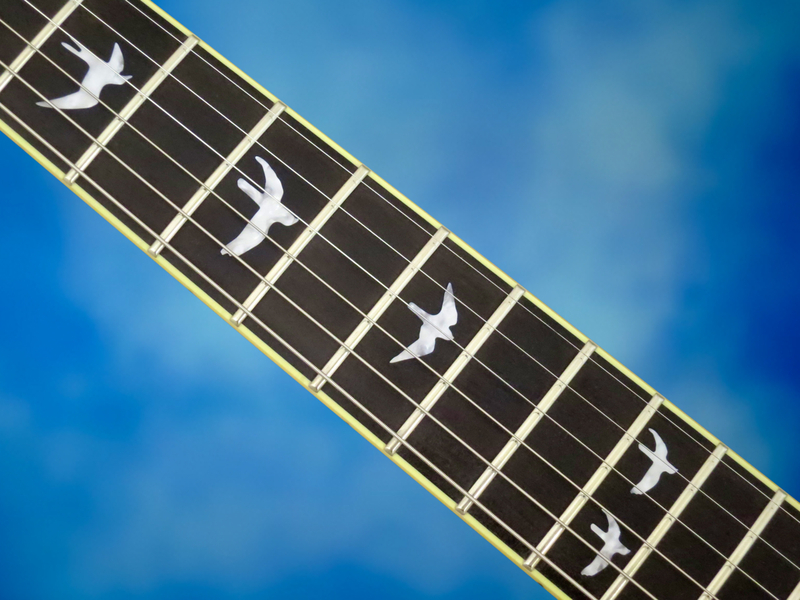 PRS have come up with a variation of their bird-inlays for the anniversary models, which sees the birds flying in a gracefully curved line across the fingerboard. 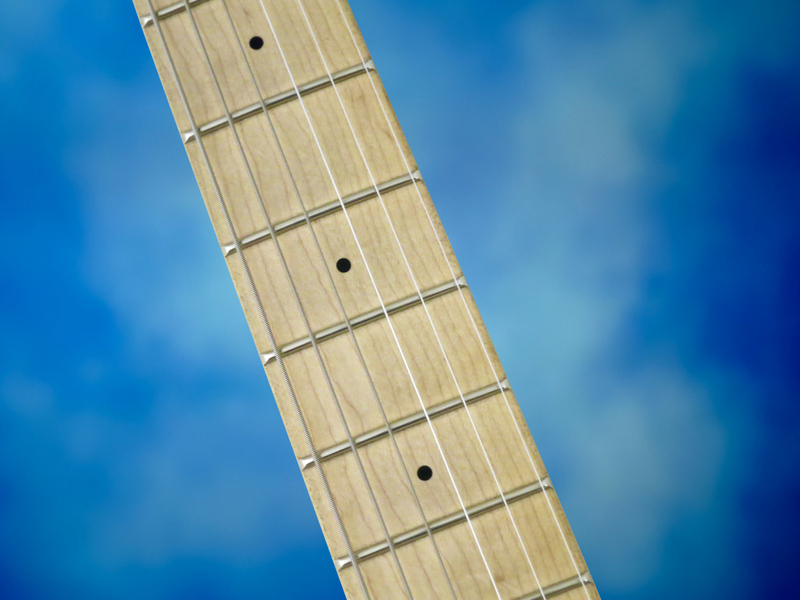 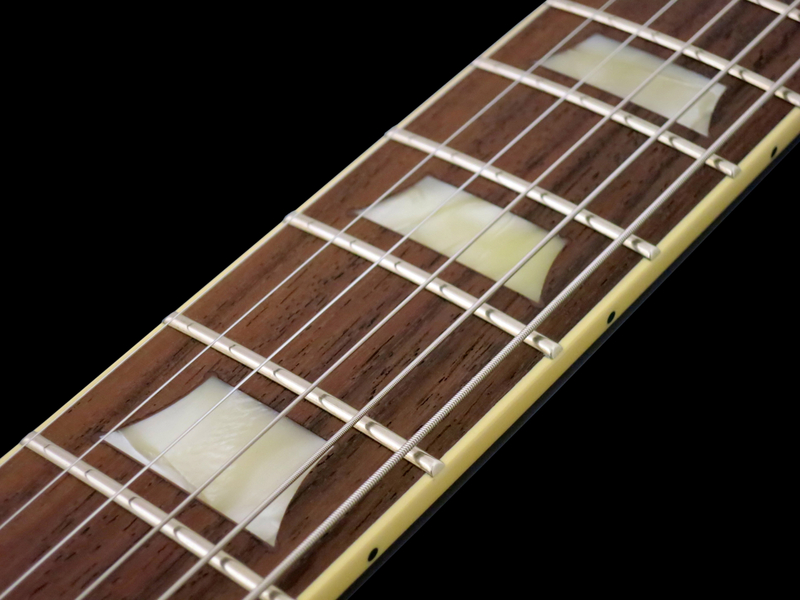 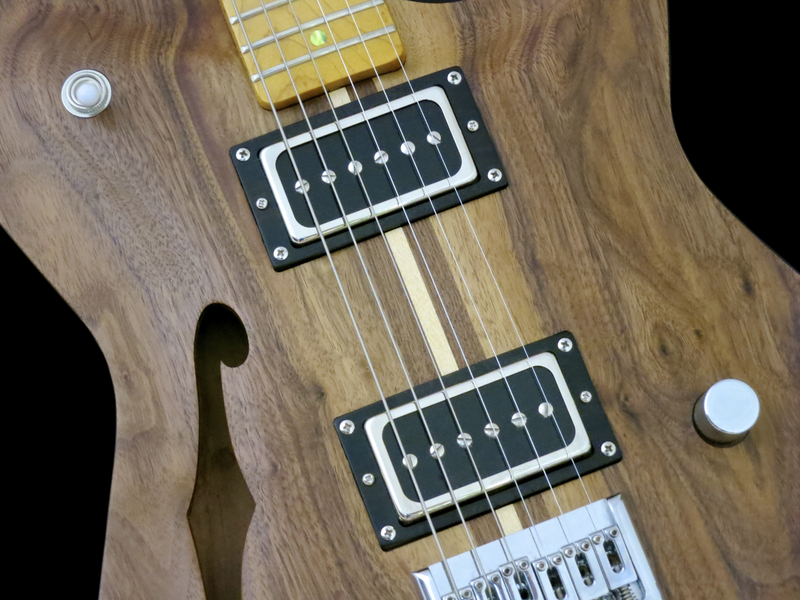 The bound rosewood fingerboard is home to 24 medium-jumbo frets. 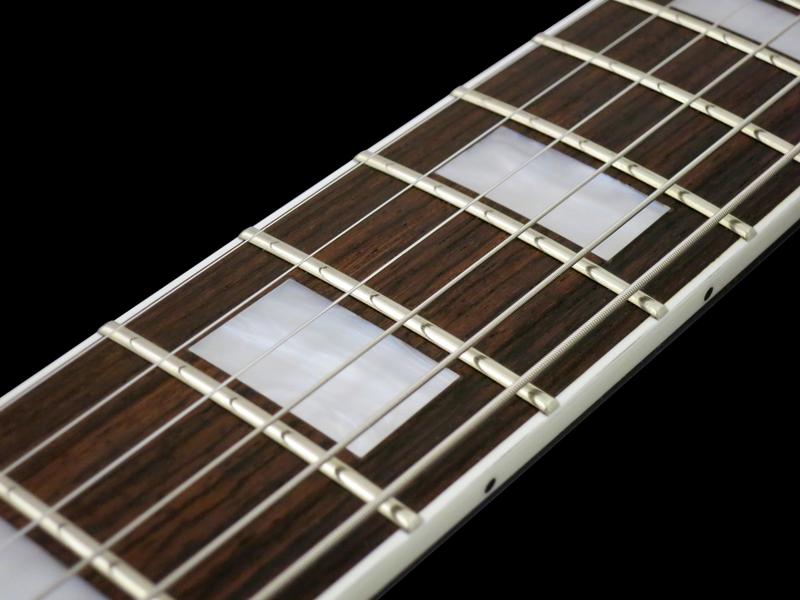 The fretjob is excellent. 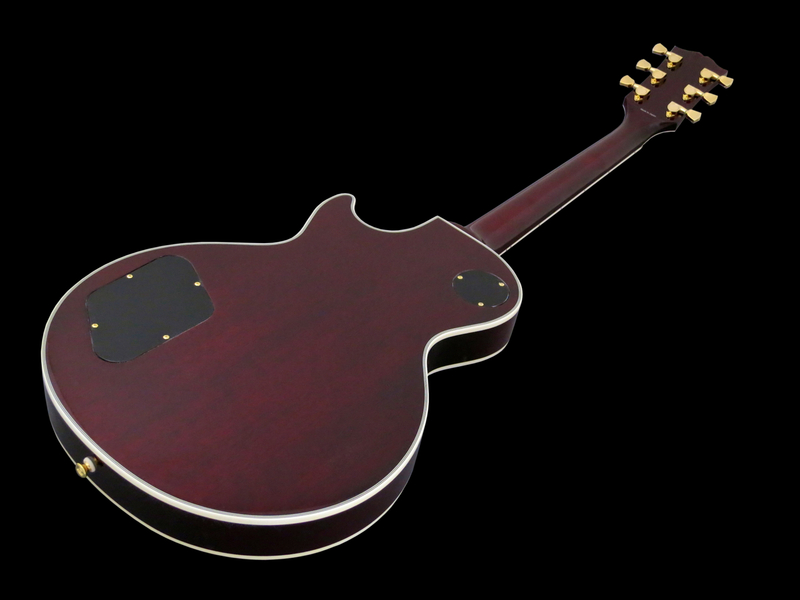 The bevelled treble side cutaway has become something of a trademark for PRS guitars. 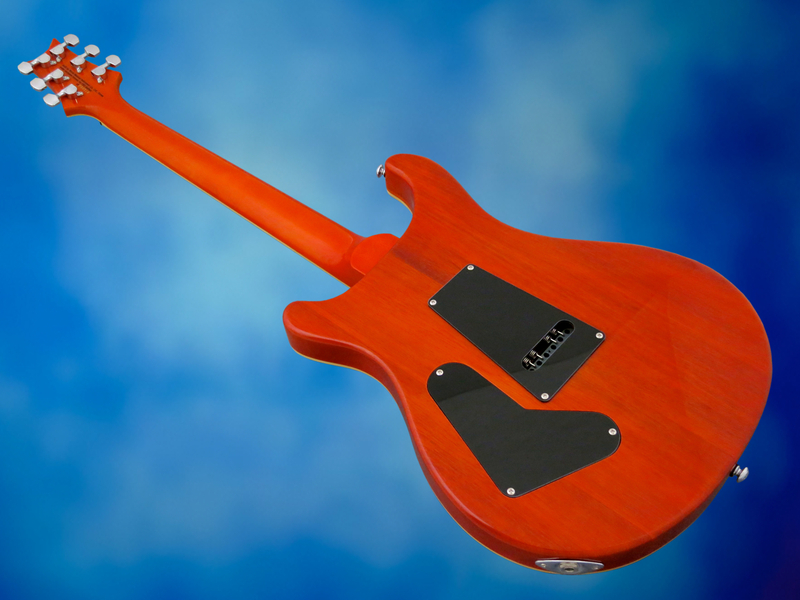 If you click on the picture for a better view, you will be able to see clearly the demarcation lines between the mahogany back, the maple top, and the flame maple veneer. 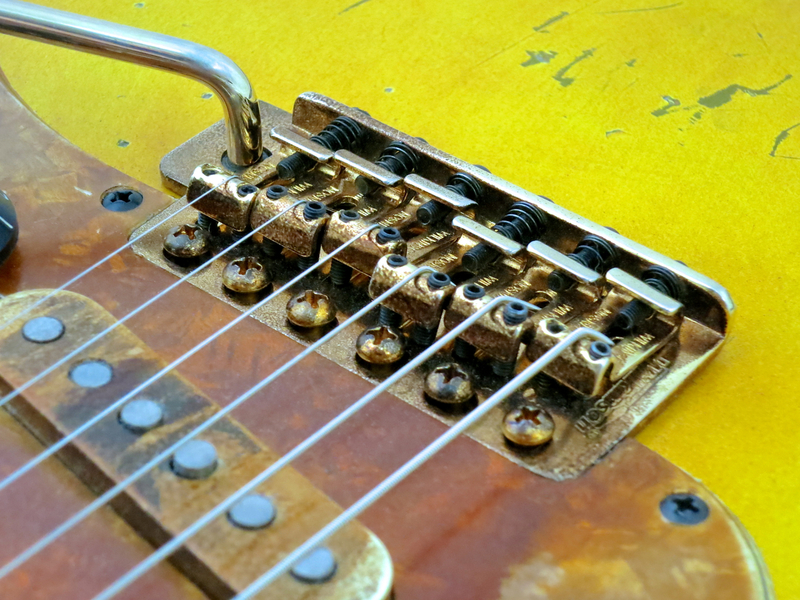 Thirty years ago locking vibratos (Floyd Rose, Kahler, Rockinger) were highly fashionable, but Paul Reed Smith wasn’t too keen on them. 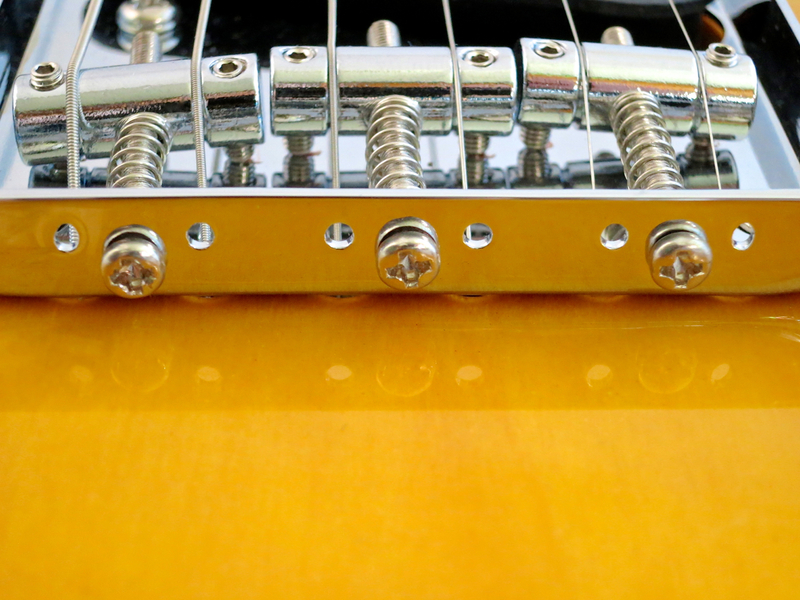 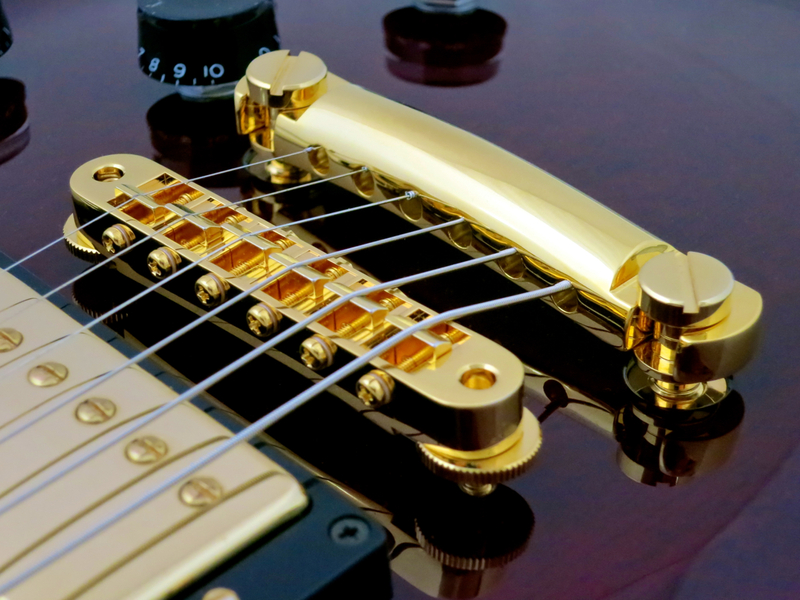 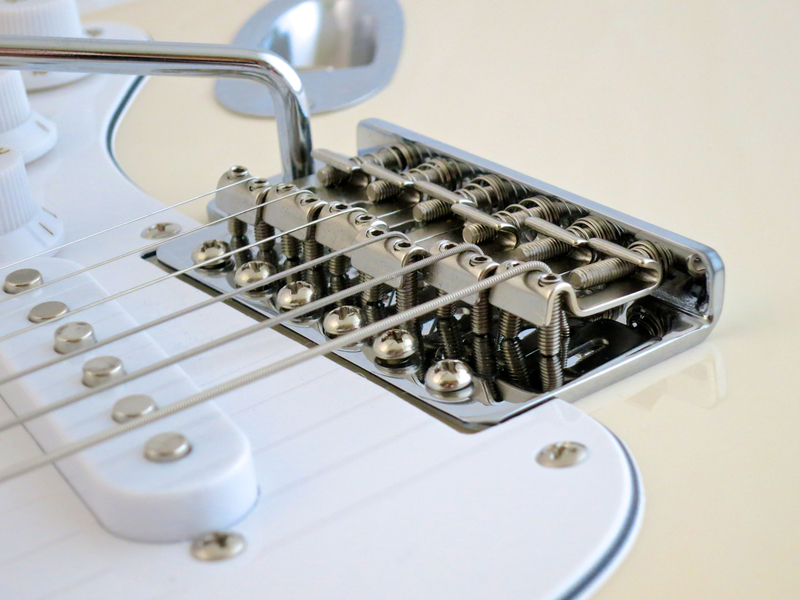 In his view locking systems changed a guitar’s sound in a negative way, and he felt they were too cumbersome when it came to changing strings. 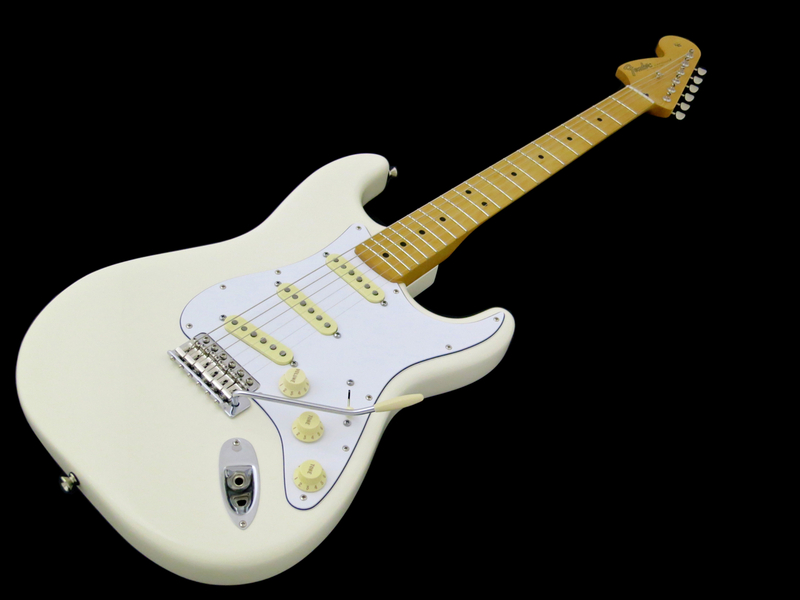 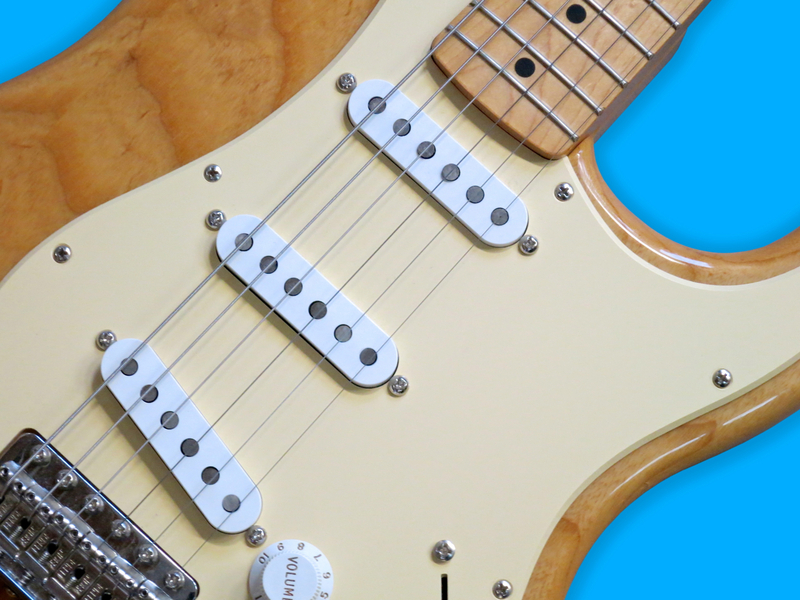 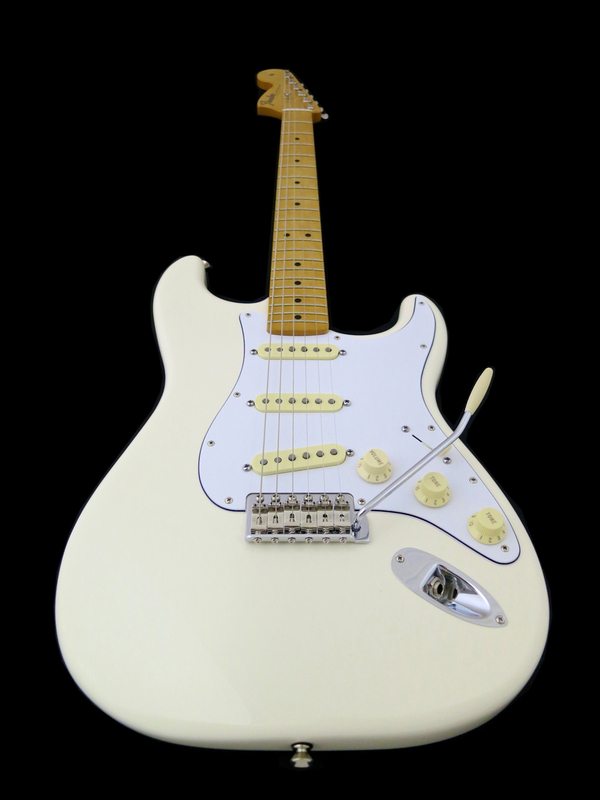 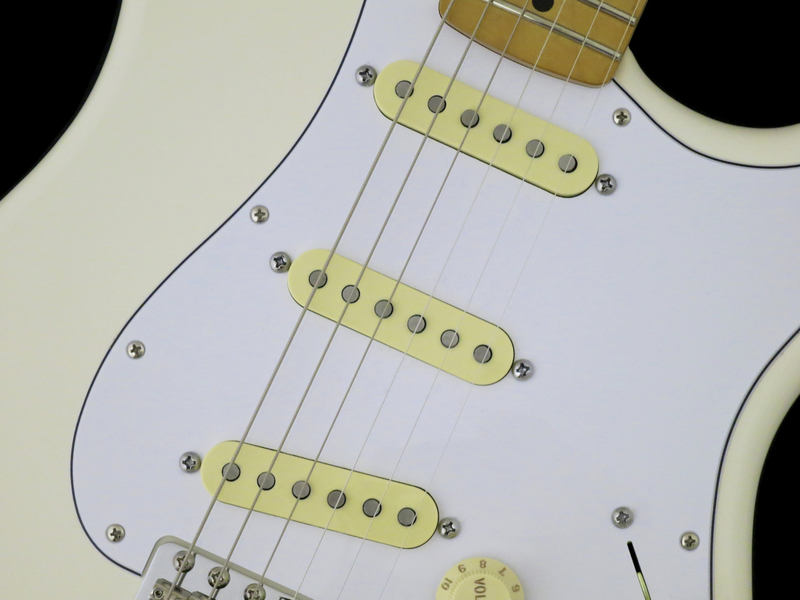 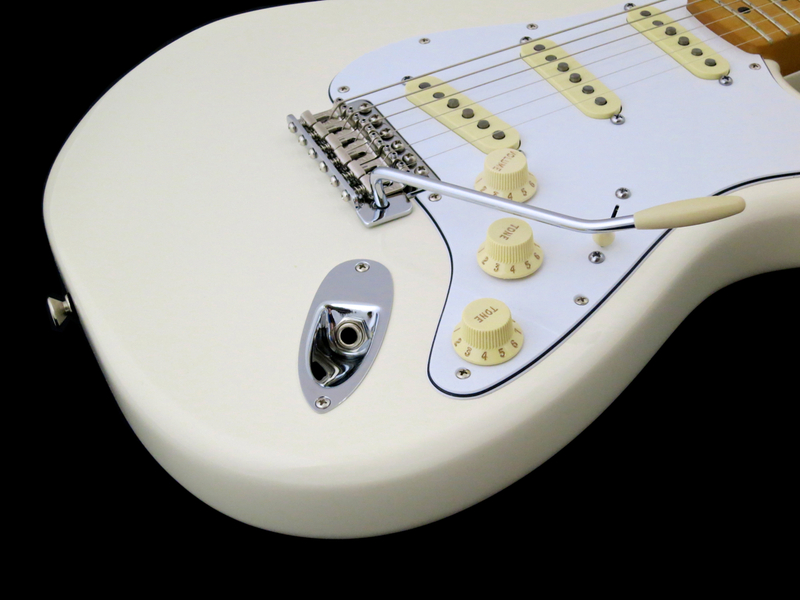 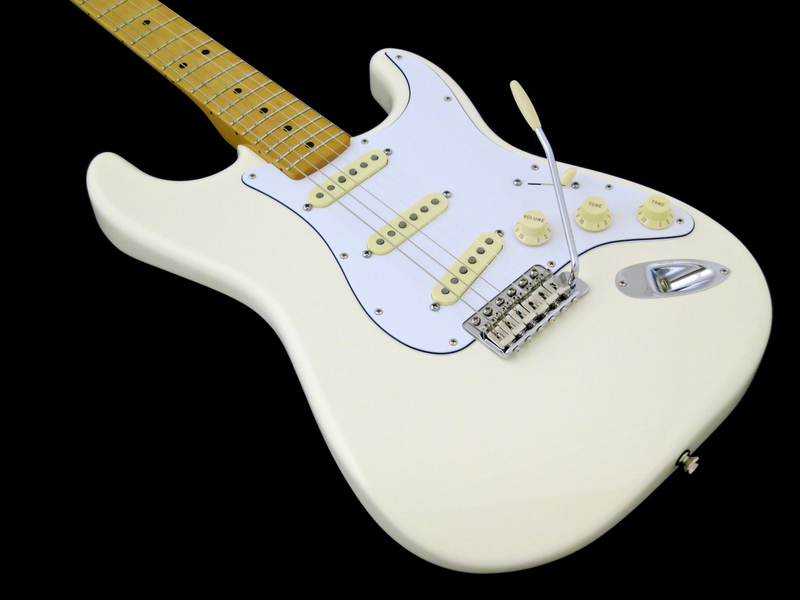 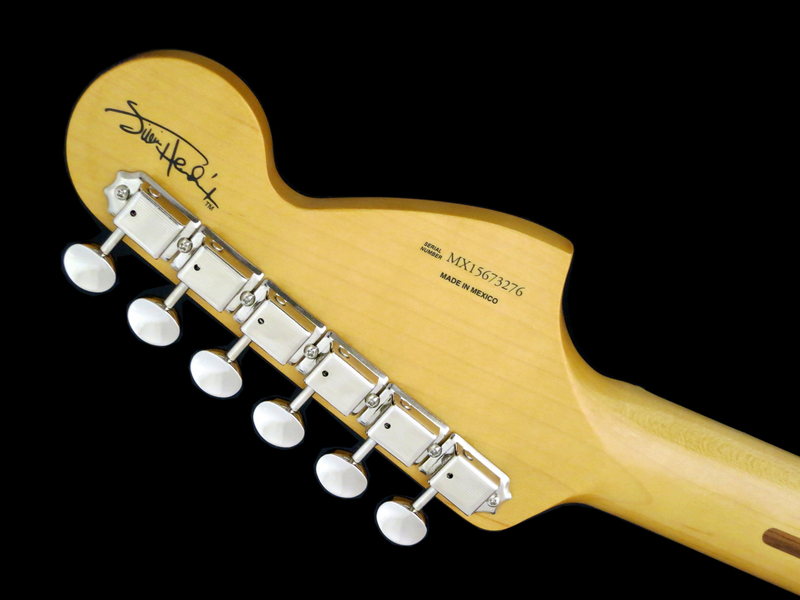 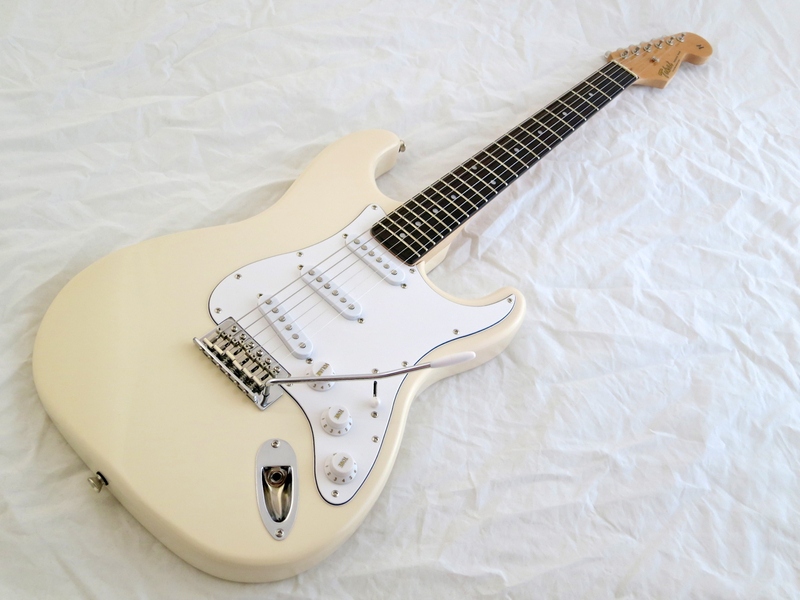 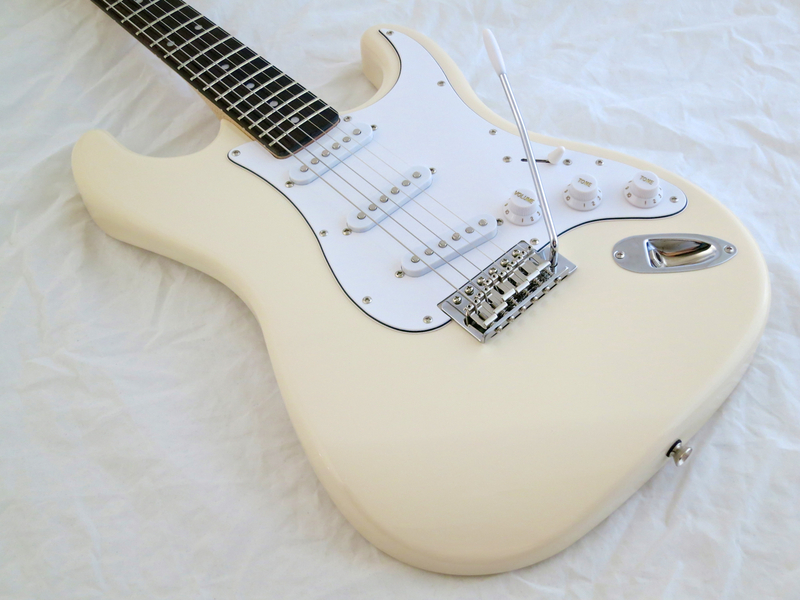 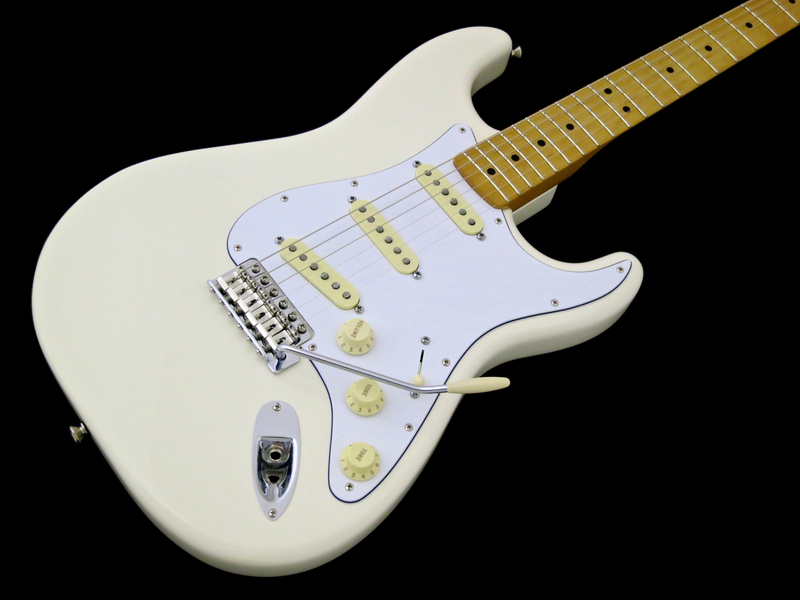 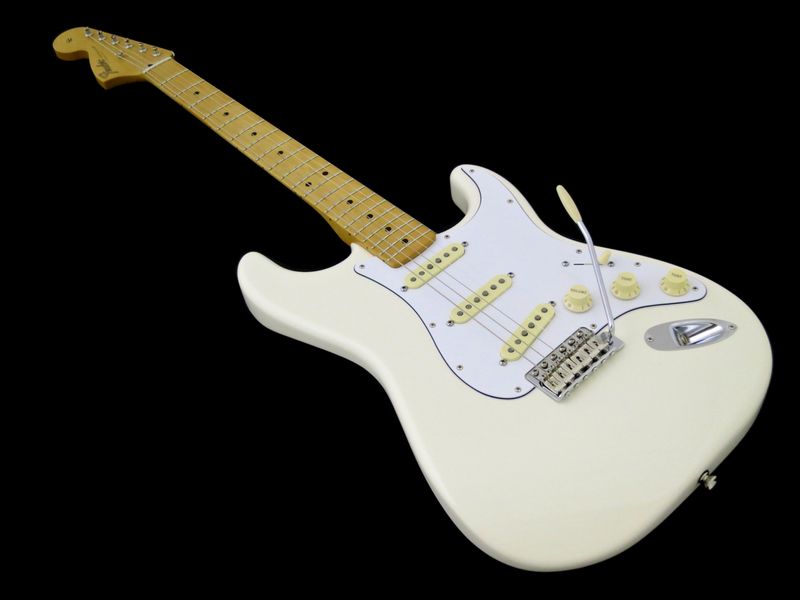 Smith came up with a highly-improved take on the classic Stratocaster vibrato – a chunky piece of beauty, milled from solid brass. 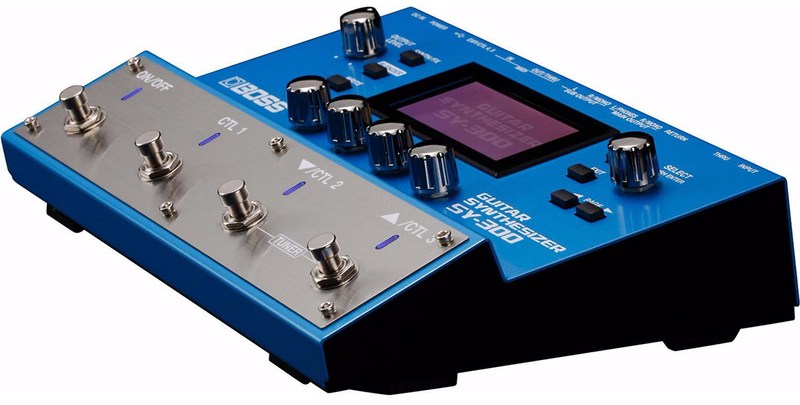 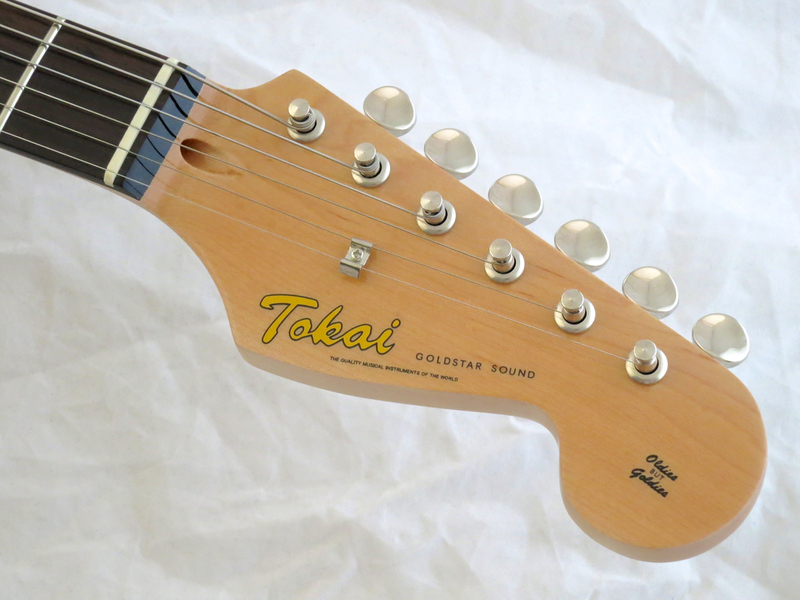 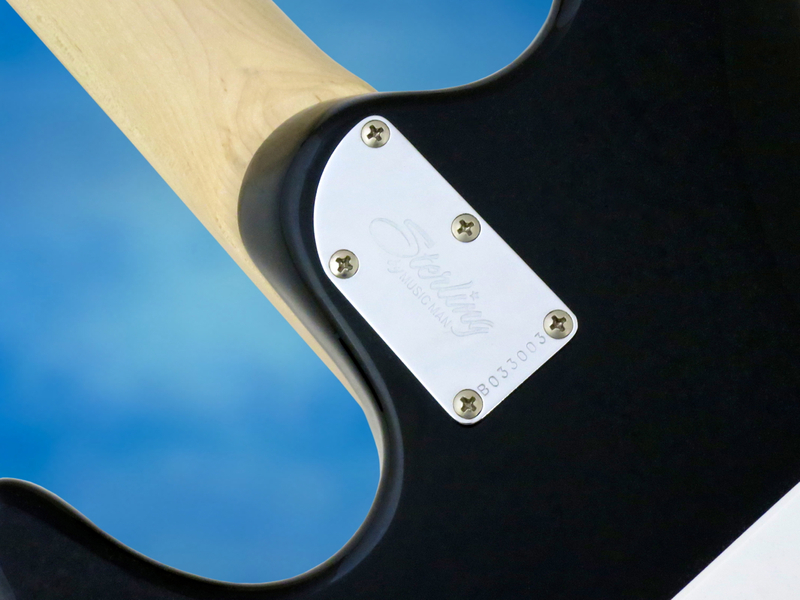 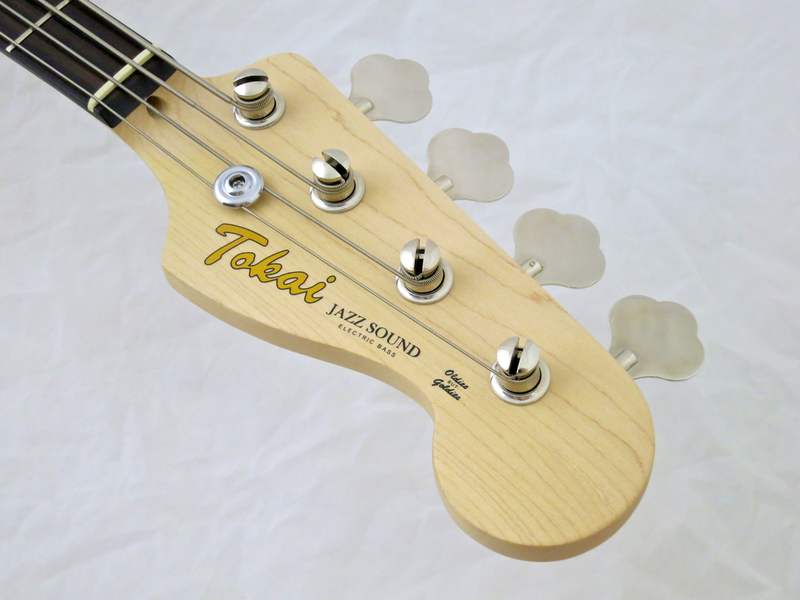 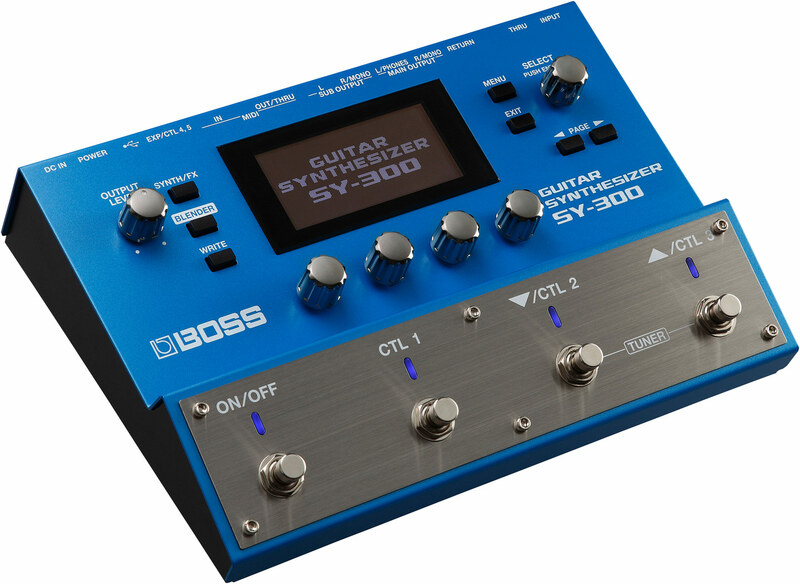 The SE 30th Anniversary Custom uses a high-quality version of the original design. 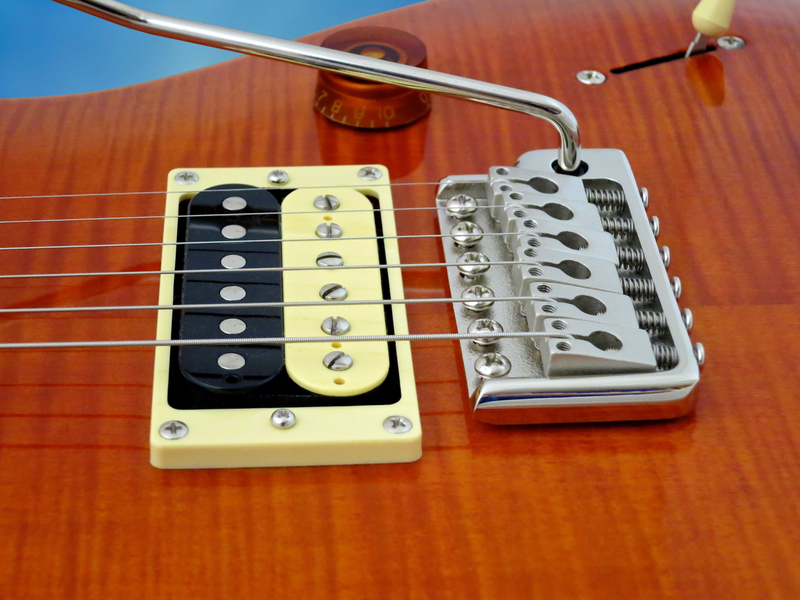 In the Eighties guitarists favoured hot bridge humbuckers, because they made achieving a creamy distortion sound much easier. 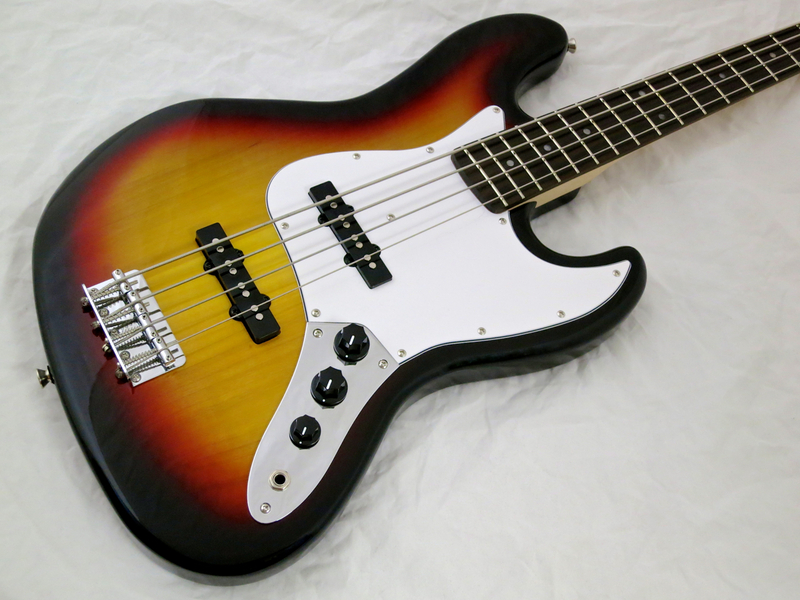 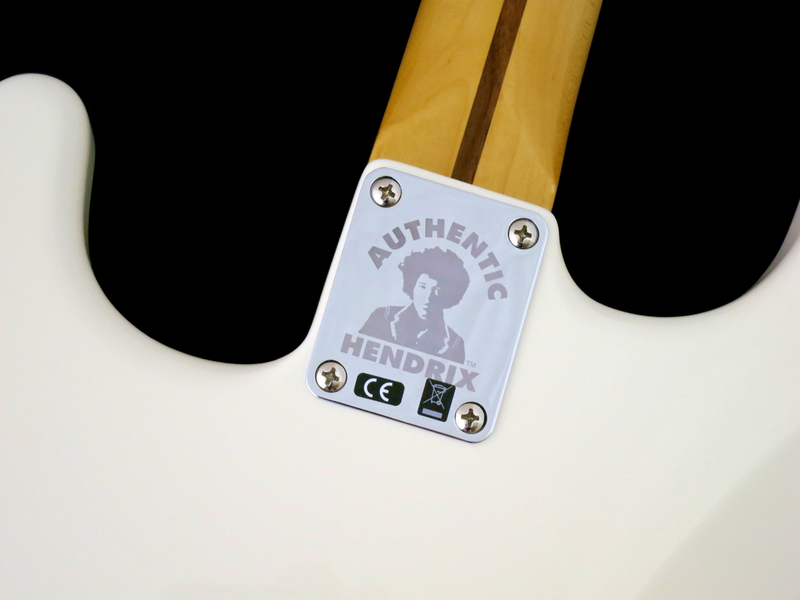 This Anniversary-Custom brings this concept back by combining a medium-output neck humbucker – the Vintage Bass – with the SE-version of the high-output HFS Treble (HFS = hot fat screams). 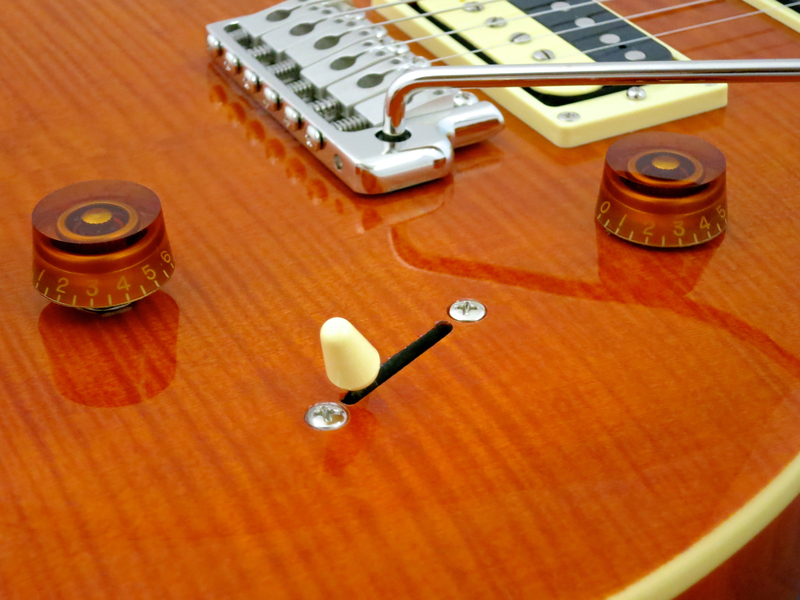 In the beginning, original PRS Custom 24 models came with two “controls” and a mini-toggle switch. 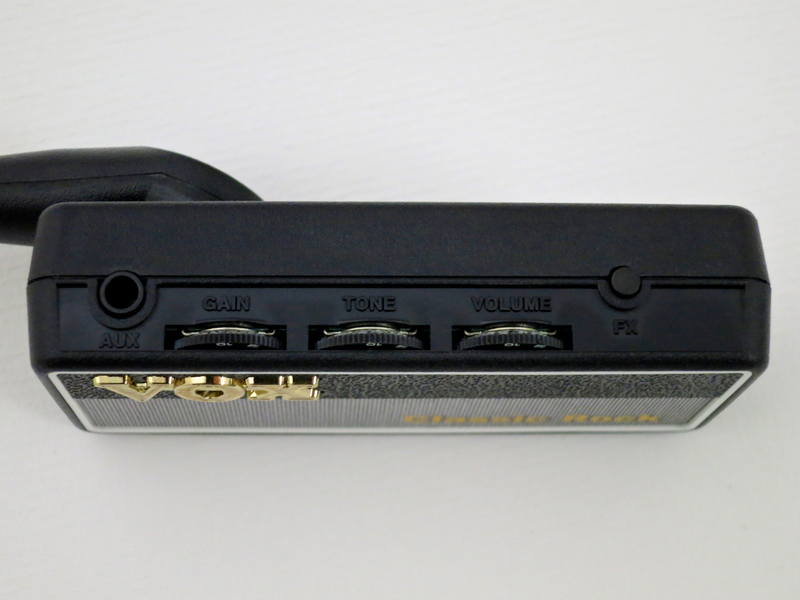 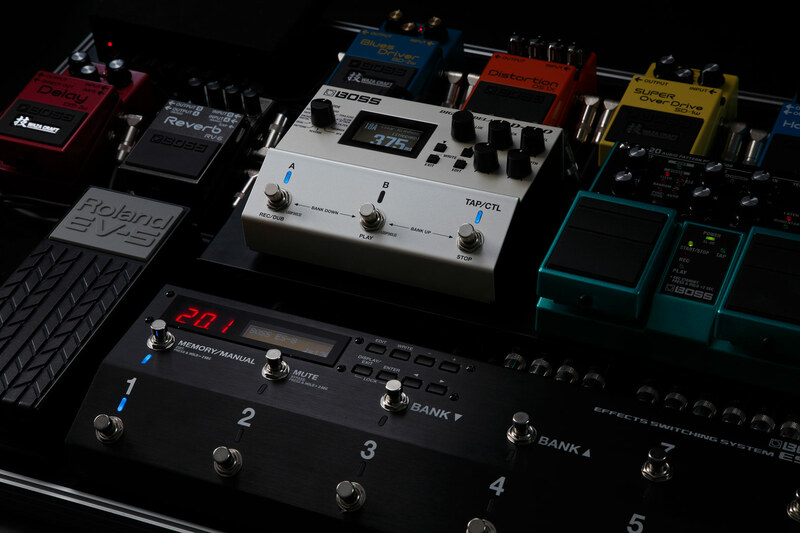 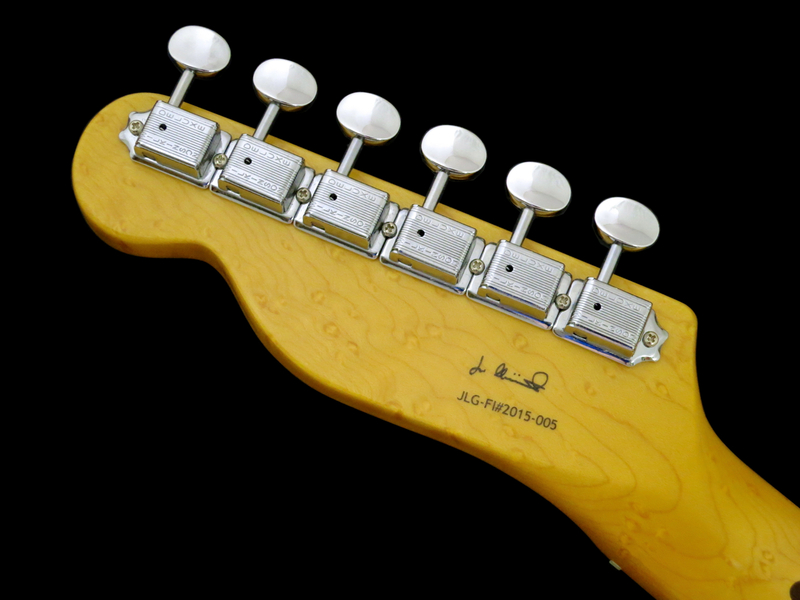 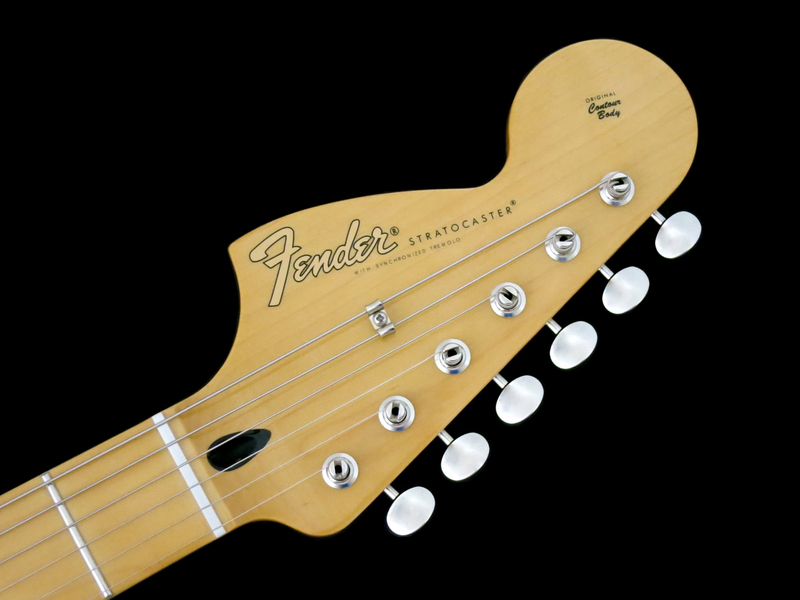 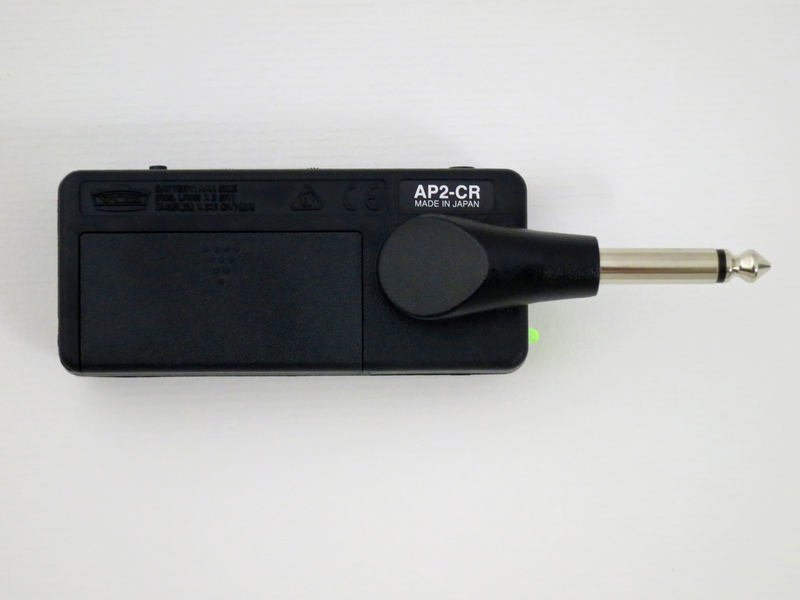 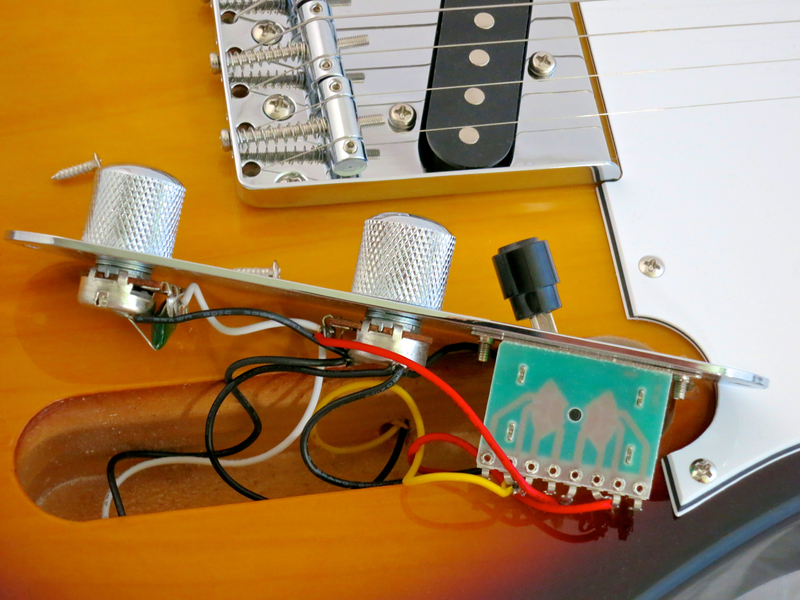 Actually, the second “control” was a five-way rotary switch that served as the guitar’s pickup selector. 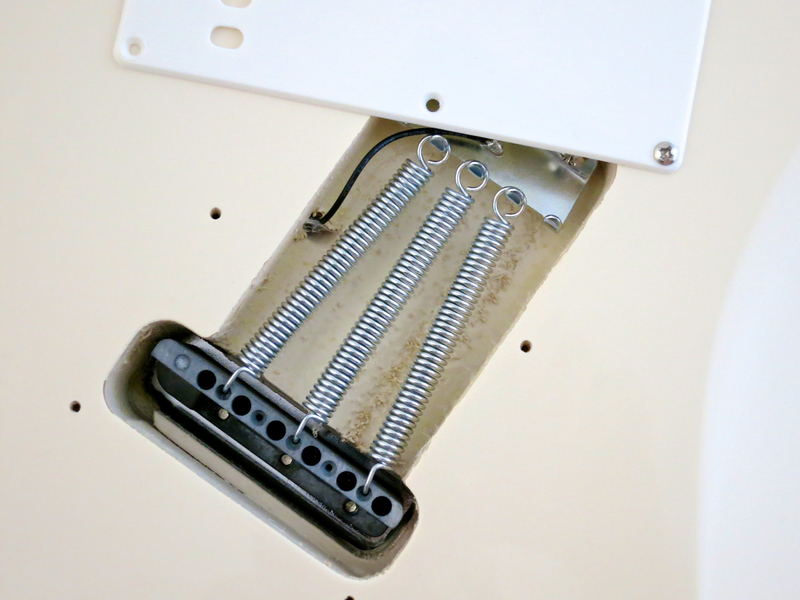 The tiny switch was PRS’ Sweet Switch, a preset treble roll-off. 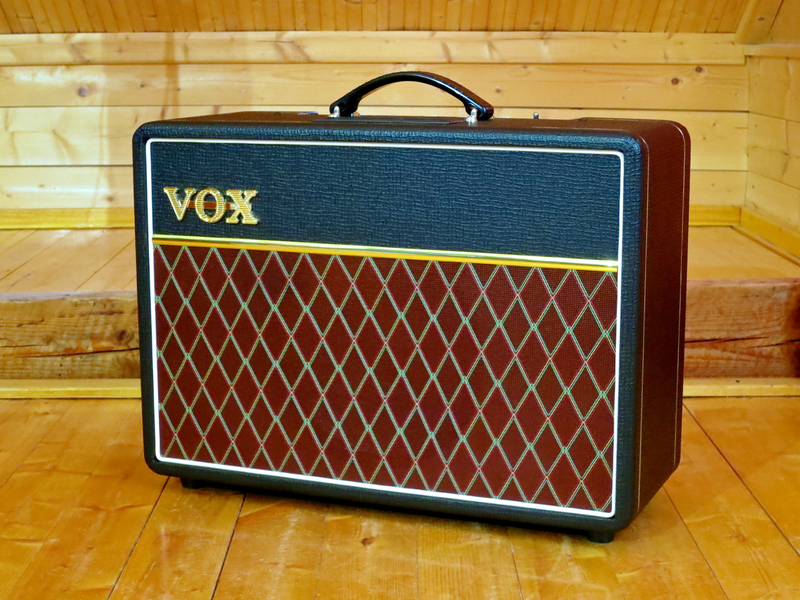 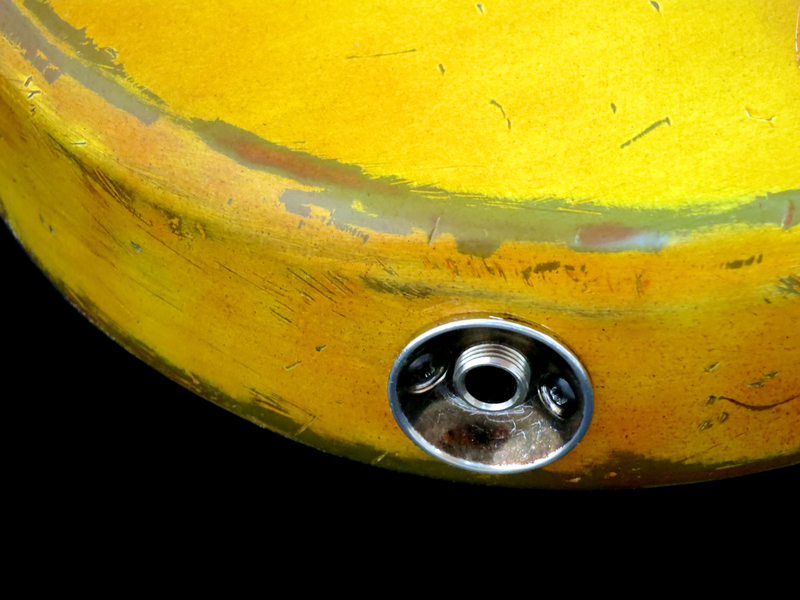 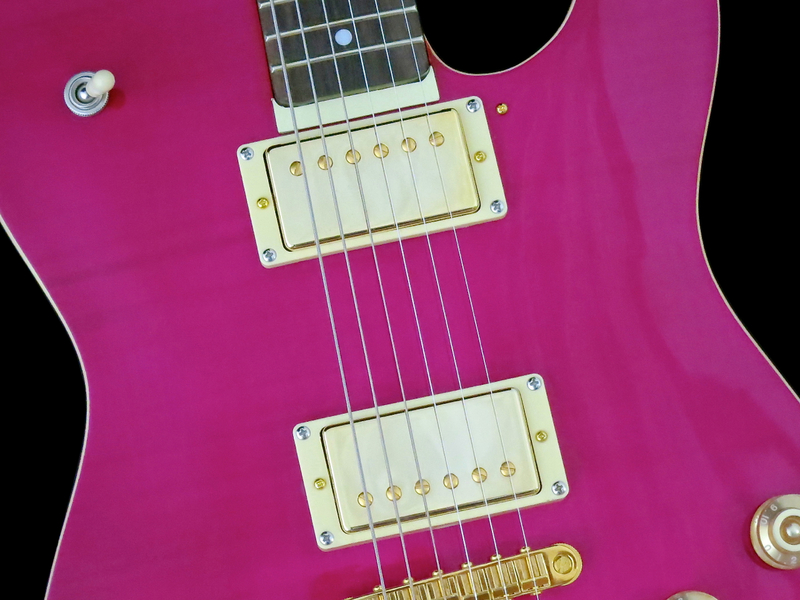 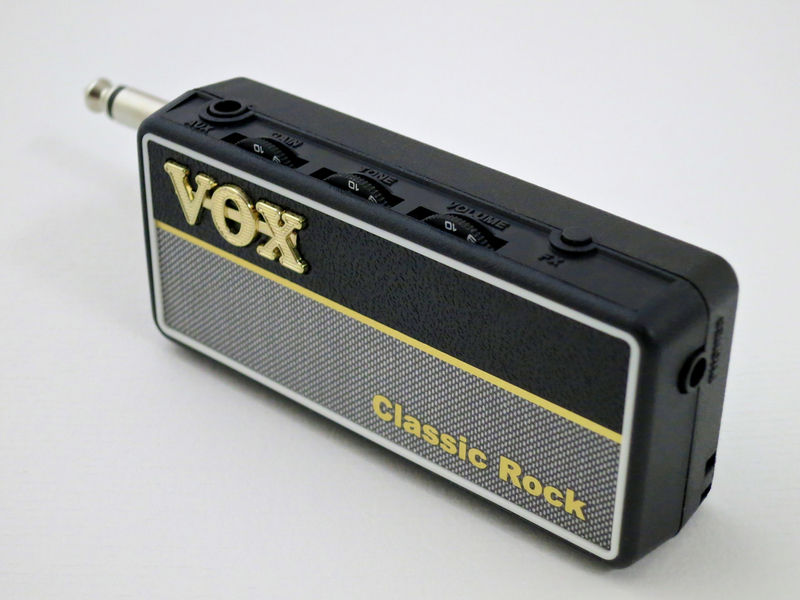 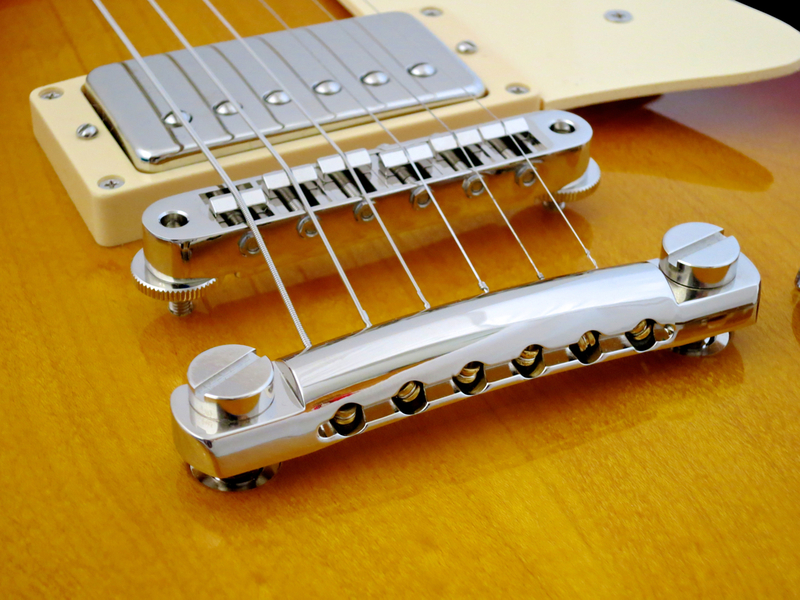 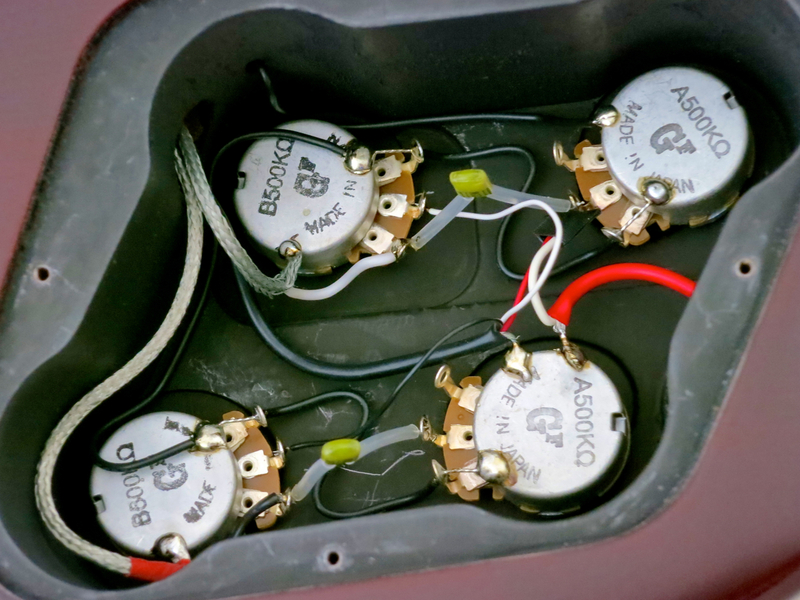 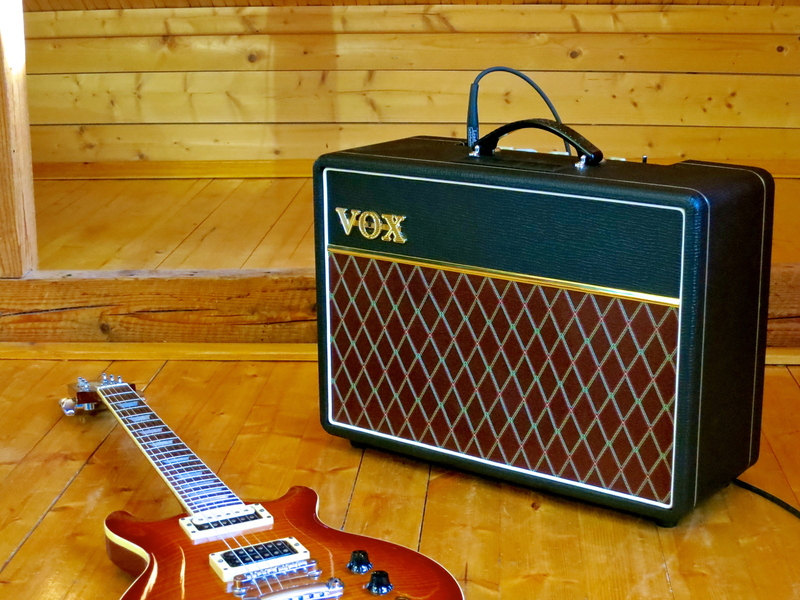 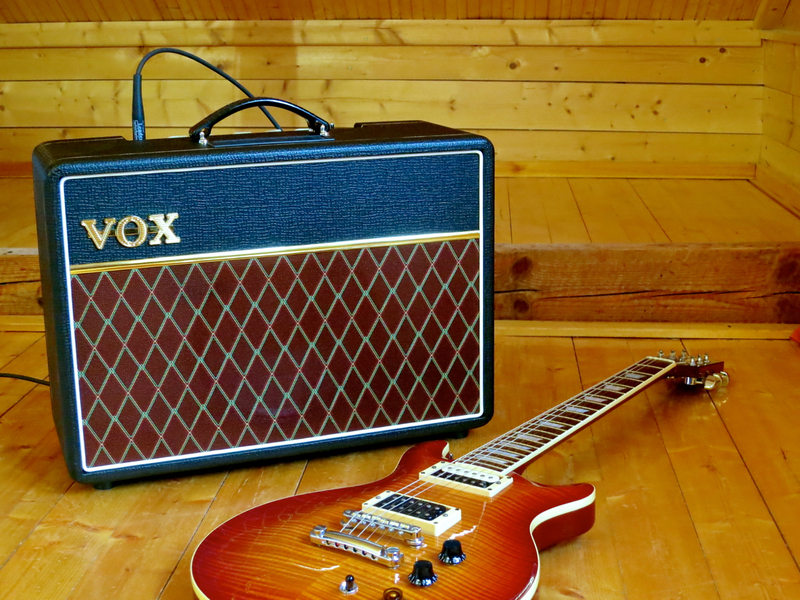 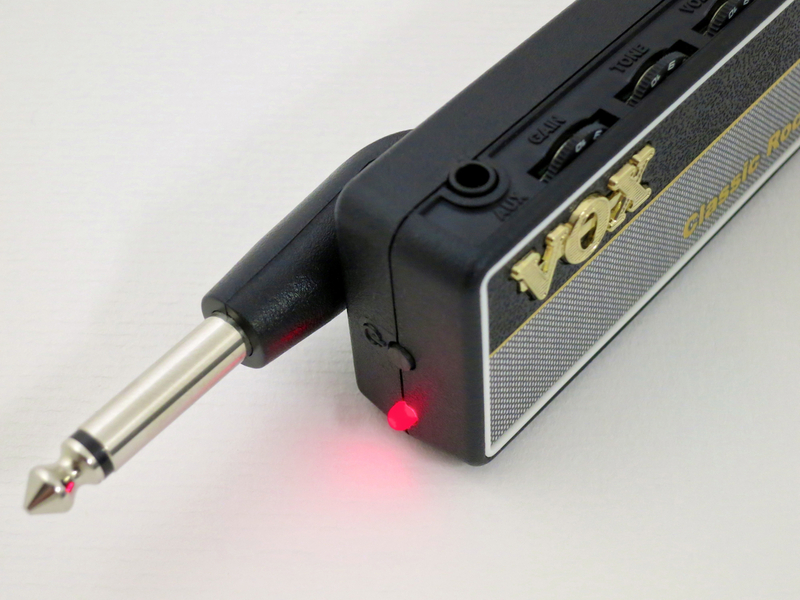 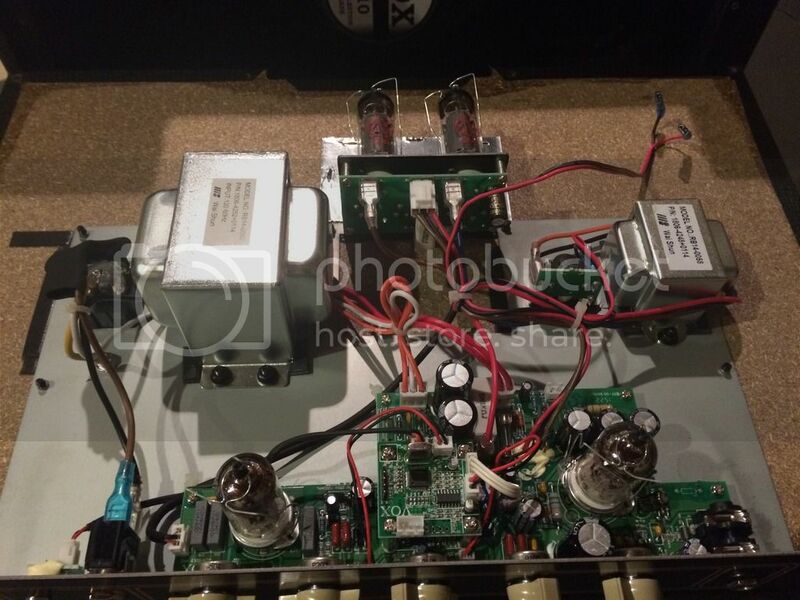 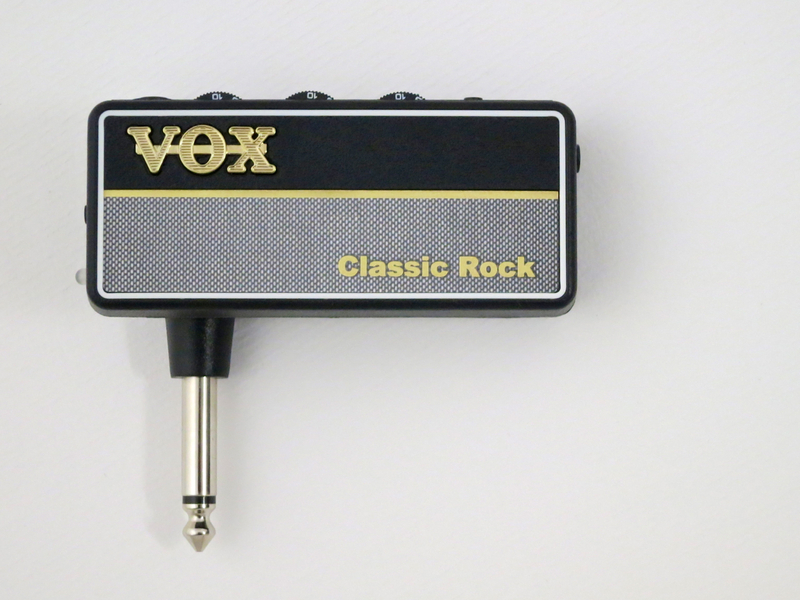 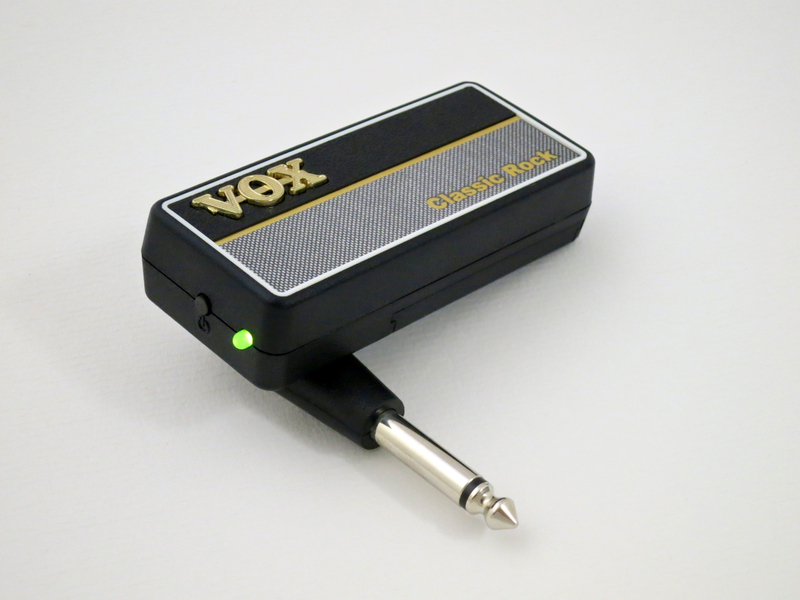 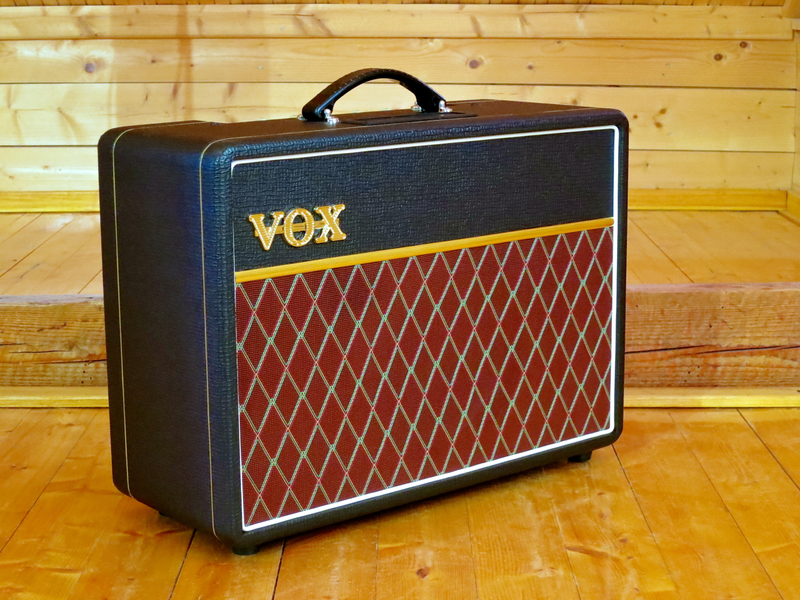 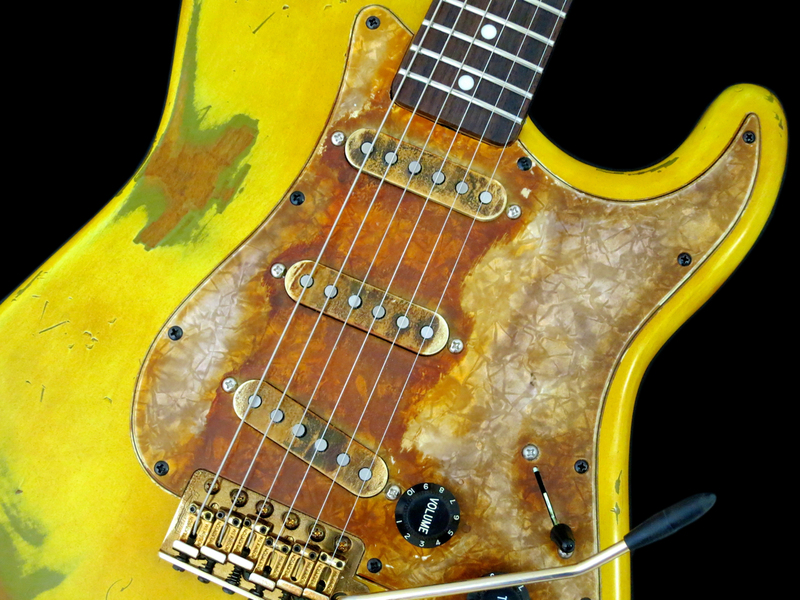 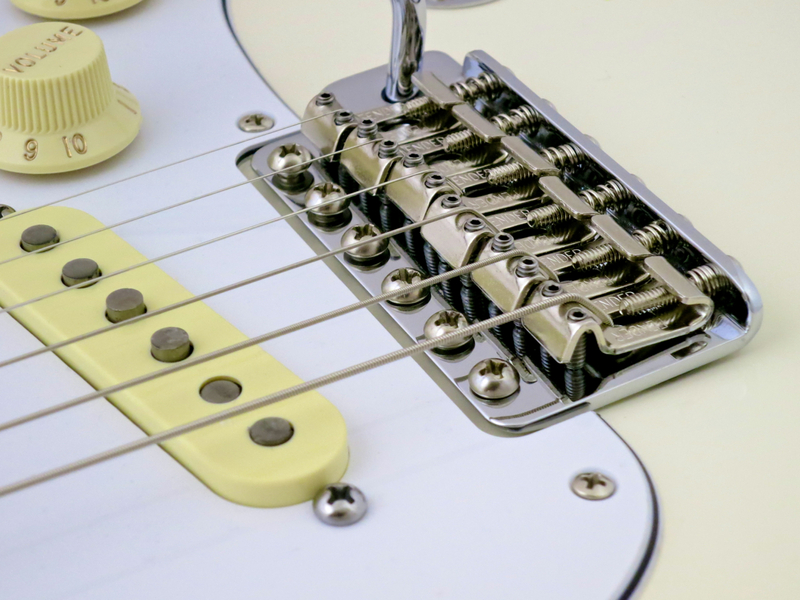 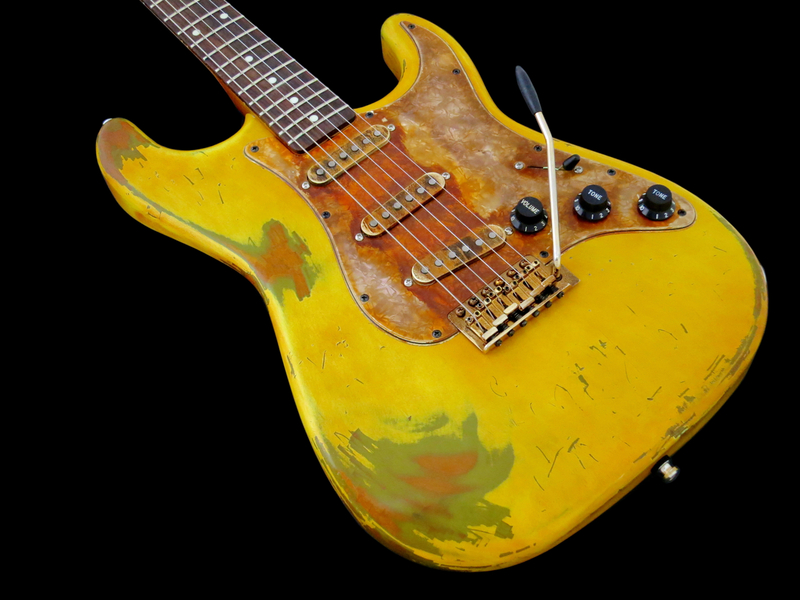 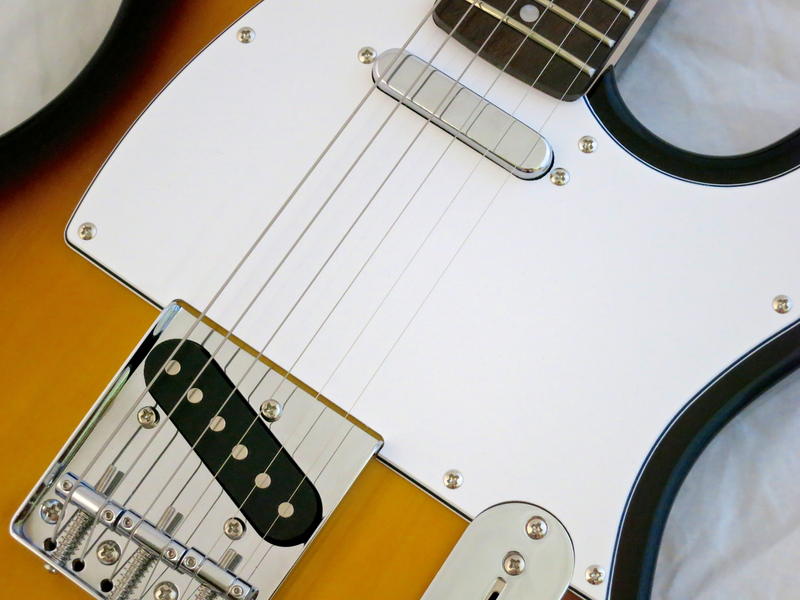 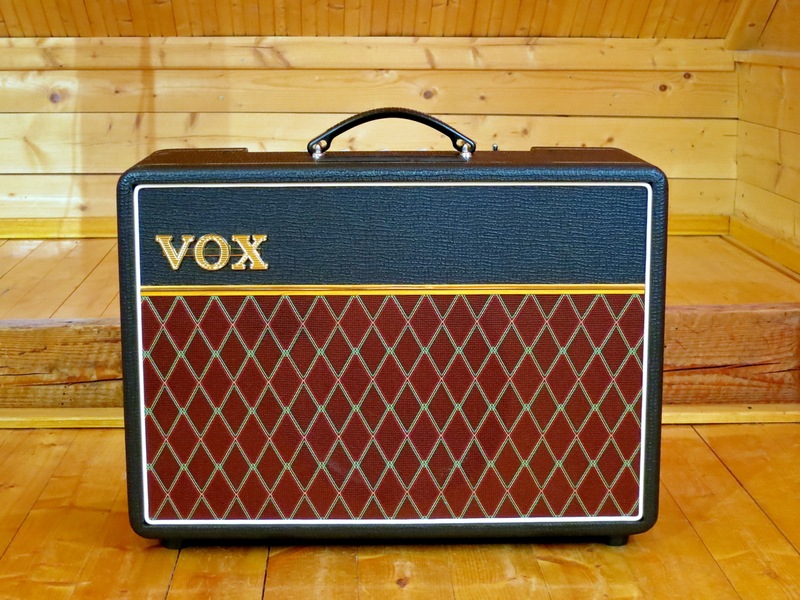 Over the years, the rotary switch fell out of favour, and the control setup on US-made guitars changed to master volume, master tone, and a five-way blade switch. 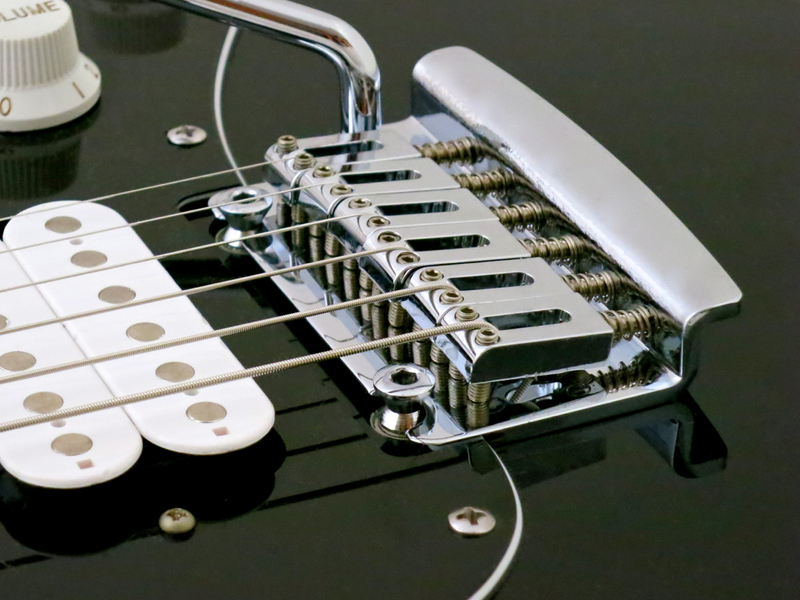 On the SE Custom 24 the blade switch is a three-way model, while a push/pull switch in the tone control allows you to split both humbuckers. 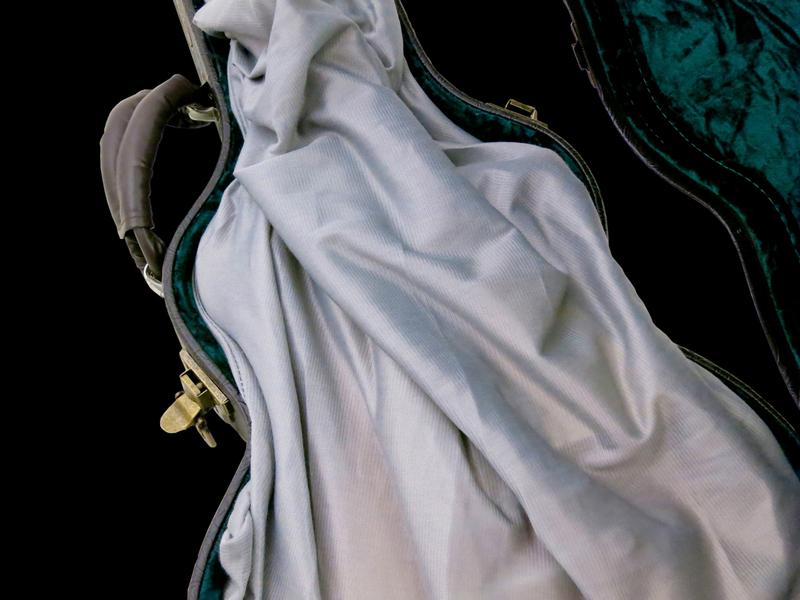 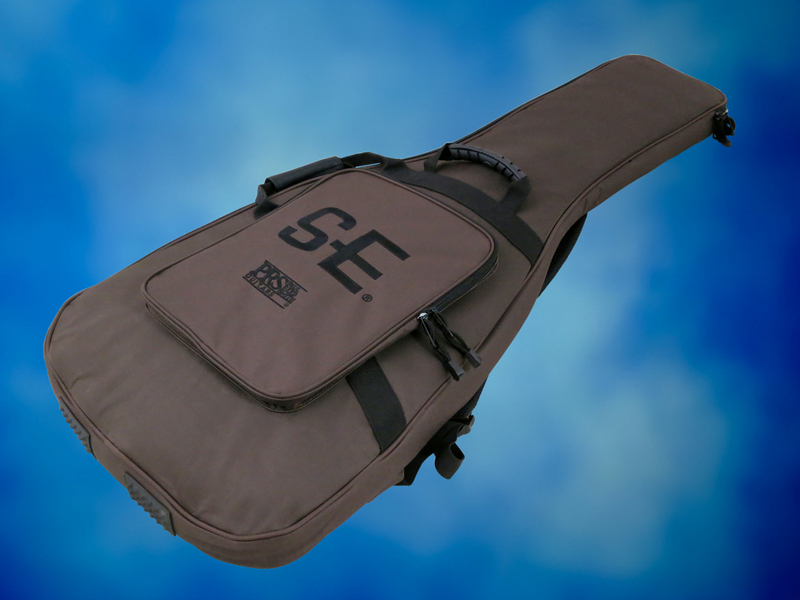 A well-made gig bag is included with the SE Custom 24 30th Anniversary model. 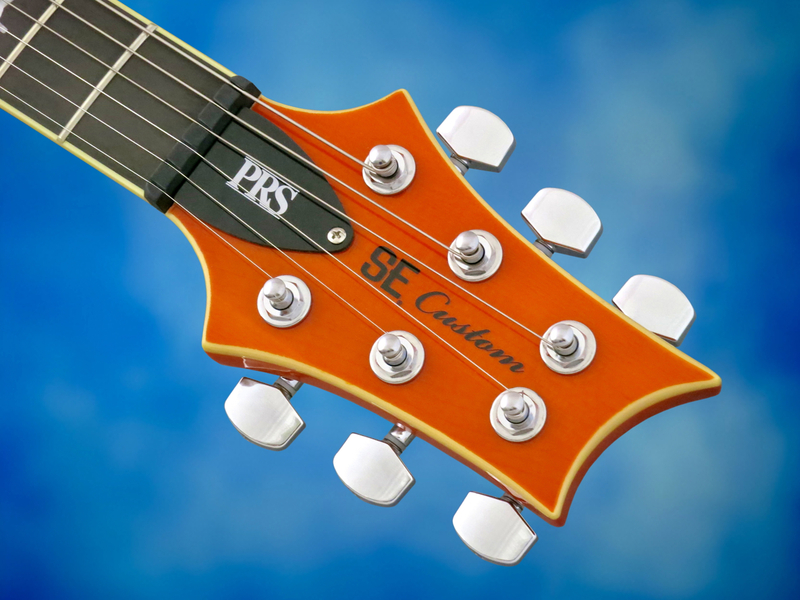 PRS guitars are known for their well though-out ergonomics and their great playability, and the SE Custom 24 30th Anniversary proves to be a genuine PRS in this respect, too. 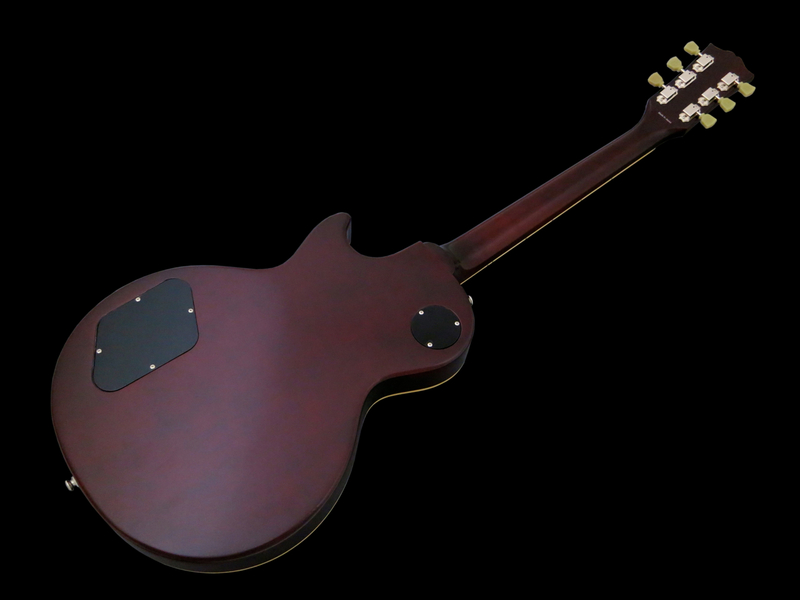 It has a comfortable medium weight, and feel nice both in your lap and strapped on. 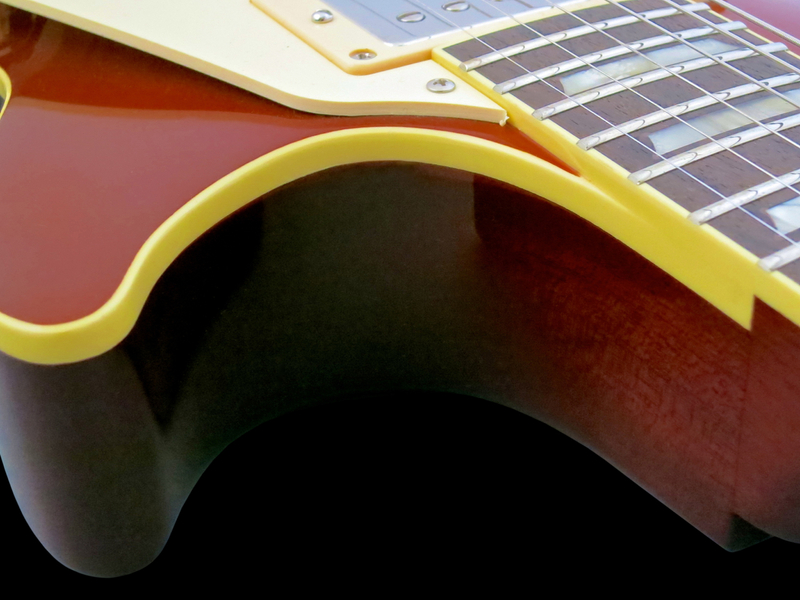 In keeping with the 1980s theme, the SE comes with a Wide Thin neck profile. 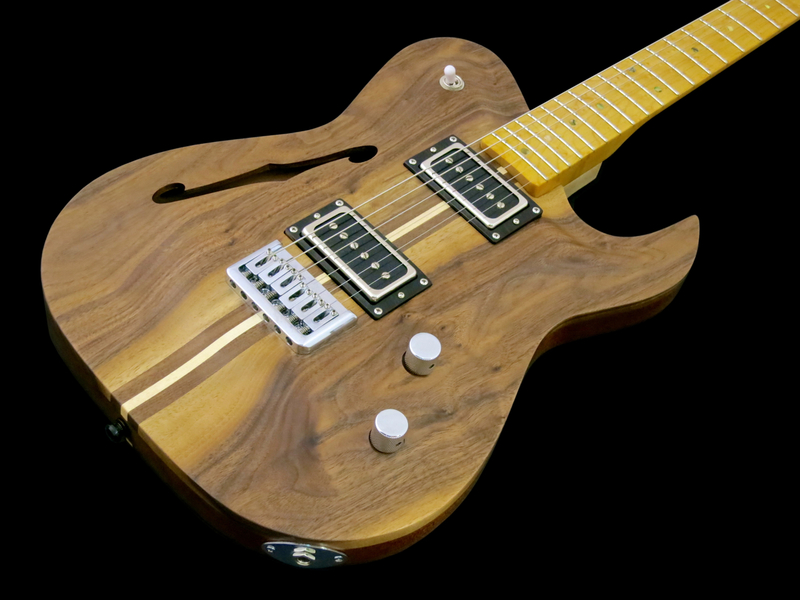 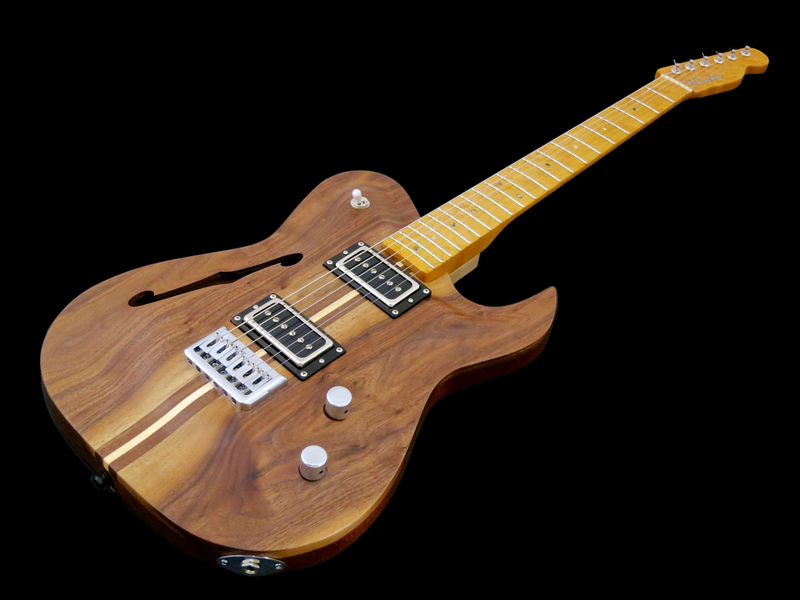 Despite its name, though, you needn’t be afraid that this Custom 24 comes with an insubstantial Ibanez Wizard. 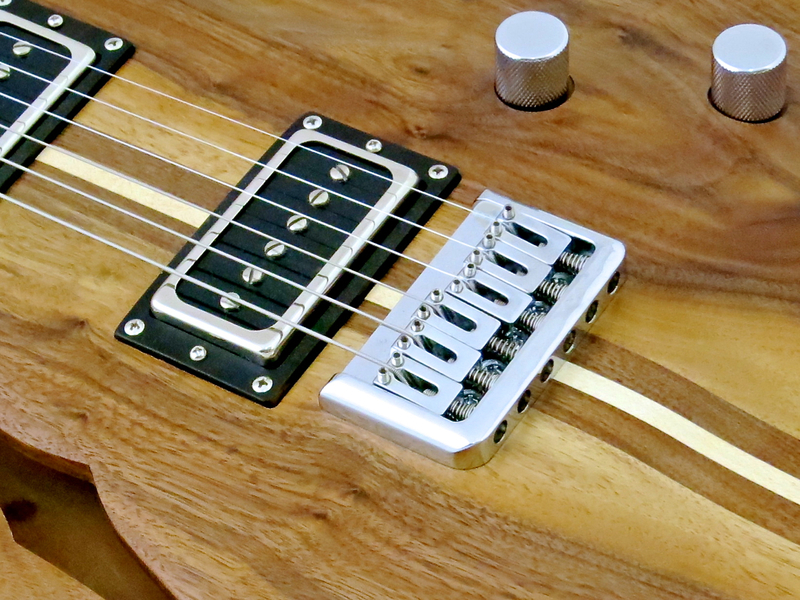 I’d describe the Wide Thin profile as distinctly oval with a medium thickness, so there’s still more than enough wood left for good tone and sustain. 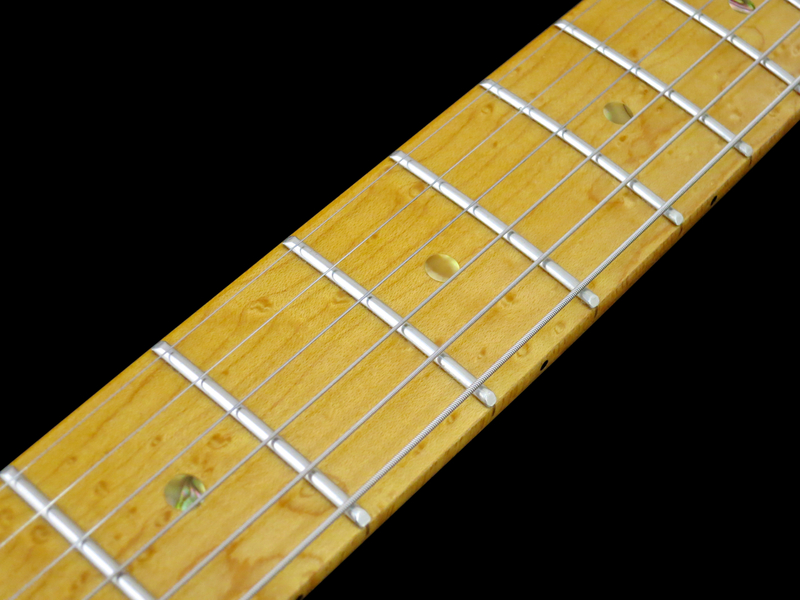 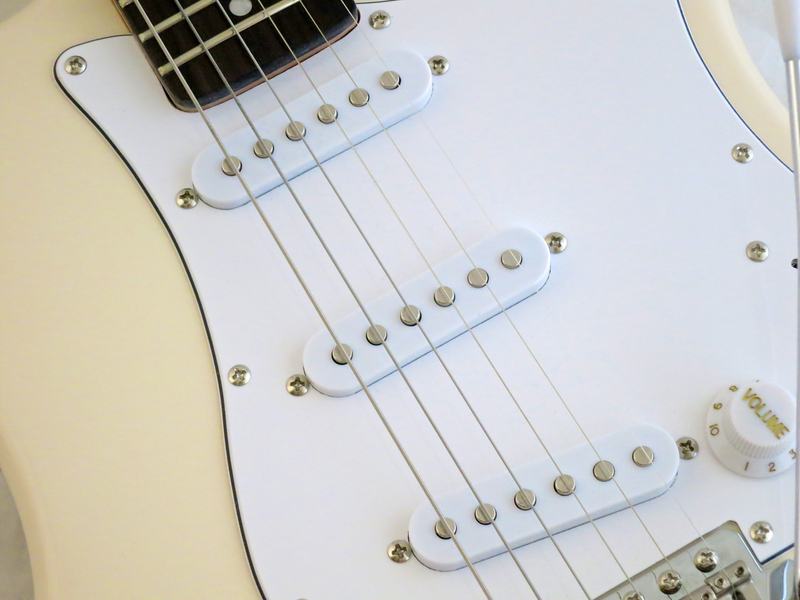 The review guitar came with a comfortably low setup (low-E: 1.9 mm/high-e: 1.6 mm) without any buzzes, thanks to the great fret job. 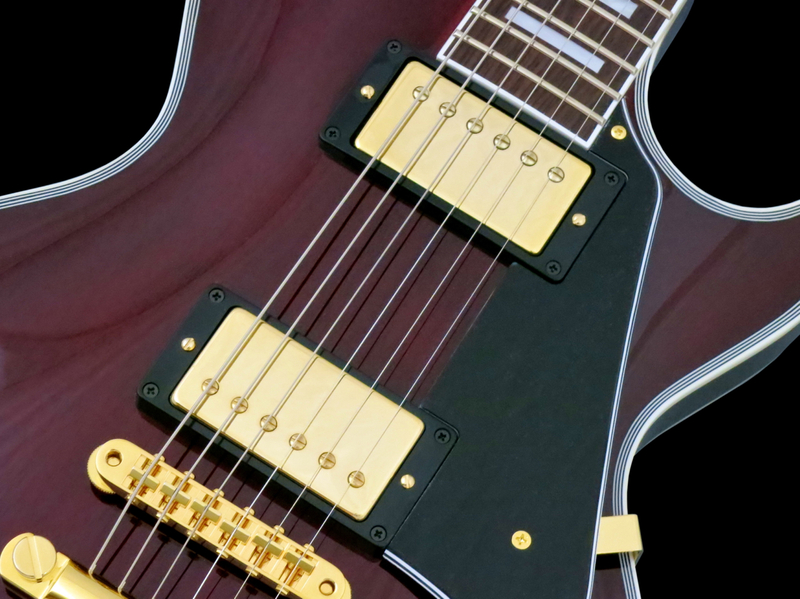 I know that it’s a thing of personal preference, but I’d like to see a PRS strung up with a set of 010-gauge strings, instead of the factory set of 009s. 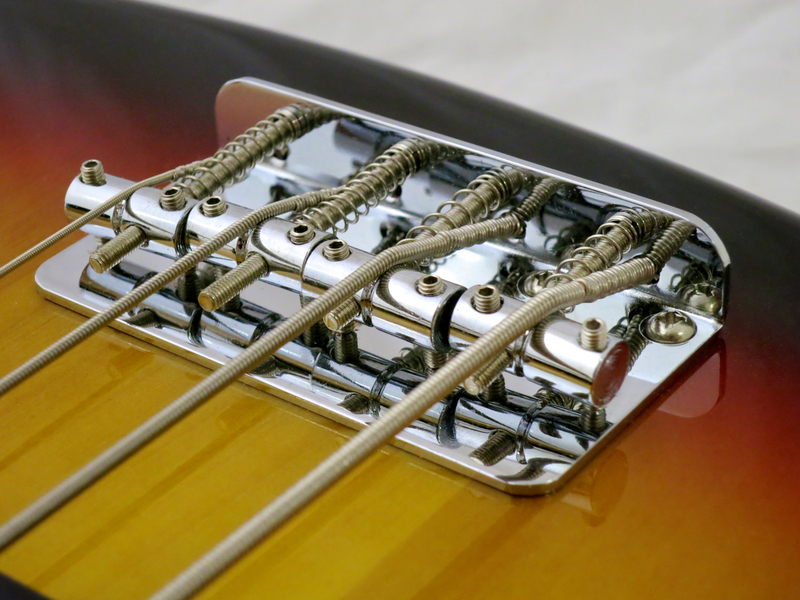 The factory set feels almost too “slinky”and effortless, making it hard to really dig into the strings. 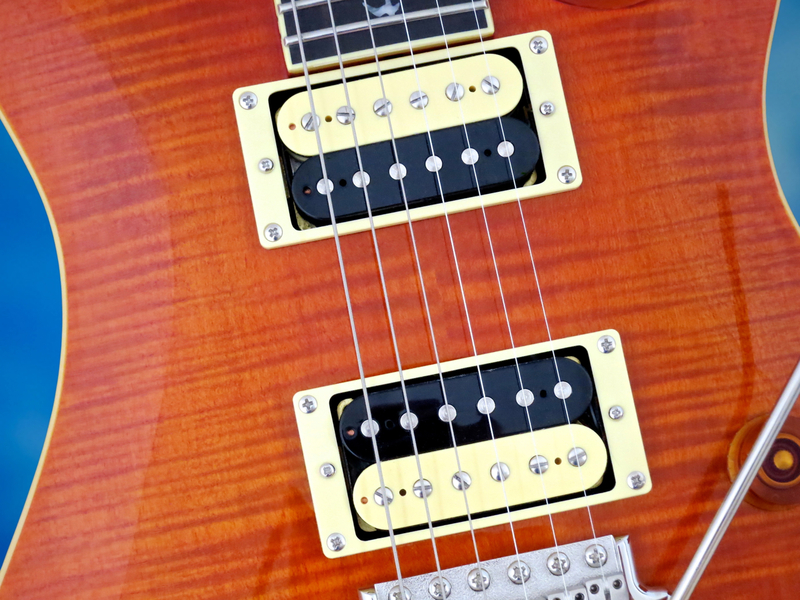 The PRS-vibrato is one of the best updates of the vintage vibrato you’re likely to encouter, and it works like a dream on the SE Custom 24, too. 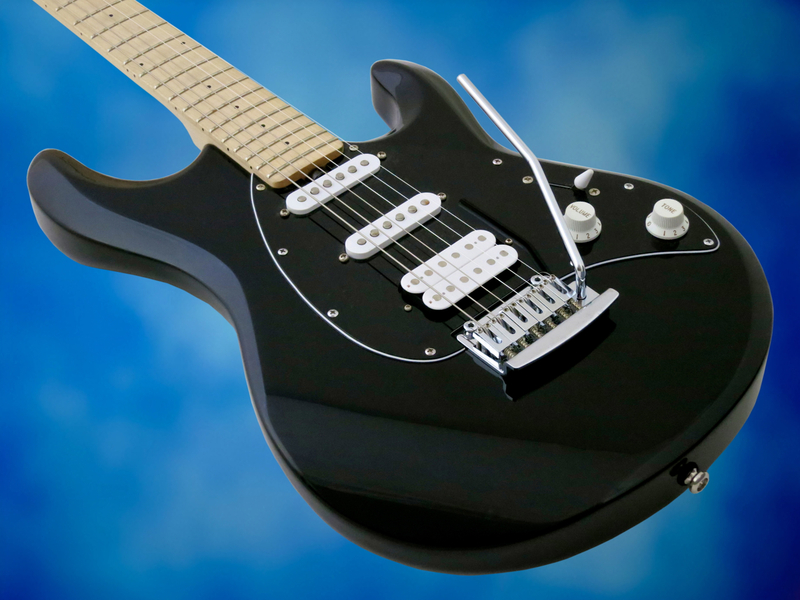 The feel is smooth, creamy and precise, but isn’t as sensitive to heavy-handed playing or string bending as a Floyd Rose, despite the floating setup. 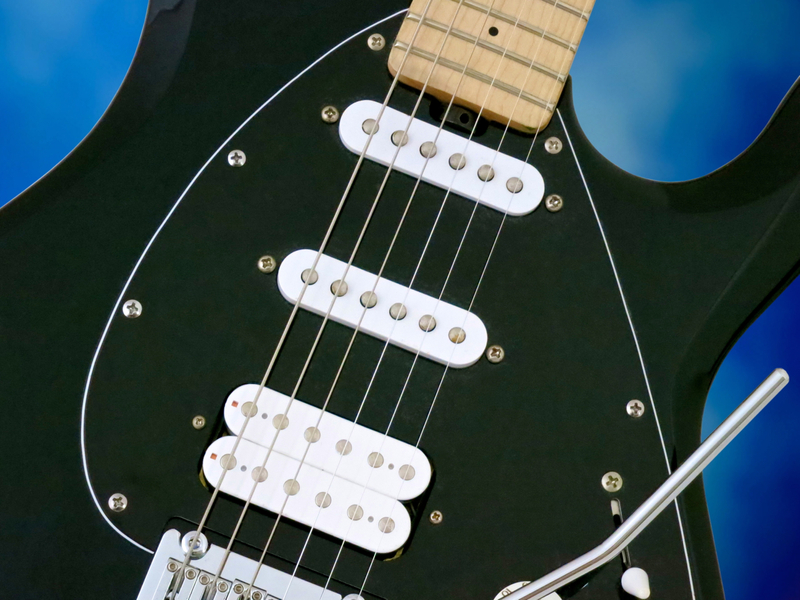 Paul Reed Smith has also proven he know’s how to voice pickups. 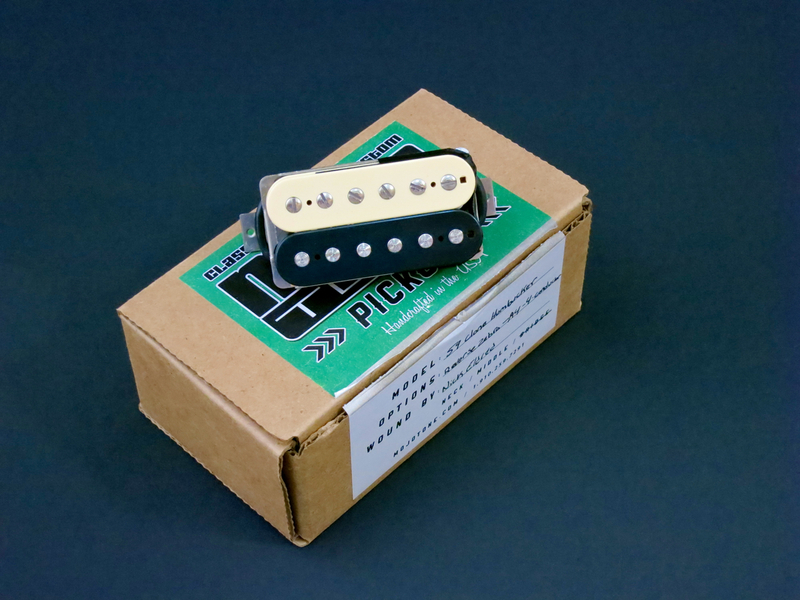 Naturally, these Korean pickups aren’t quite in the same league as their American counterparts, but these are still very decent pickups. 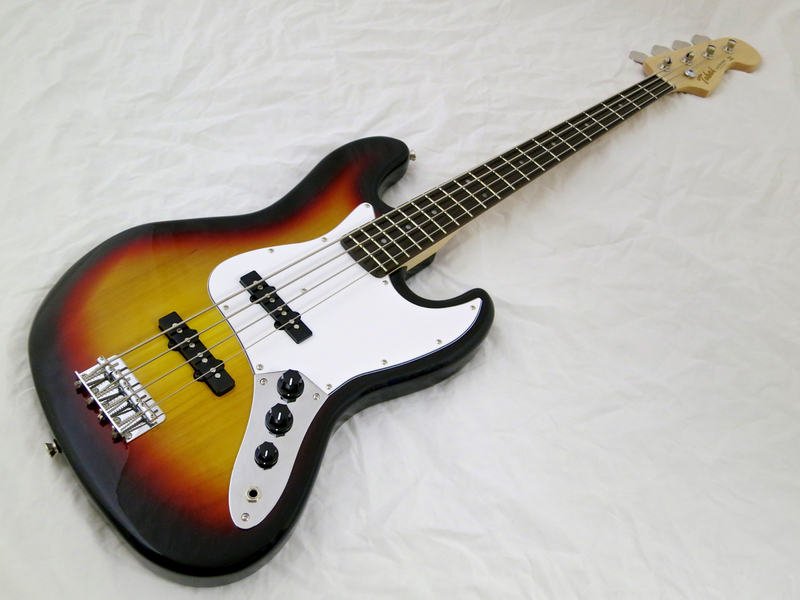 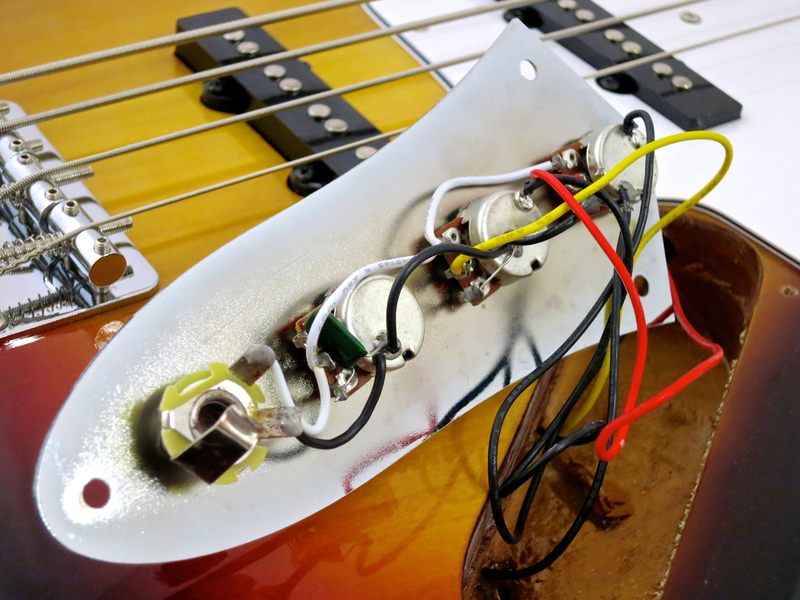 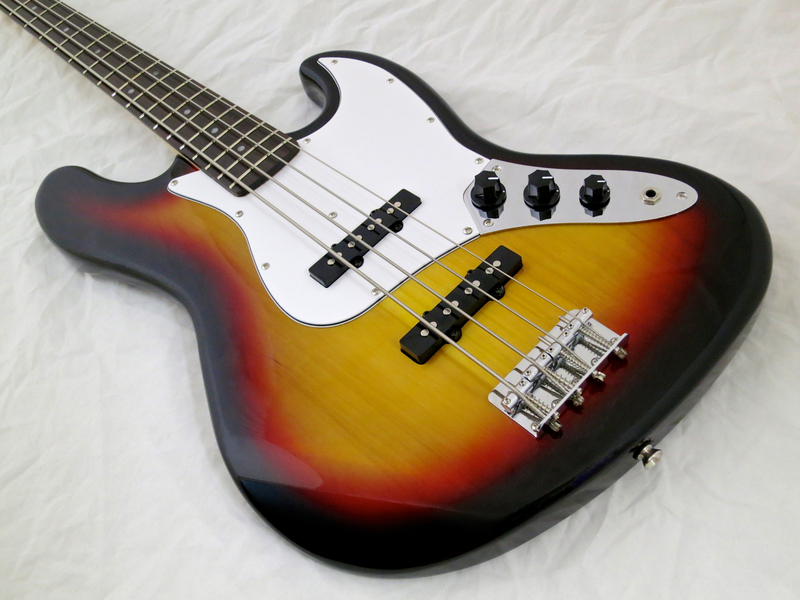 On paper, pairing a Vintage Bass with a HFS Treble humbucker sounds like a recipe for a slightly schizophrenic sound, when, actually, these pickups work very well together. 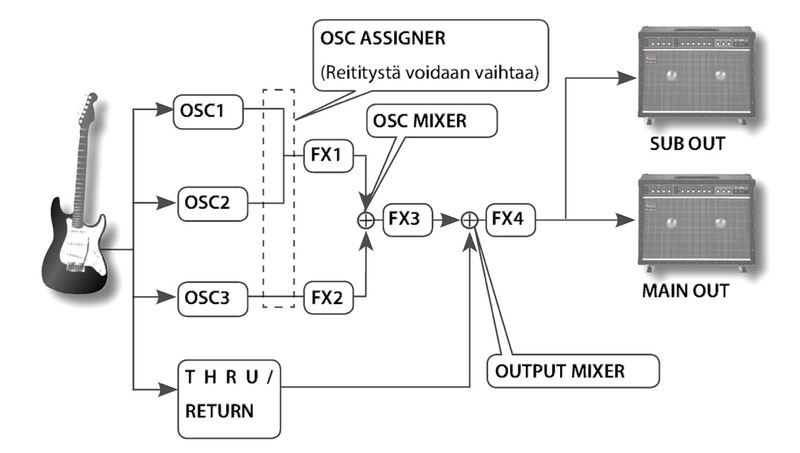 The jump in output levels isn’t as acute as you might think. 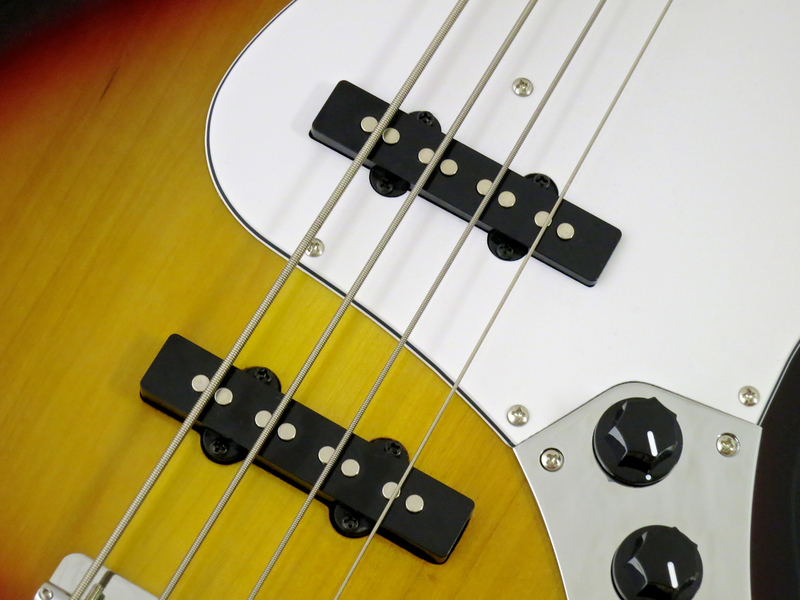 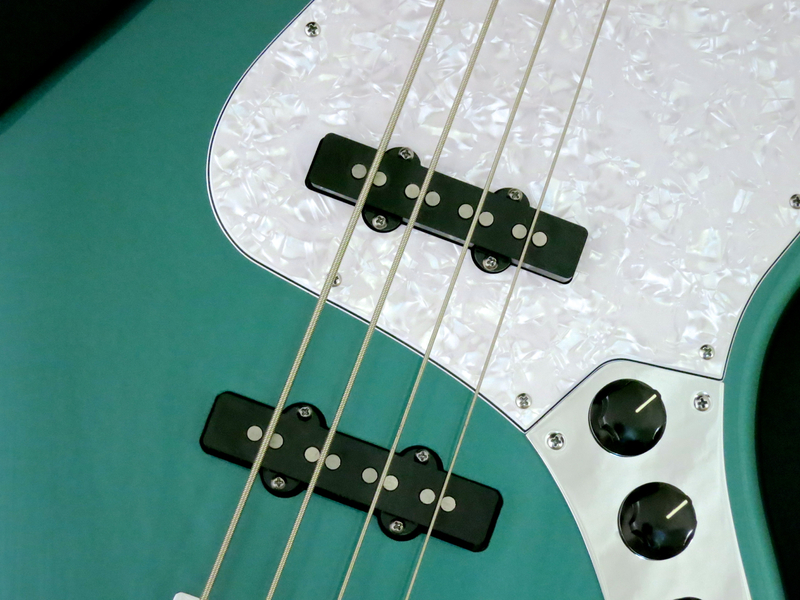 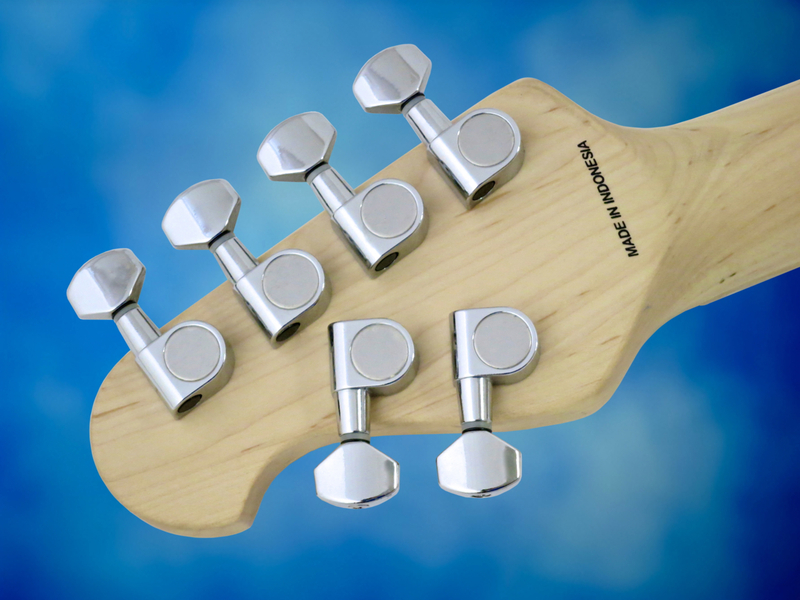 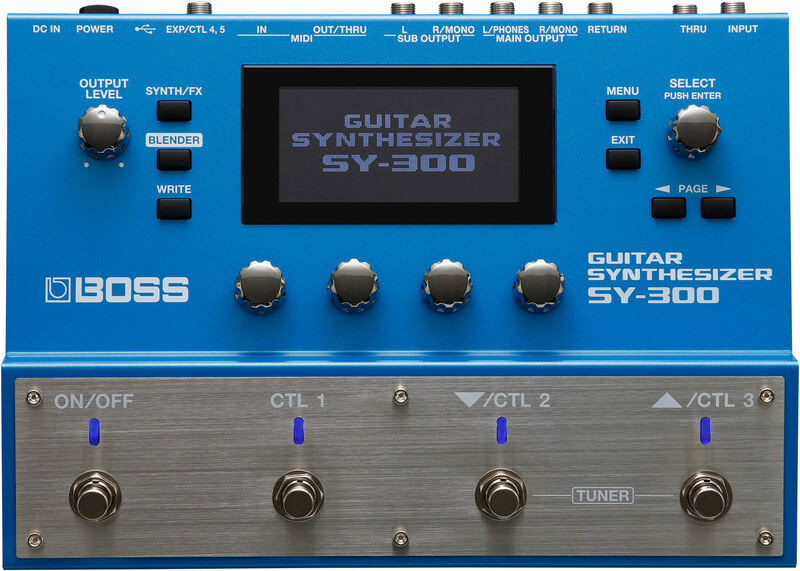 The difference between the Vintage Bass and the HFS Treble comes over clearest in the way the latter focusses heavily on the mid-range frequencies. 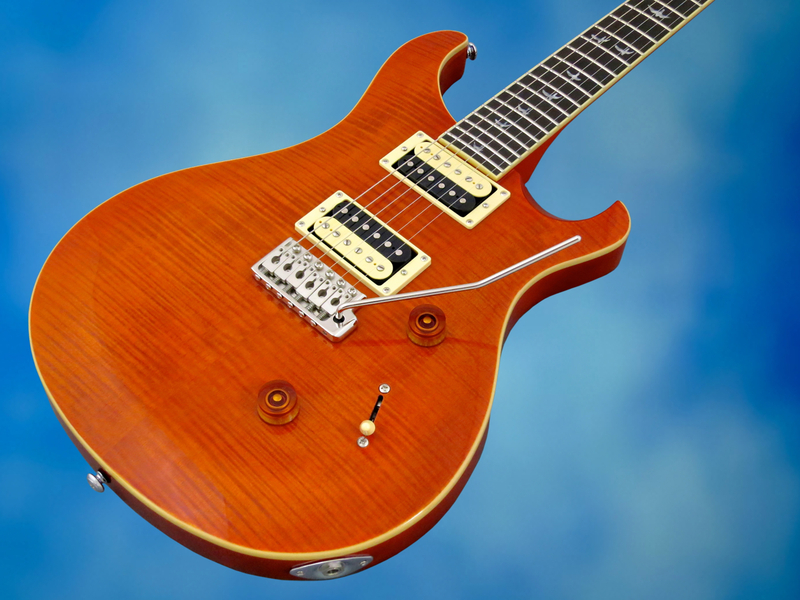 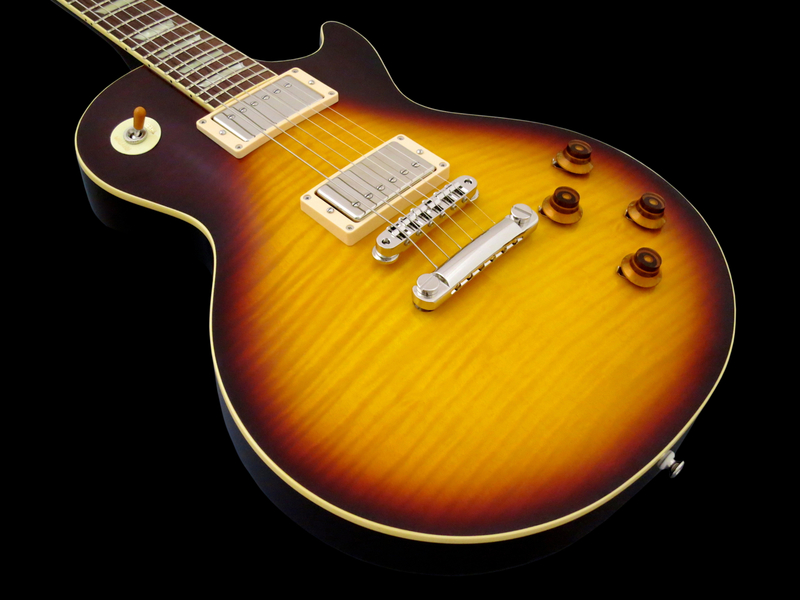 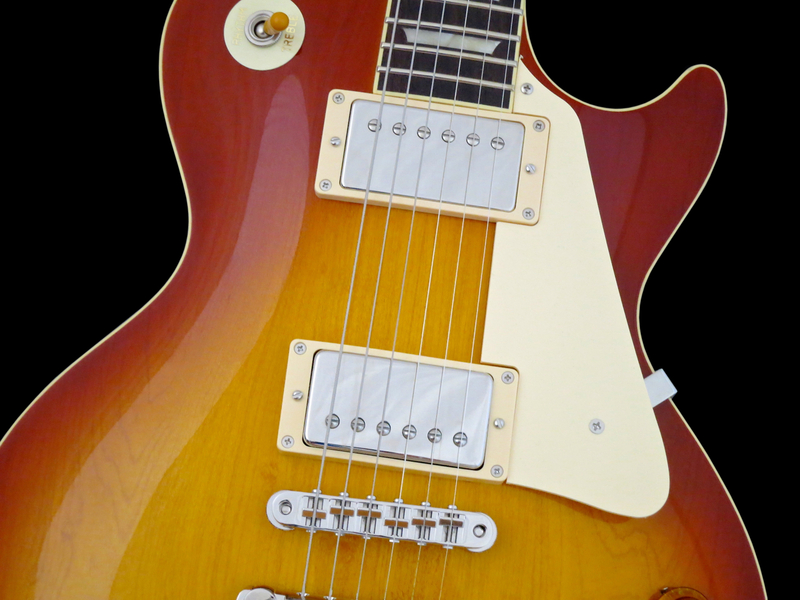 The SE Custom 24 30th Anniversary gives you the genuine “PRS experience” at a truly fair price. 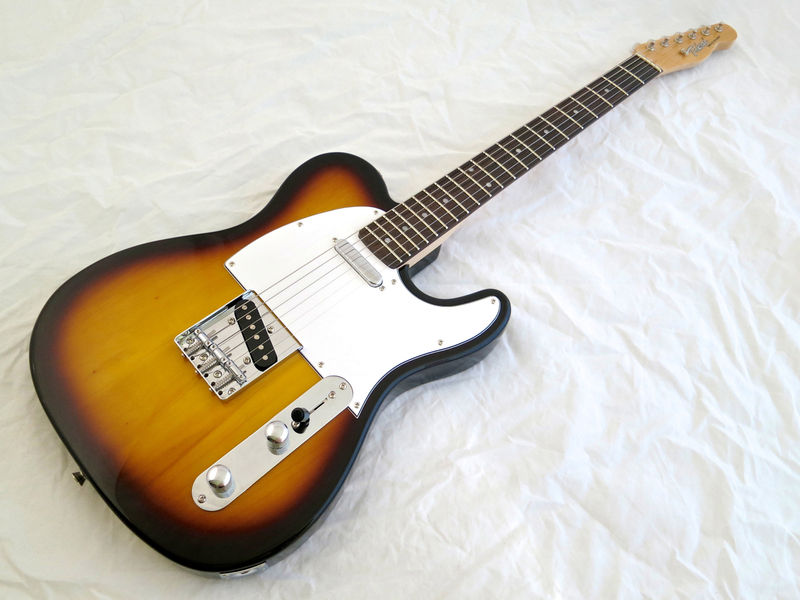 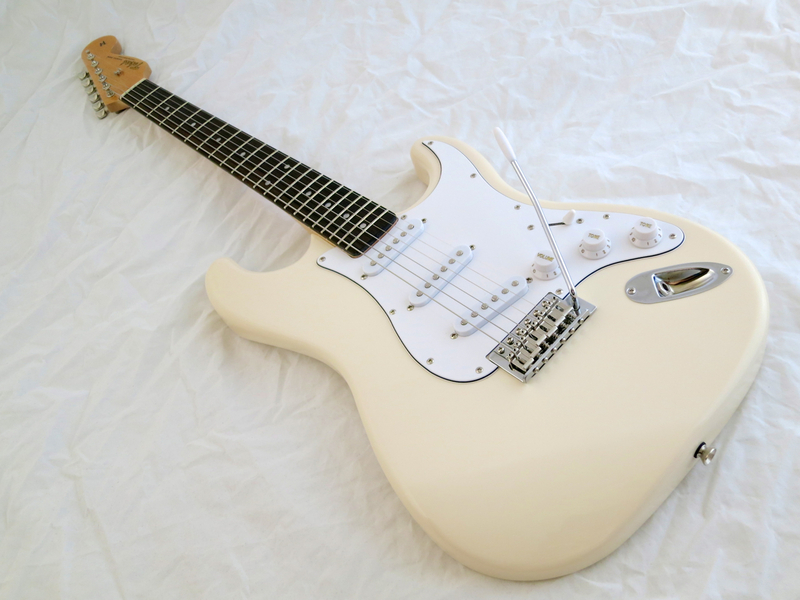 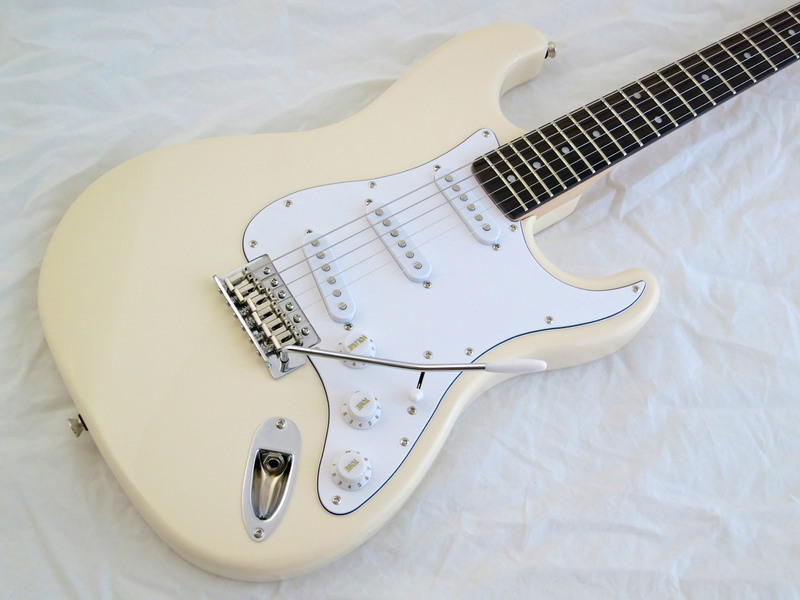 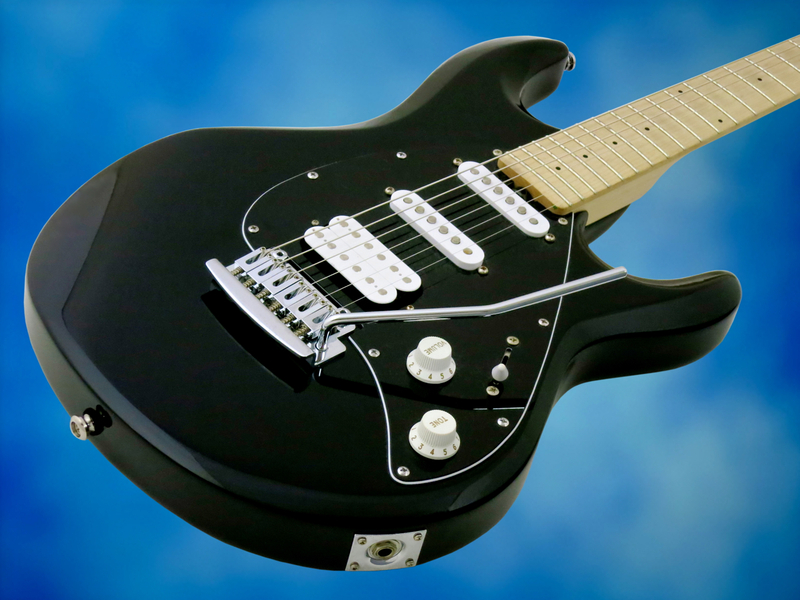 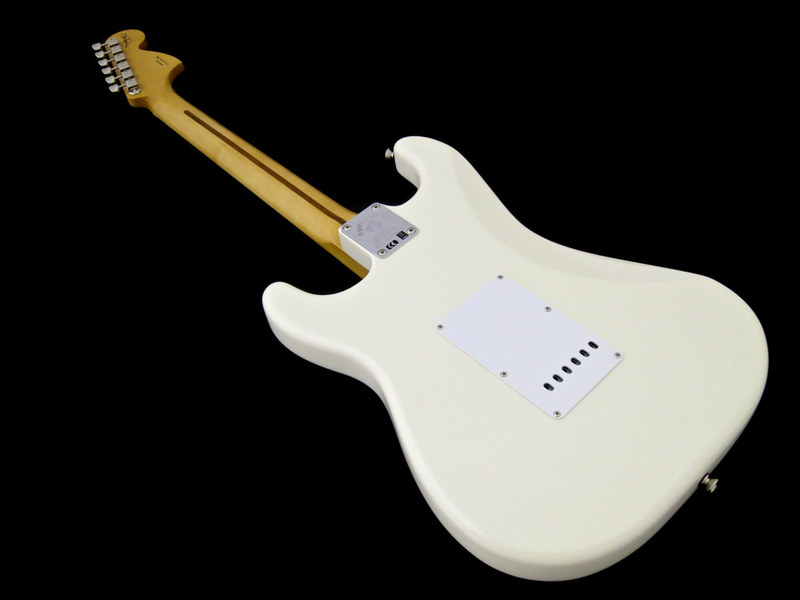 This is a pro-level electric guitar that plays very well and offers you a wide variety oif different sounds. 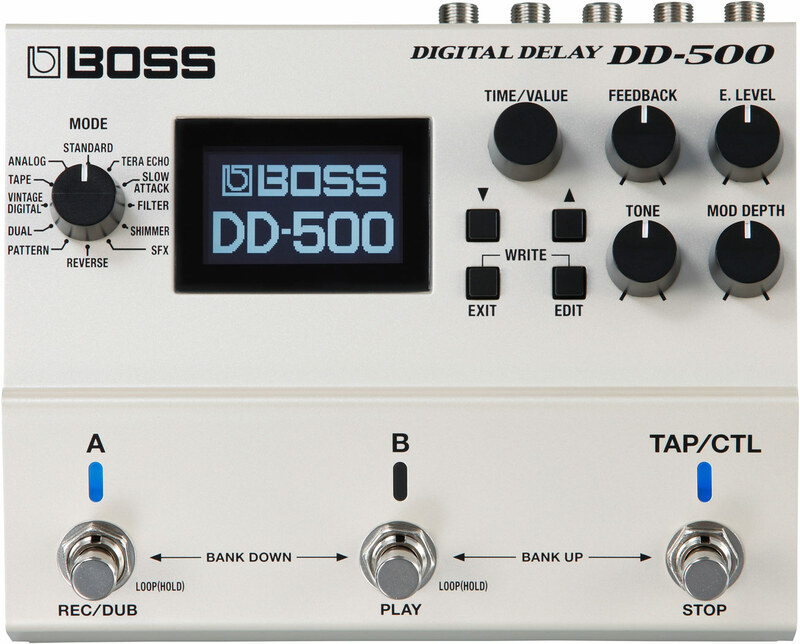 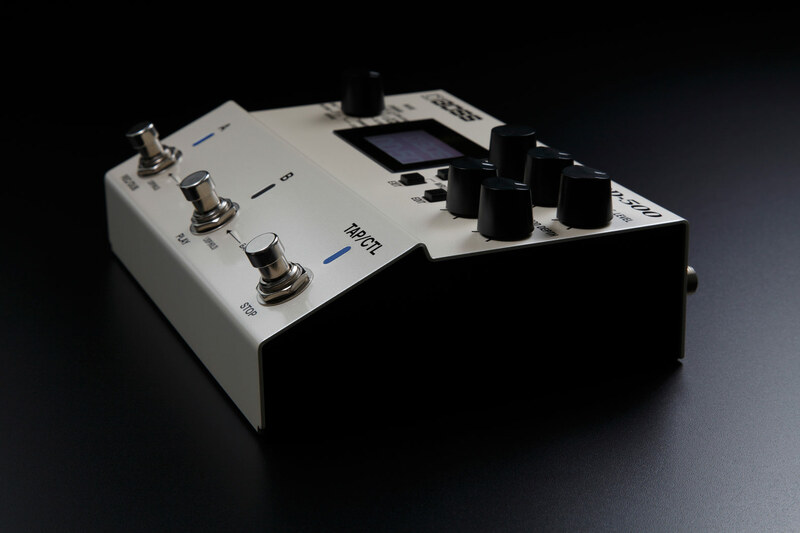 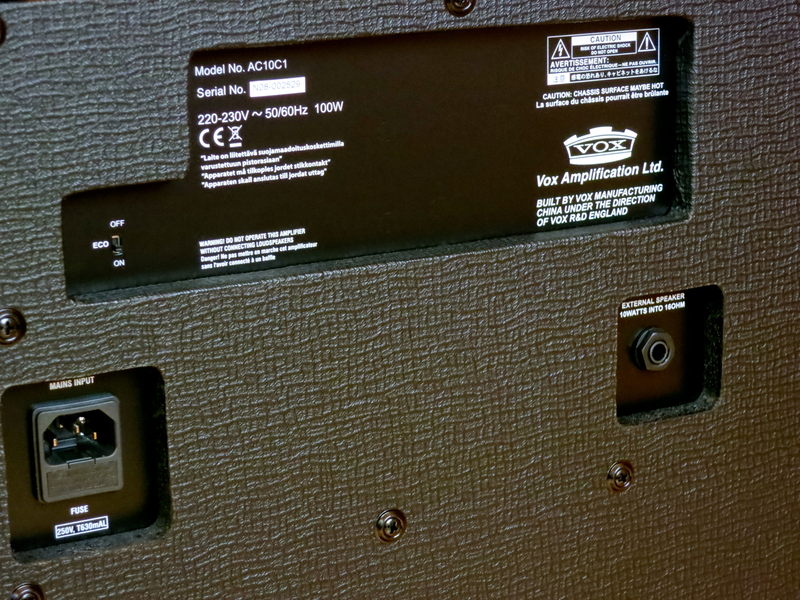 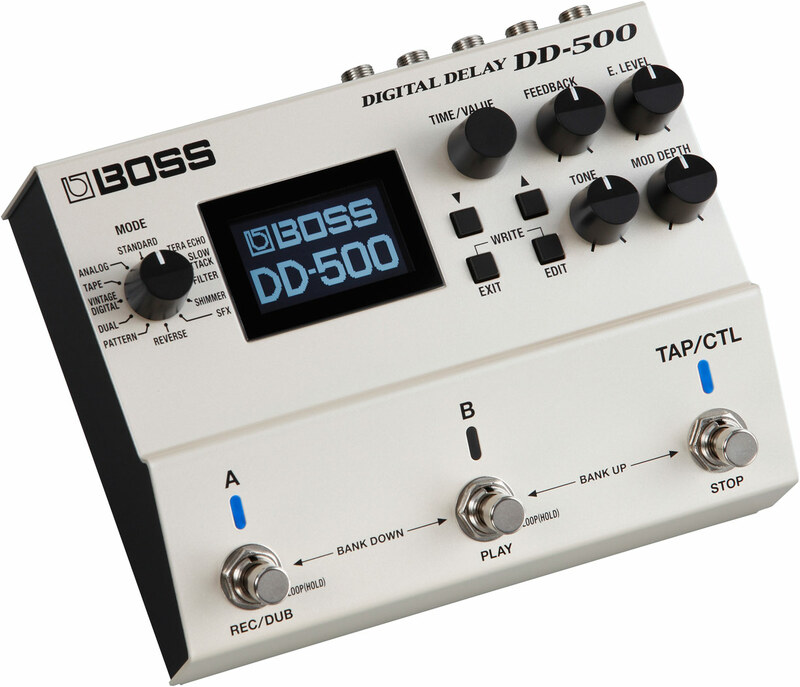 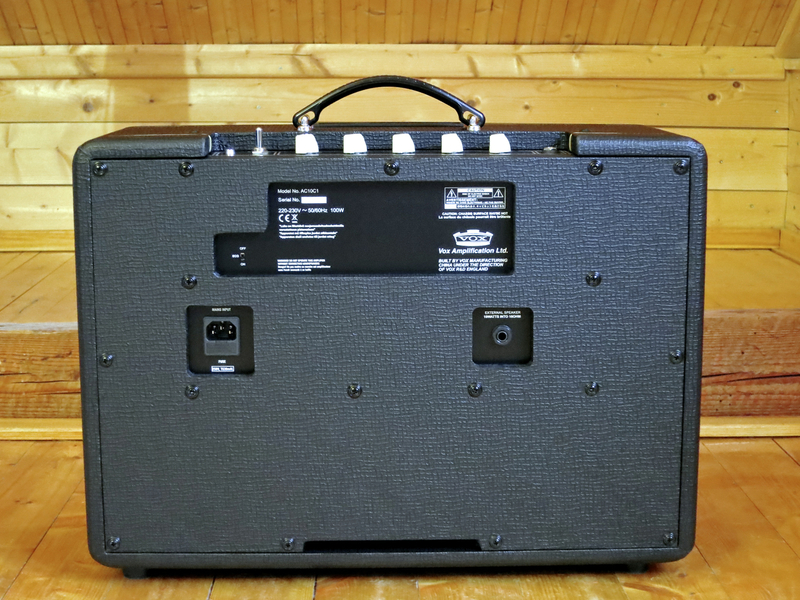 A big thank you to DLX Music Helsinki for the loan of the review instrument!